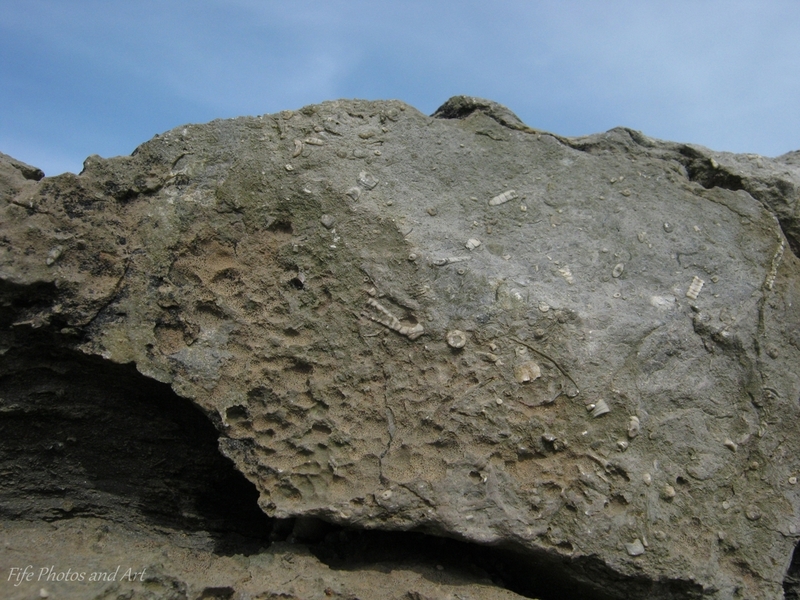 Hurlet Limestone crinoid fragments, base of Lower Limestone Formation. This limestone is found at the base of the Lower Limestone Formation, which was deposited in the Carboniferous (approx 300 to 360 million years ago). Most of the Lower Limestone Formation consists of sandstones, siltstones and mudstones, very similar to the underlying Pathhead Formation, which were deposited in a swamp/deltaic environment (not dissimilar to the modern day Mississippi delta). But sandwiched in between them, is the Hurlet Limestone which represents a major marine transgression, where the sea encroached over the flat lying delta regions, thus temporarily cutting off sediment supply, and allowing the growth of coral and crinoid banks, in the resulting shallow and warm sea. Over time, the sediments from the delta gradually pushed outwards again, covering up the limestones with yet more deltaic sandstones, siltstones and mudstones. 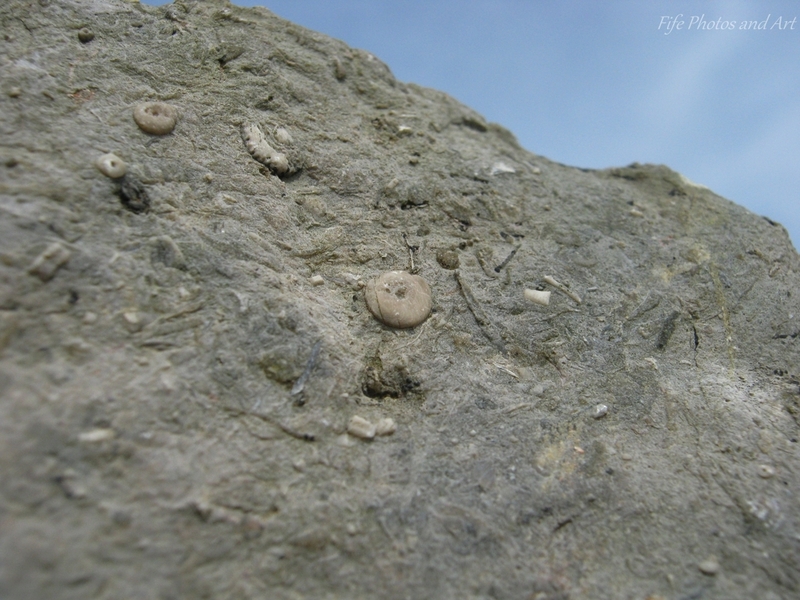 Another close up photo of the Hurlet Limestone with crinoid fragments. 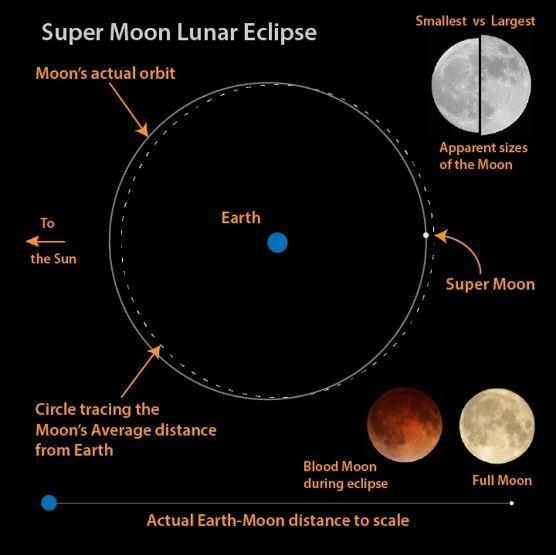 For those of you like me, who were uncertain as to what and why the recent ‘Supermoon’ occurred, I found this nice infographic from the Forbes website. The moon’s orbit is an ellipse (an uneven circle), and as a result, the distance between the Moon and Earth varies throughout the month and the year. On average the distance is about 382,900 kilometers (238,000 miles). The point on the Moon’s orbit closest to Earth is called the perigee and the point farthest away is the apogee. The ellipse also varies slightly from year to year, with this years perigee moon being closest to the earth since 1948. 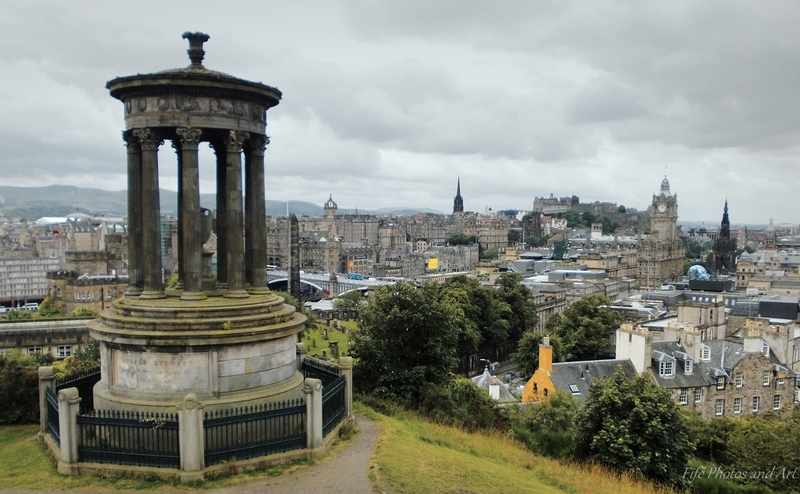 View from Calton Hill in Edinburgh, with the Dugald Stewart Monument in the foreground, and Edinburgh Castle, the Balmoral Hotel (and clock tower), and the Scott monument in the background. The Dugald Stewart Monument is a memorial to the Scottish philosopher and mathematician, who is best known for popularising the Scottish Enlightenment. 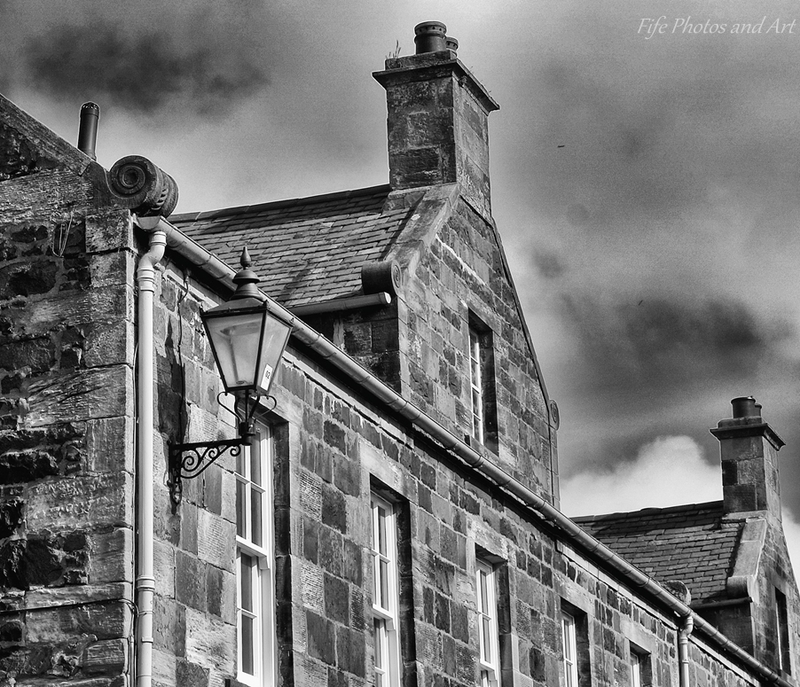 The Scottish Enlightenment or Enlichtenment, was a period in 18th and early 19th century Scotland that was characterised by an outpouring of intellectual and scientific accomplishments. Dugald Stewart (1753-1828) was a professor at the University of Edinburgh, holding the chair of moral philosophy from 1786 until his death in June 1828. Among Stewart’s pupils were Lord Palmerston, Sir Walter Scott, Francis Jeffrey, Henry Thomas Cockburn, Francis Horner, Sydney Smith, John William Ward, Lord Brougham, Dr. Thomas Brown, James Mill, Sir James Mackintosh and Sir Archibald Alison, all of whom were to become leading figures in their respective fields, not just in Scotland, but throughout the world. Following his death, the Royal Society of Edinburgh commissioned the building of the monument, which was completed in Aug 1831. Have you ever wondered about the different positions in which the sun rises, in say Edinburgh, compared to, for example, Plymouth? Because of the curve of the earth’s surface, us folks north of Hadrian’s Wall get shorter winter days, and longer summer daytime hours, compared with somewhere such as Cornwall/Devon. 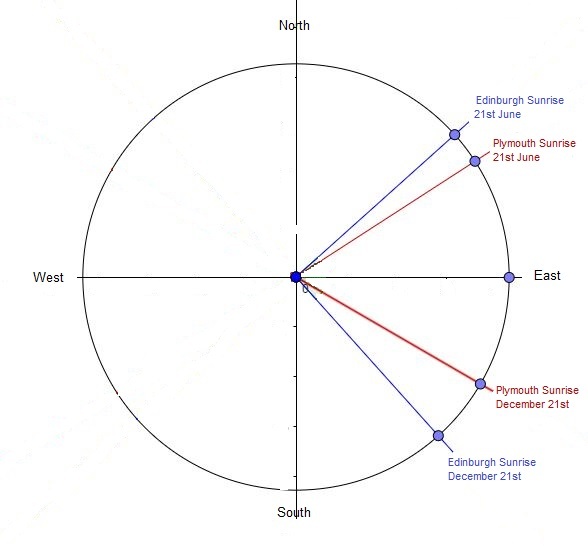 This can be proved to be definitely the case, when you look at the angles at which the sun rises in Edinburgh, and compare that with the compass angles at which the sun rises in Plymouth. If you imagine standing in a very large field of grass, that stretches as far as the horizon in all directions. When you look north, this is at 0° on a compass, east is 90°, south is 180°, west is 270°, and north is 360° or 0° again. If this field was in Edinburgh, in December, the sun would rise at 138°, but in Plymouth, it would rise 18° further to the north at 120°. 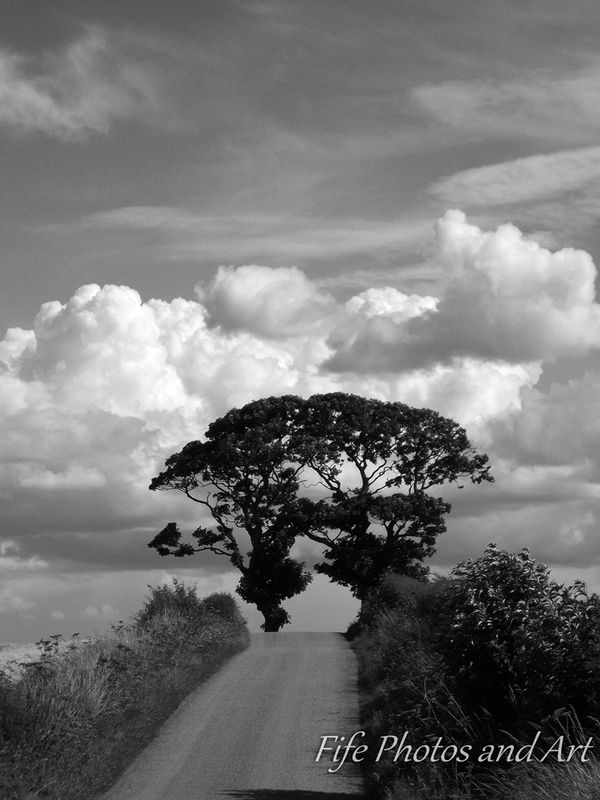 During the summer, in this field, the sun would rise in Plymouth at 57°, and in Edinburgh at 48°. I have shown this graphically on the image below. The angles are fairly similar for the sunsets, but on the other half of the circle, between 180° (south) and 360°/0° (north). Going back to the sunrise positions/compass angles, it’s interesting to see that the difference in Edinburgh between summer and winter sunrise positions is exactly 90° (a right angle)!! The difference in Plymouth between summer and winter sunrise positions is only 63°. Technically speaking, the difference at the Equator would be 0° (ie the sun rises at the same point on the horizon whatever the time of the year), and at the North Pole, its infinity?, because in the winter the sun doesn’t rise at all, and in the summer, it doesn’t set! If I’ve totally confused you, as I’m sure I have, and you have any questions etc, please leave them in the comments below. 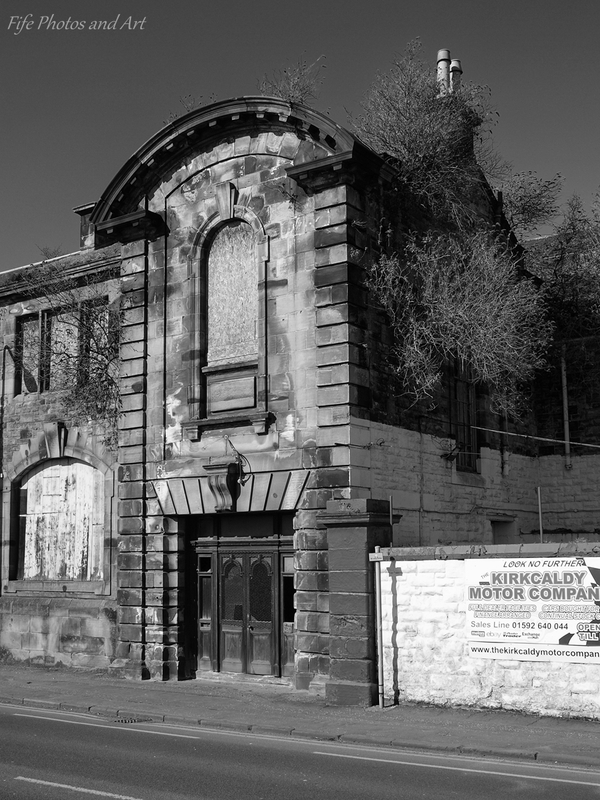 As early as 1896, Professor Kennedy (of Messrs Kennedy and Jenkins) proposed a joint venture for both power and tramways in Kirkcaldy. In 1898 he was appointed as consultant engineer, by the newly formed Tramways and Electric Light Committee. 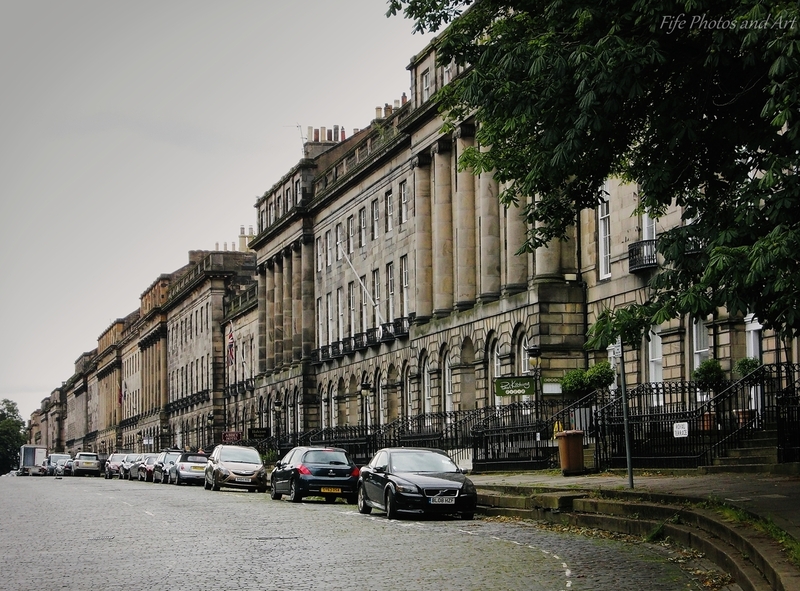 His proposal was to build a power staion on Victoria Road, in Kirkcaldy. 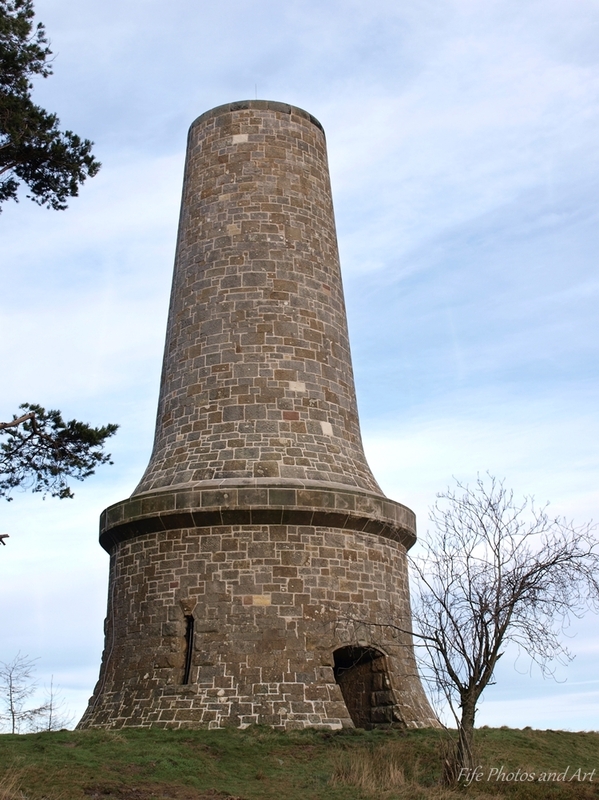 The main contractors were J & P McLauchlan of Larbert, but building was hindered by the difficulty of obtaining sufficient stone from Grange Quarry, at Burntisland, as well as the necessity for digging engine beds to a depth of 10ft. Three boilers and five engines (2 at 80hp and 3 at 250hp) were supplied by Browett, Lindley & Co Ltd. The Victoria Road Power Station first generated electricity on 15th December, 1902, and was formally opened on 28th February, 1903 when the power was officially switched on by Provost Tait at 3pm. Guests from this ceremony were then driven in carriages to Gallatown to inspect the new tramway depot, and returned to town on a tram. The first service tram was run on Monday 2nd March, 1903. 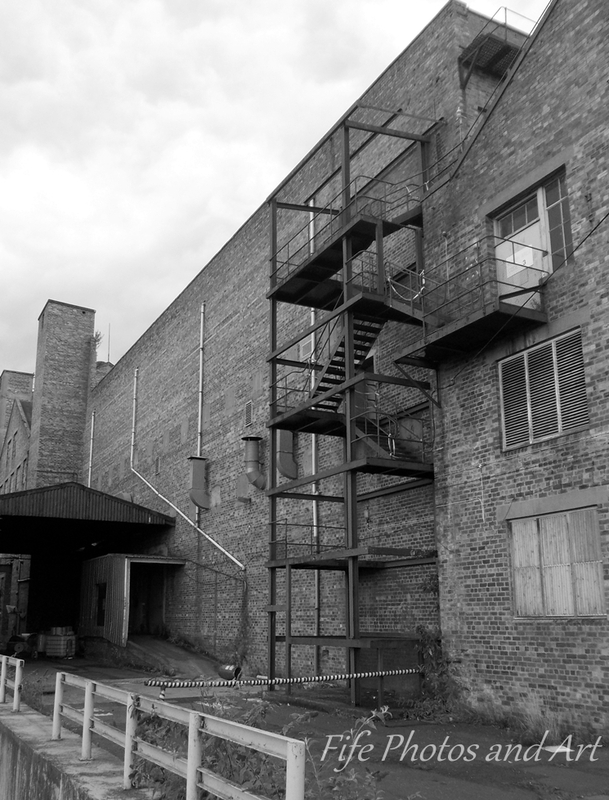 In 1909 the gallery was extended and a store added, a cooling tower was built in 1912 and a new engine room in 1922. The power station shut in 1931, and appears to have been derelict ever since then. 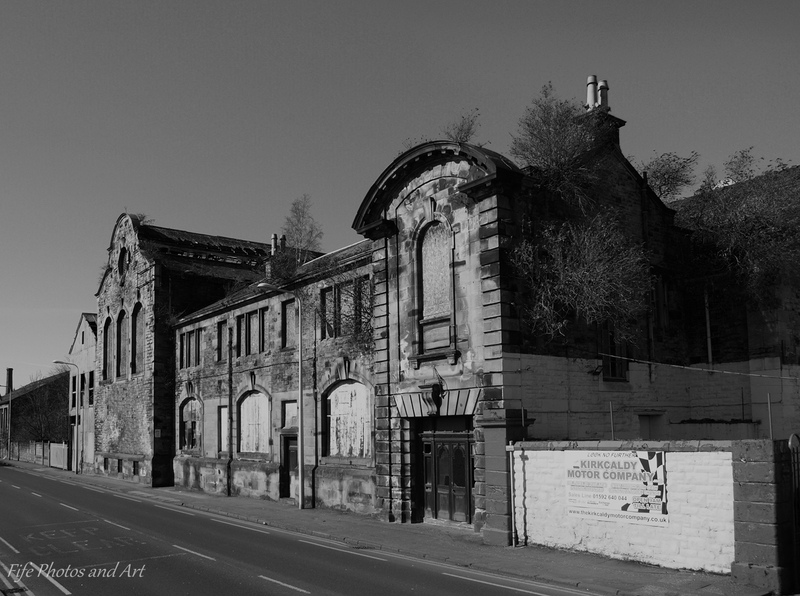 There have been plans to demolish the building and then use the site for an old peoples home and small supermarket. Thankfully ‘Historic Scotland’ stepped in and objected to the plan. 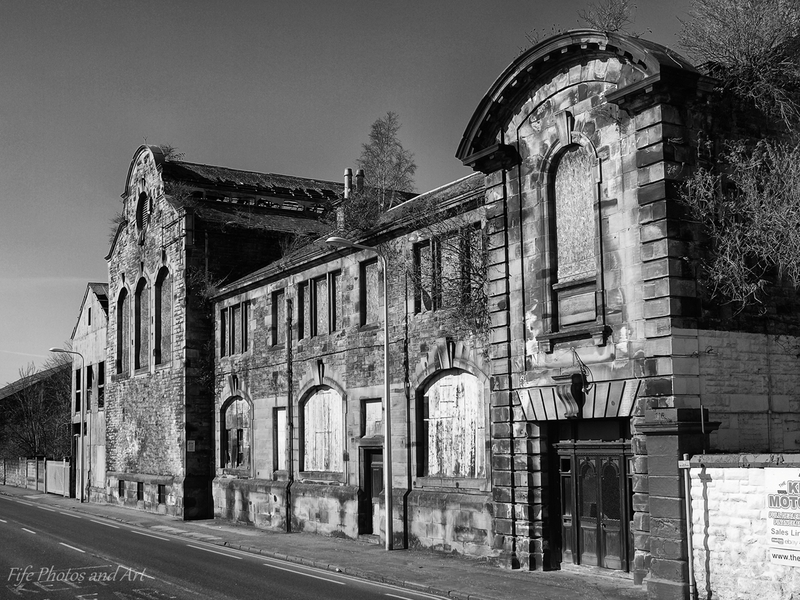 But now the owners of the building, United Investments, have put the building up for sale, for the nominal price of £1, as Historic Scotland is adamant in its position that the facade of the building be retained. The developers are saying that this will cost millions of pounds (I’m not a builder, but I can’t see why a facade would cost so much to preserve, the rest of the building will be demolished anyway), and at least one councillor (George Kay) has quoted that he believes the whole building should be demolished. 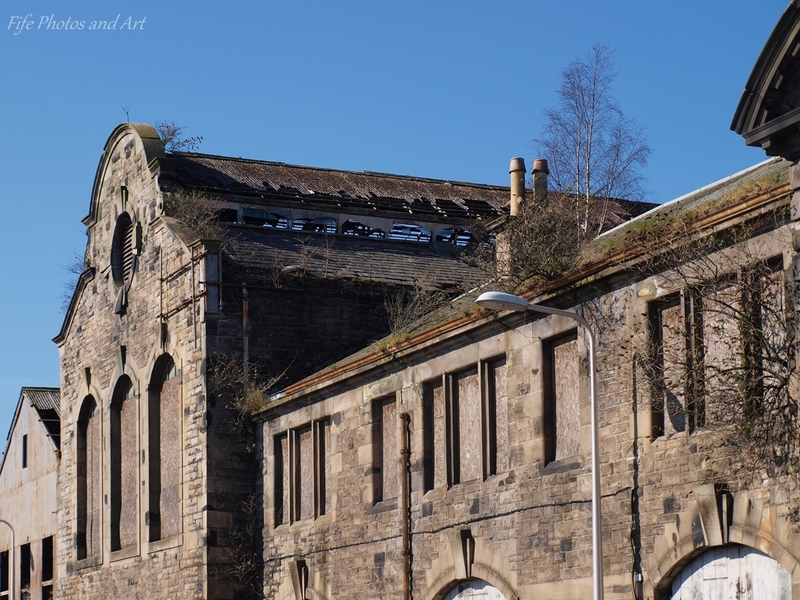 I, for one, am hoping that an investor will see the beauty of this historic building, and at least preserve the outside of the Victoria Power Station. 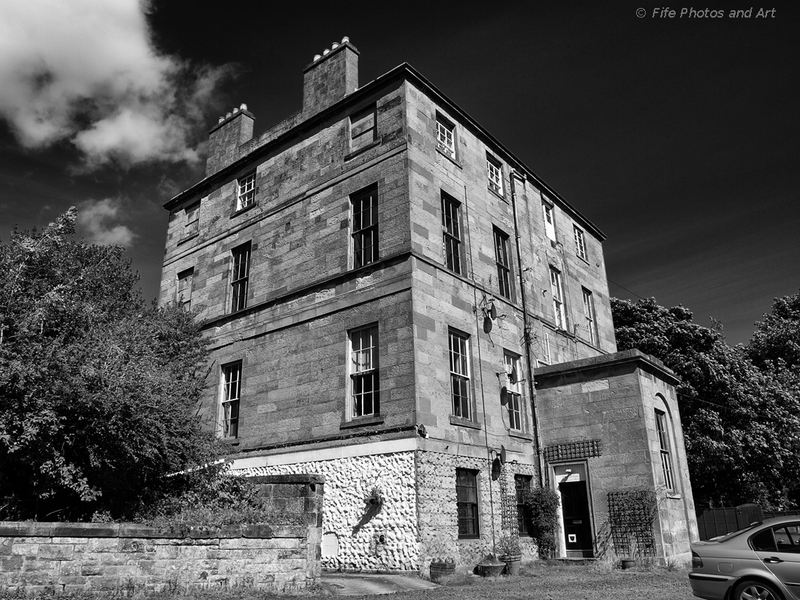 This wonderful Georgian house in Viewfield Terrace, Dunfermline was built in approx 1808, for James Blackwood, the then Provost of Dunfermline. 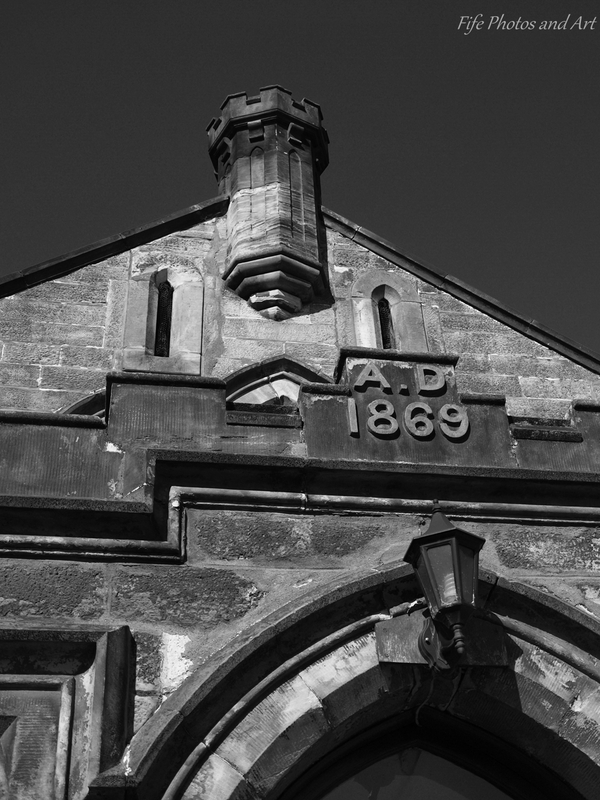 From 1920-1965, it was used as an art and craft school, under the ownership of the Carnegie Dunfermline Trust, but in 1985 it was converted into flats. 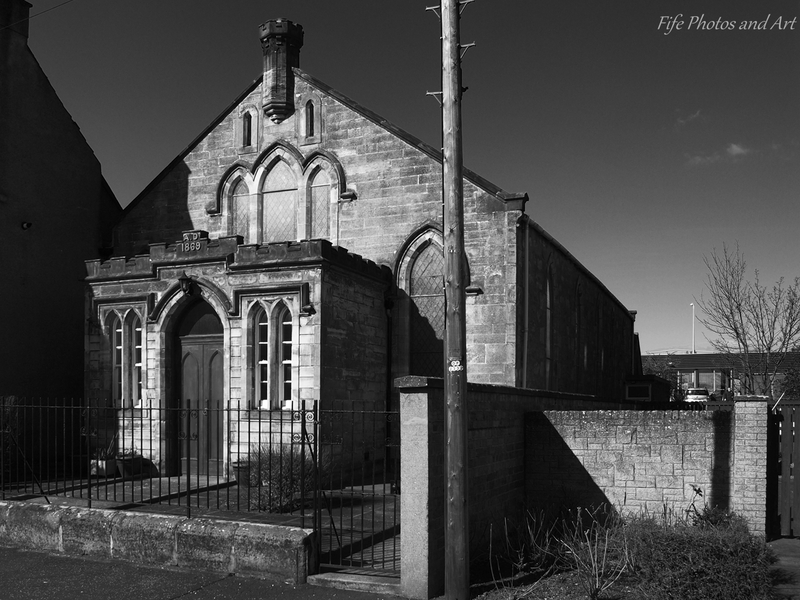 The Galloway Library in Colinsburgh was built in 1903, at the bequest of Thomas Carstairs Galloway, a rich linen merchant, He was born in Kilconquhar, Fife, in 1846, and died at the beginning of the 20th century. 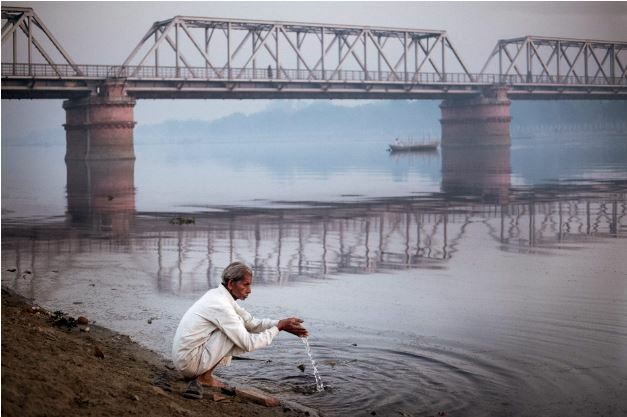 He left a large Trust fund to the village. 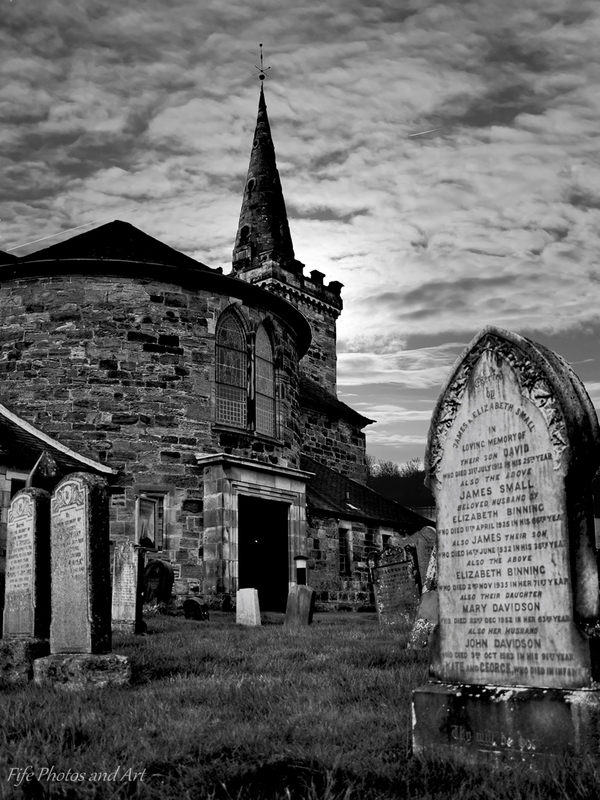 The money from the Trust was to be invested in railways and coal, and to be used to build a public library for Colinsburgh, and to provide for a librarian/caretaker who would live upstairs. It appears however, that the library was instead sold off, instead of being kept for the local residents. 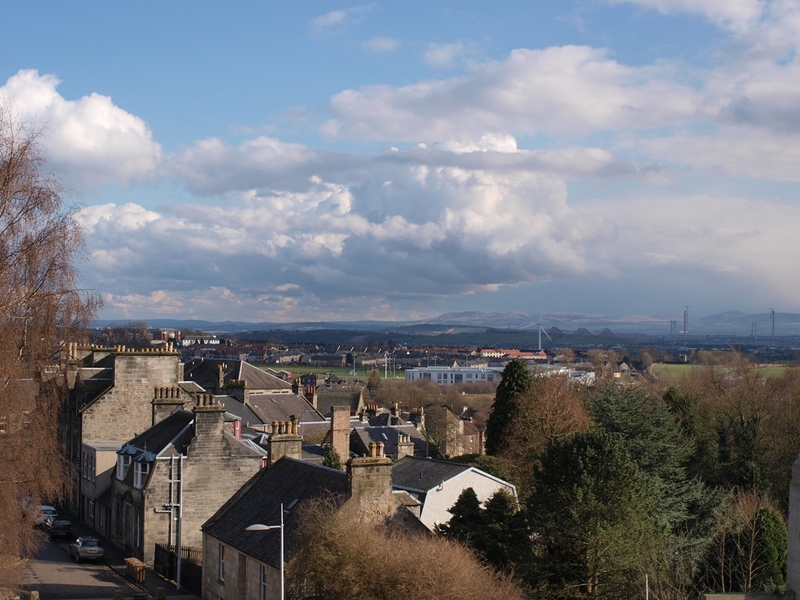 Glenrothes is a ‘new’ town, none of the properties are much older than approx 70 years, with one or two exceptions. 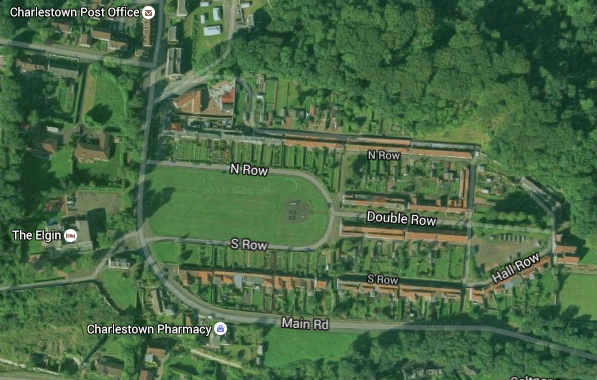 Therefore my closest ‘local‘ older houses, are the Greenside Cottages, which face onto Leslie Green. 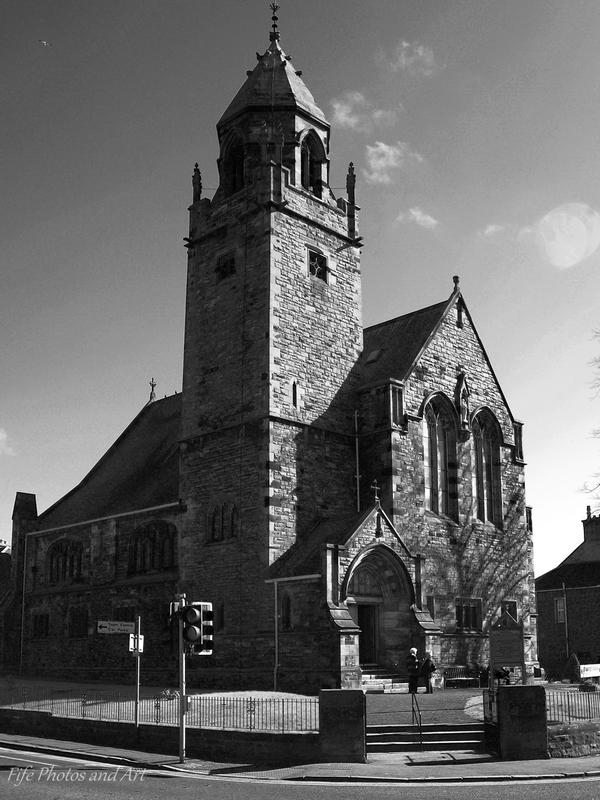 Leslie is a small village to the west of Glenrothes. 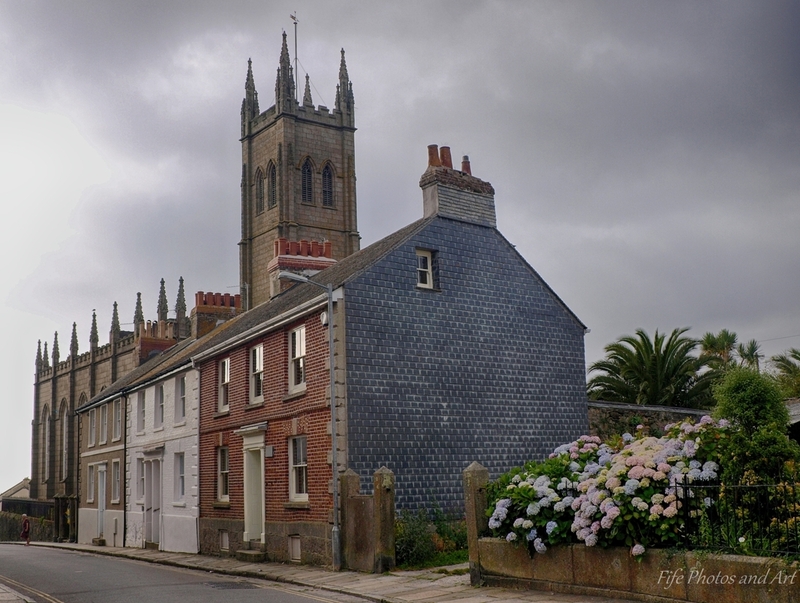 The Greenside Cottages are also known as Douglas Croft Cottages, and are some of the oldest properties in Leslie. The Green was originally common land (ie anyone living in Leslie could graze their animals there, free of charge), but unfortunately for the residents of Greenside Cottages, their houses were owned by the Douglas family of Strathendry. 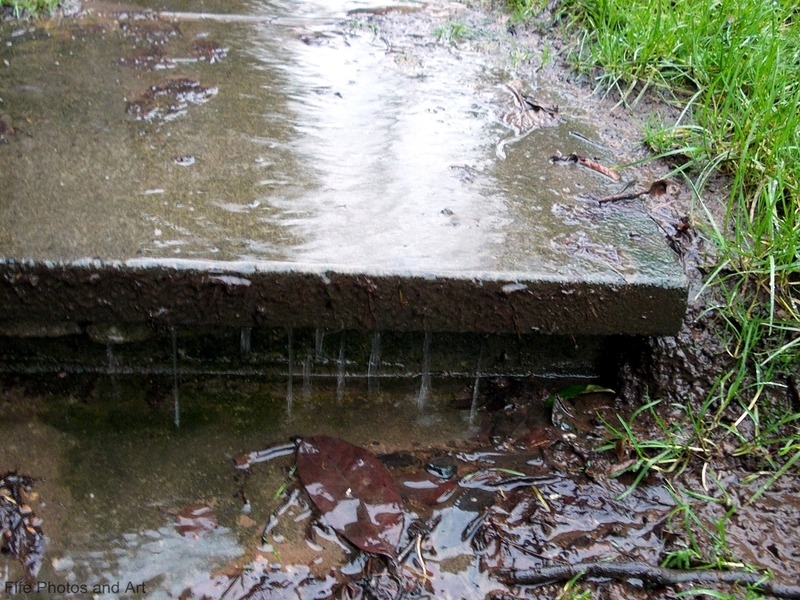 This meant the folk of the cottages had to pay a small yearly fee, for stepping out of their front doors!!! Thankfully for them, this situation didn’t remain for too long. Later residents had the privilege of being right next to Leslie Green. 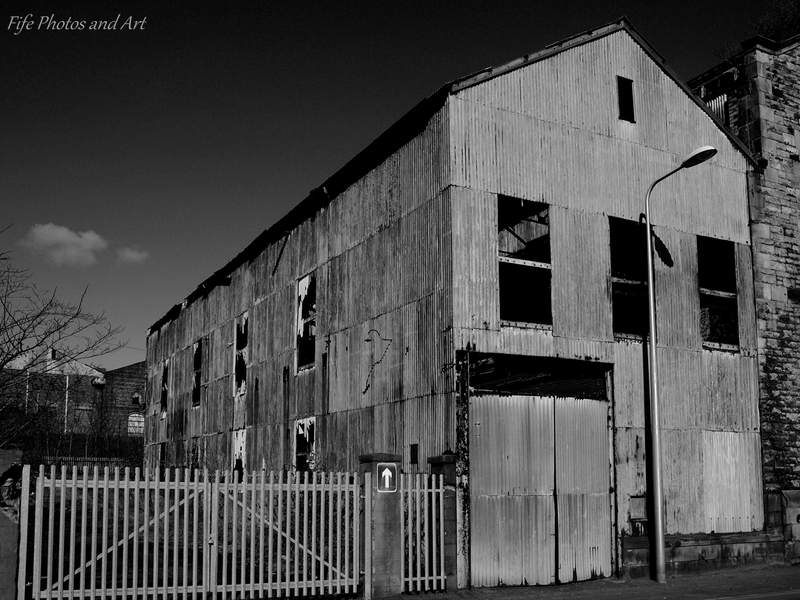 This was the focal point of community, the site being used for fairs and the weekly markets. 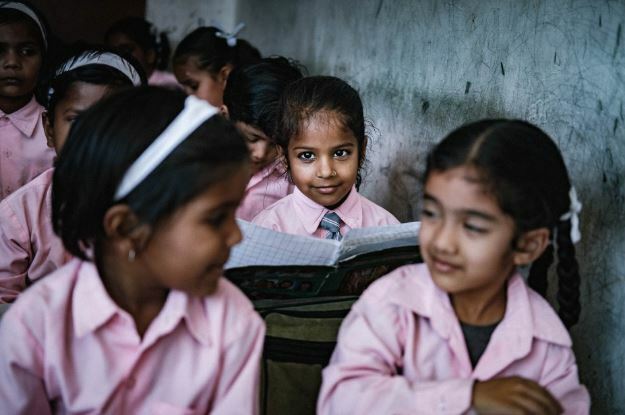 Google’s Nik Collection plug-ins are now totally free to download (see link at bottom of page), and will work as a standalone suite of editing tools (albeit, you need to edit one photo at a time). This is great news for anyone who edits their own photographs, especially for those of you like me, who like working in black & white. As a set of plug-ins, the Google Nik Collection is best used together with one of the Adobe photo editing softwares, such as Photoshop or Lightroom, or Apple’s Aperture, but for those of us on a limited budget, it’s possible to use this wonderful software as a standalone editing tool. Over the next few weeks I’ll be posting some of the amazing transformations of some of my photos, and how they were achieved, using this brilliant piece of photo editing kit. For anyone using these plug-ins with no other software, follow this procedure for a windows pc. This method may vary slightly for a Mac, but a quick check on Google will no doubt show you how to do it on an Apple pc etc. 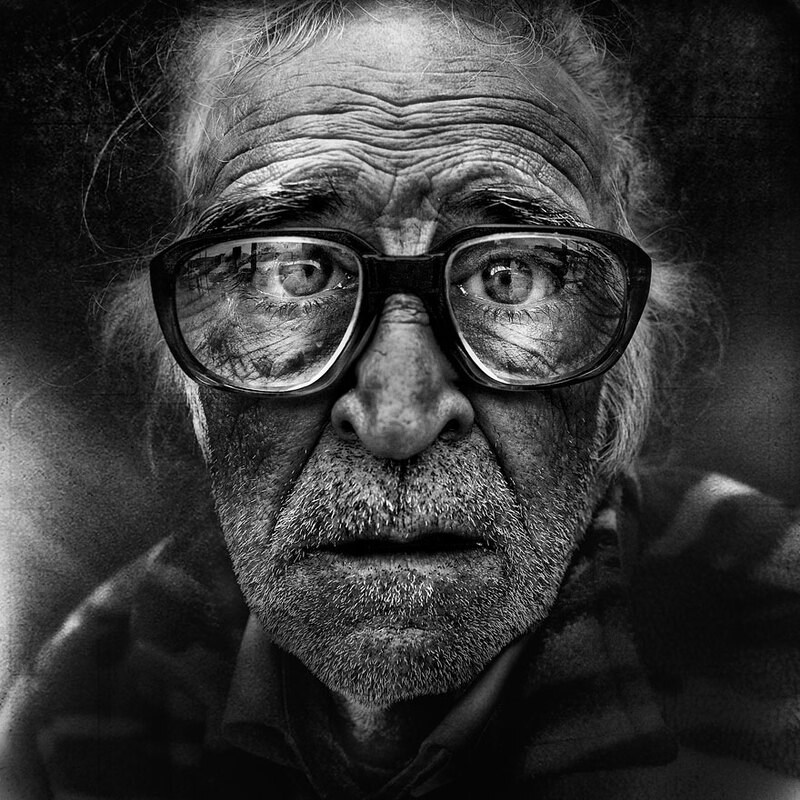 To edit a photo, go to the location of the downloaded software (it will be found in a main folder labelled ‘Google’), and open up the appropriate plug-in folder eg Silver Efex Pro. 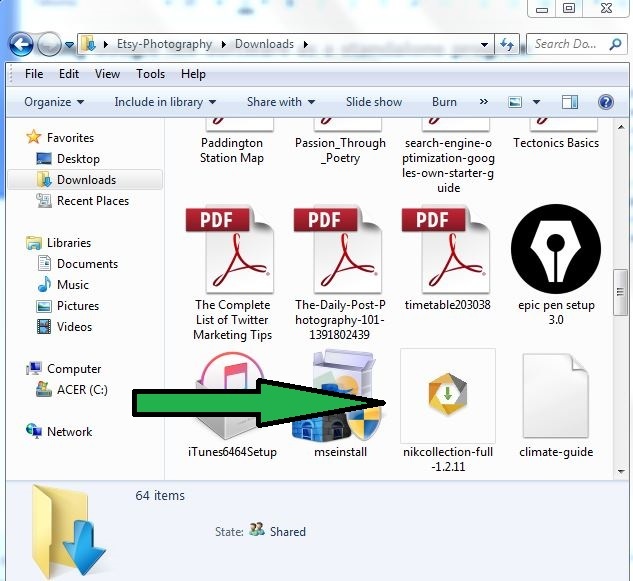 Grab the copy of the photo you wish to edit, and drag and drop it over application file in that software folder. 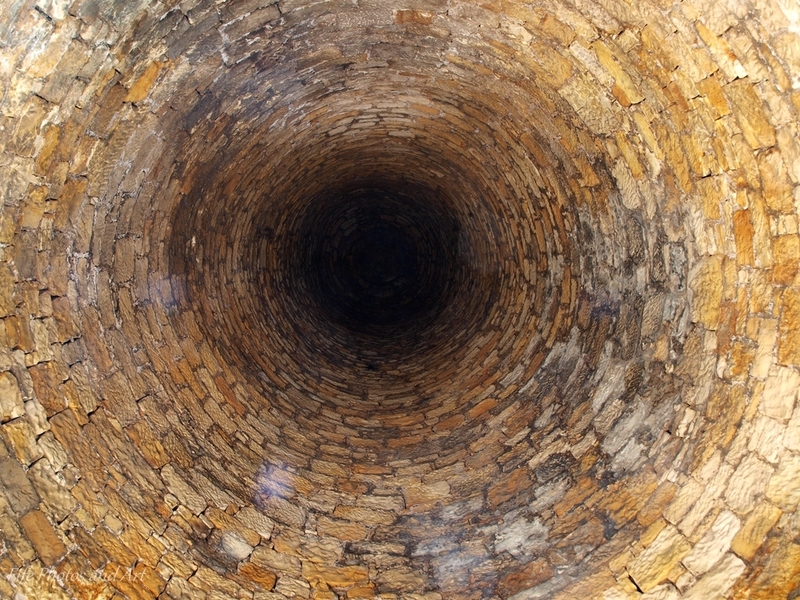 This will open up the image in the appropriate plug-in. Once you have finished editing, ‘save’ the image. 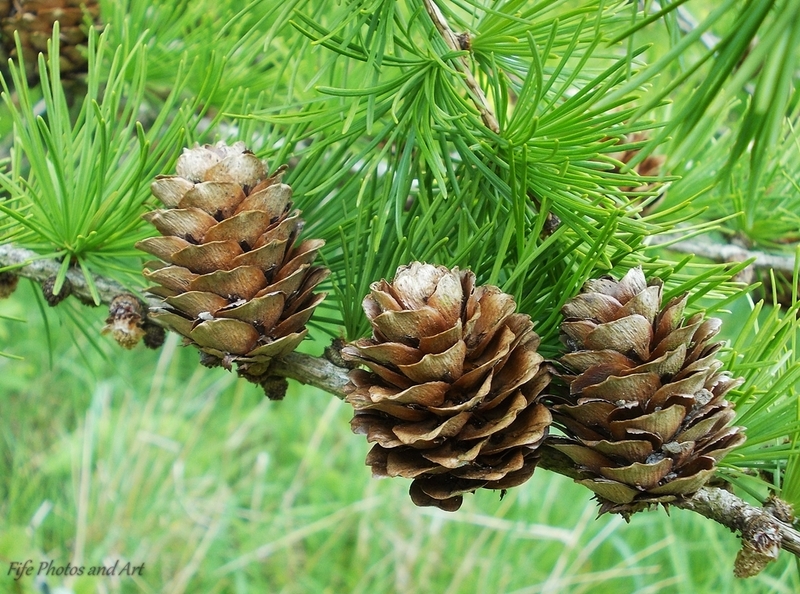 The new saved image will replace the original image in the folder where you initially retrieved the image from. Please note : This software, when used by itself, alters the original image, so always make a copy of the photo before you start your editing! Below are a few photos I’ve played around with over the last week (before and after shots), some of which are a little over edited, I’m still trying to get used to the multitude of different possible effects and edits. 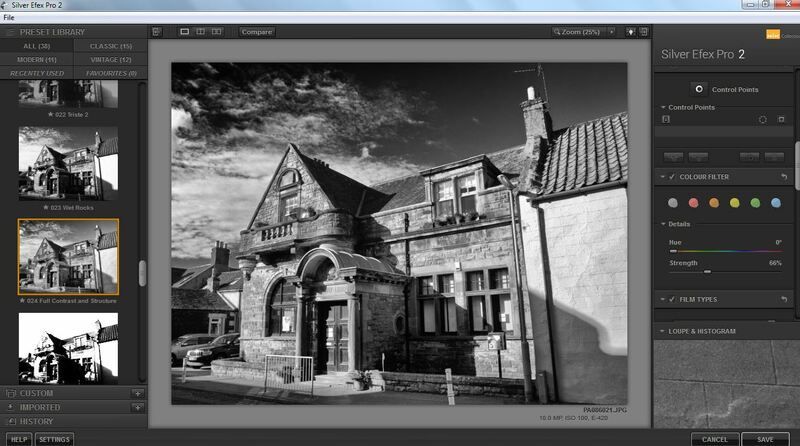 PS The Nik Silver Efex Pro plug-in, is recognised as the primary piece of software for black & white photographers. 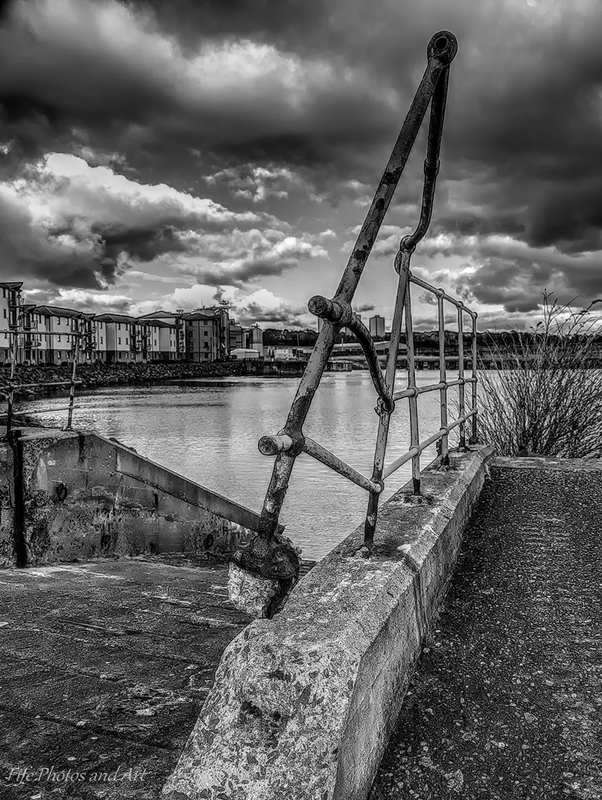 Continuing from my previous 2 posts (Black & White Photos From Pathhead, Kirkcaldy – Part 1 and Part 2), here are the final few photos taken in Kirkcaldy, from the old Nairn Linoleum Works, Kirkcaldy Harbour, and the return up to Pathhead. 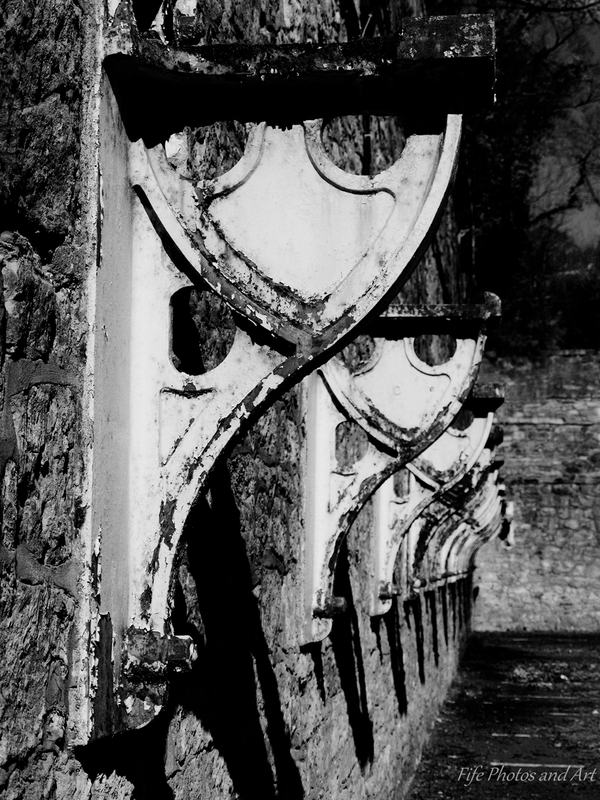 The first photo shows the large metal floor supports for part of what was the Nairn Linoleum factory. This area is now an open air car park for the Adam Smith College. 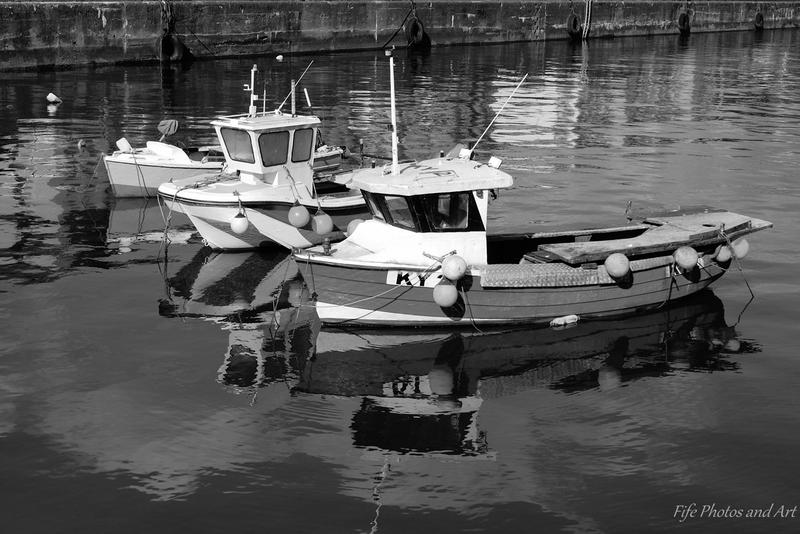 The second photo shows a couple of small fishing boats in the now almost unused Kirkcaldy Harbour. The harbour is thought to have first been in use as early as the beginning of the 16th century, with boats trading with the Baltic countries, and bringing back grain and continental beers. Shipbuilding also took place here, from the early 1600s. Kirkcaldy Harbour is now used by a few small fishing boats and yachts, and the occasional small grain ship transporting wheat into the nearby Hutchinson’s/Carr’s flour mill, and flour out of the site. 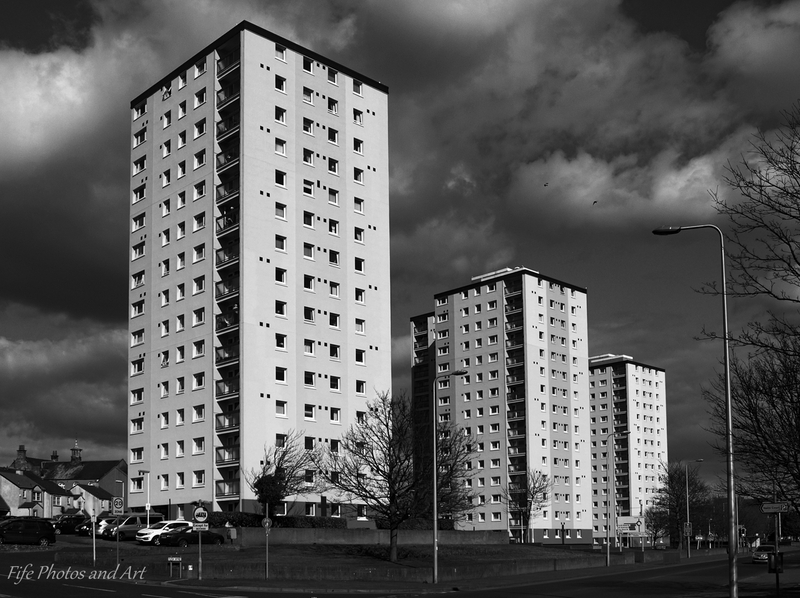 The final two black & white photographs show the Pathhead Mid Street Development, three tower blocks built in the mid 1960s, and the final photo shows the tower blocks with the Pathhead Medical Centre in the foreground. 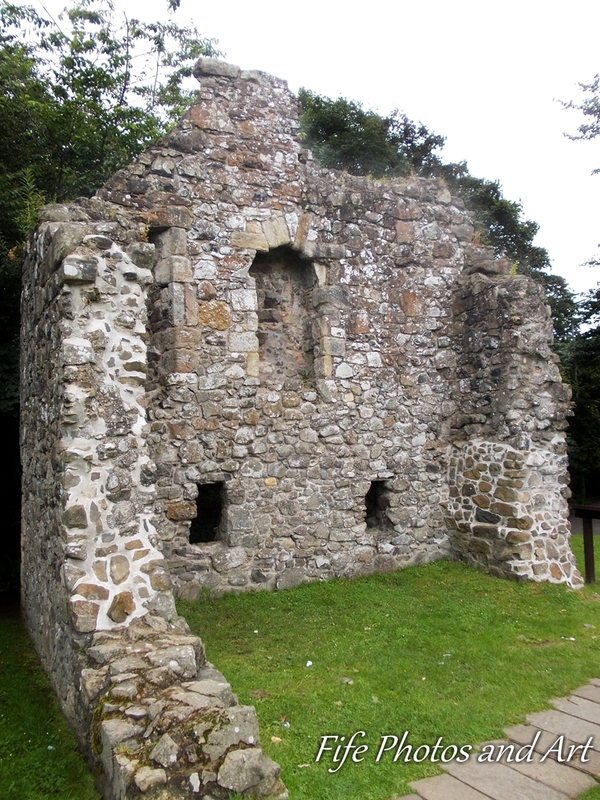 This much older building was formerly known as Dunnikier House, and was originally built in 1692 following the marriage of John Watson to Euphan Orrock. A number of monograms of ‘IW’s and ‘EO’s have been recorded in and around the building. 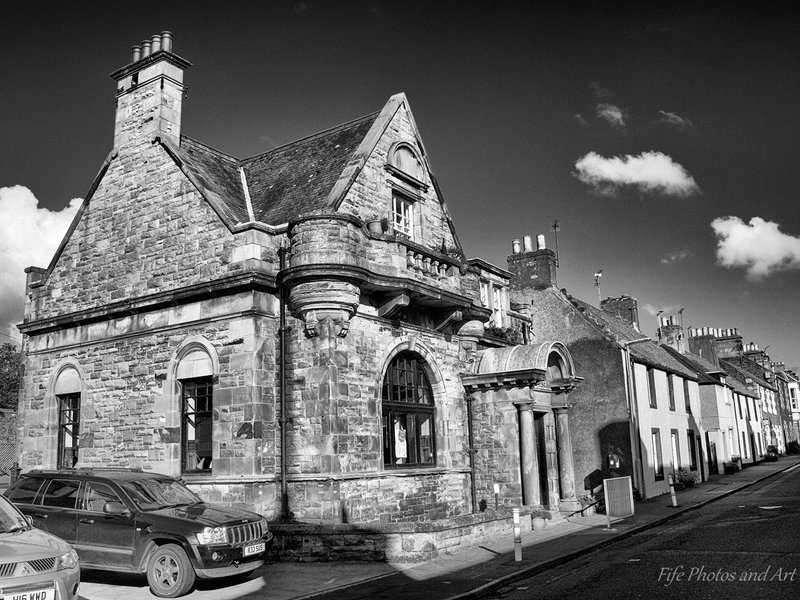 (Note – the present Dunnikier House (built in 1790) is now a hotel, and lies on the northern edge of Kirkcaldy). 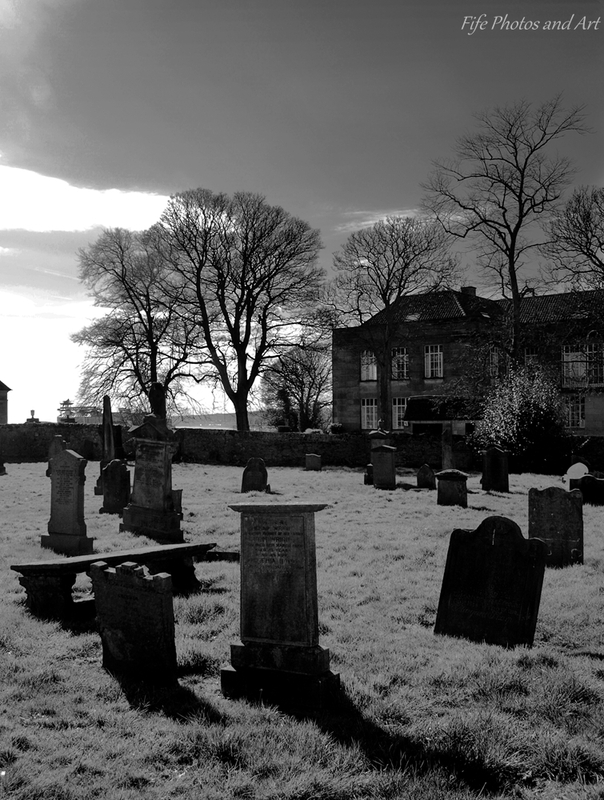 Some alterations were made to the building in 1891, when the house became the Manse for Dunnikier Church, and in 1979, the name was changed to Path House, following restoration by the Fife Health Board, and a change of use to a health centre. 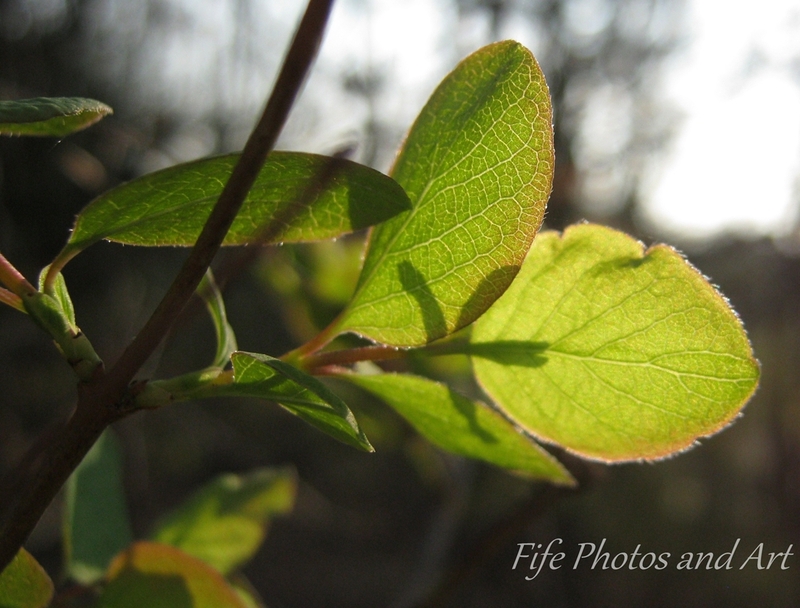 Here’s some photos I took a few weeks ago starting at Pathhead, then going along Nairn St and Victoria Rd, and on down to Kirkcaldy Harbour. 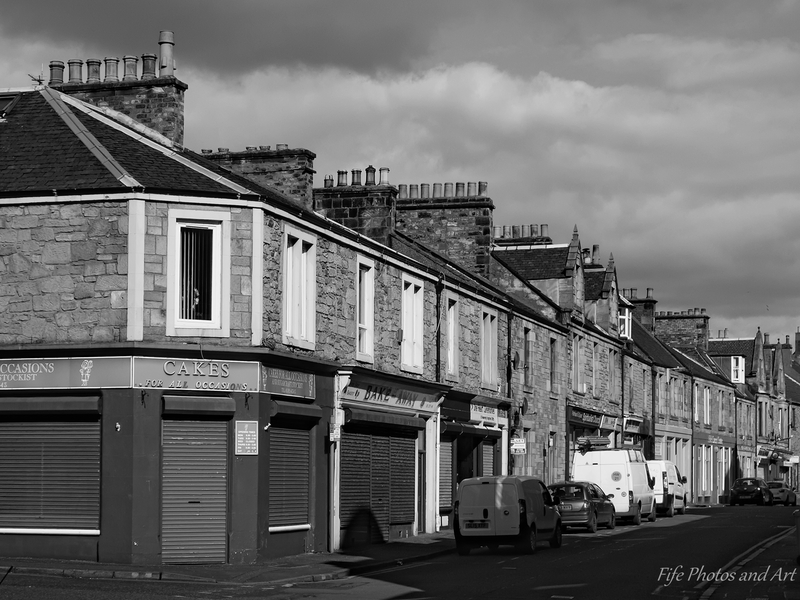 The first photo shows Pathhead main street, Commercial St, which satisfies my love of old chimneys. 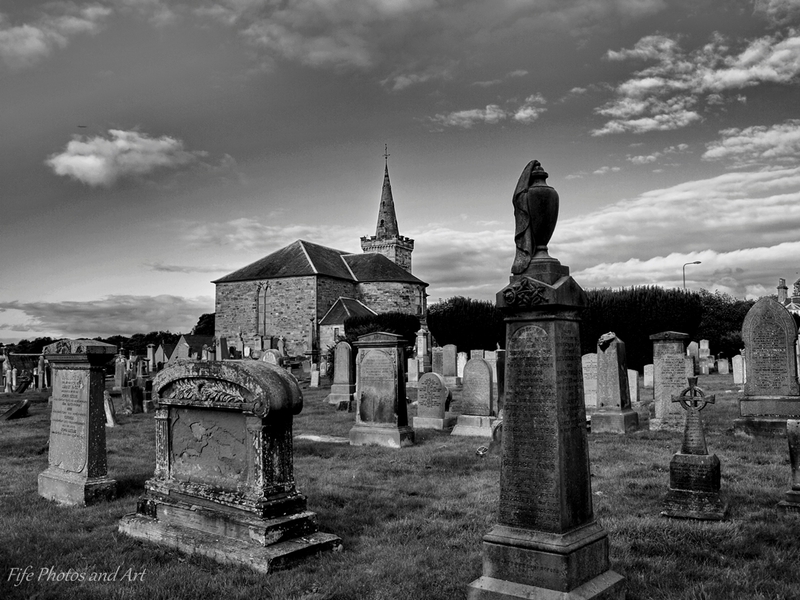 The second and third photos are of a small church, built in 1869, tucked away from the main road and adjacent to an old cemetery (see photos below). 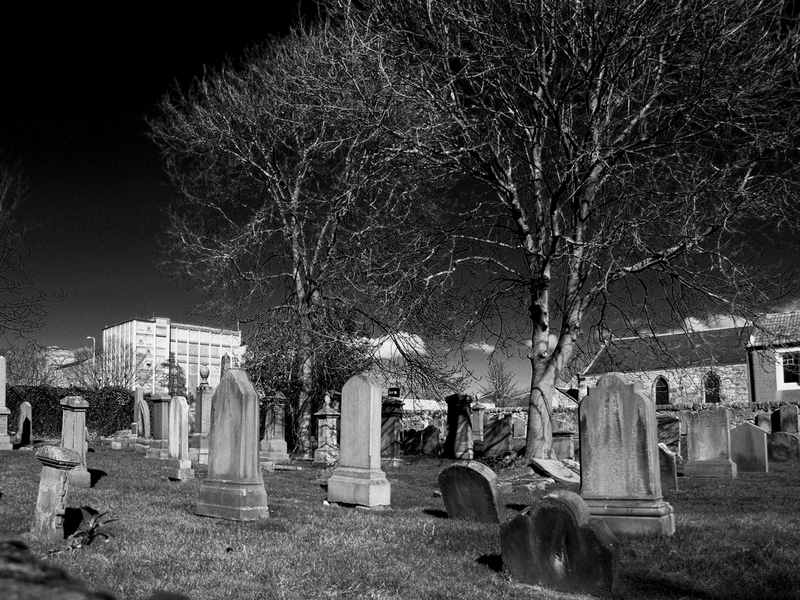 At the end of the short lane (Pathhead Court) with the church, is a small cemetery, which appears to be locked most of the time. 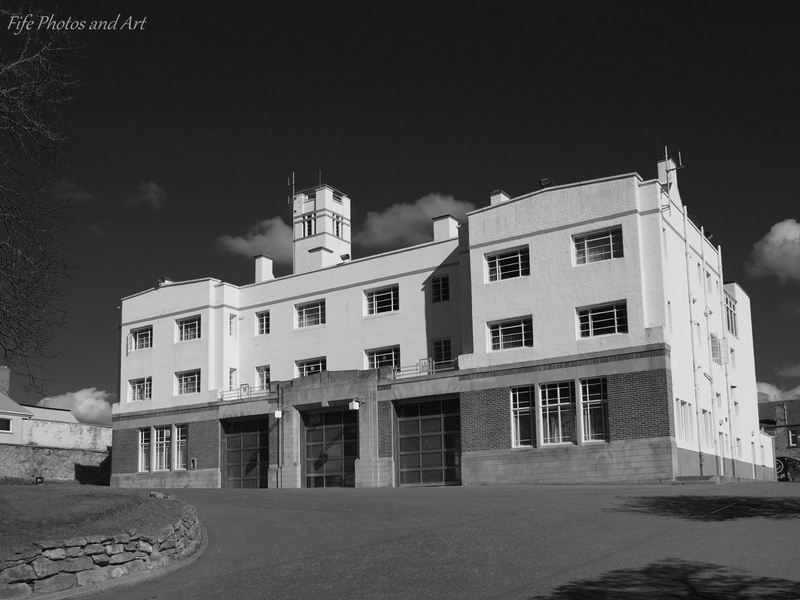 It backs onto the building which used to be the Head Office of Nairn Linoleum works (once, one of the major employers in Fife), but it is now luxury apartments. 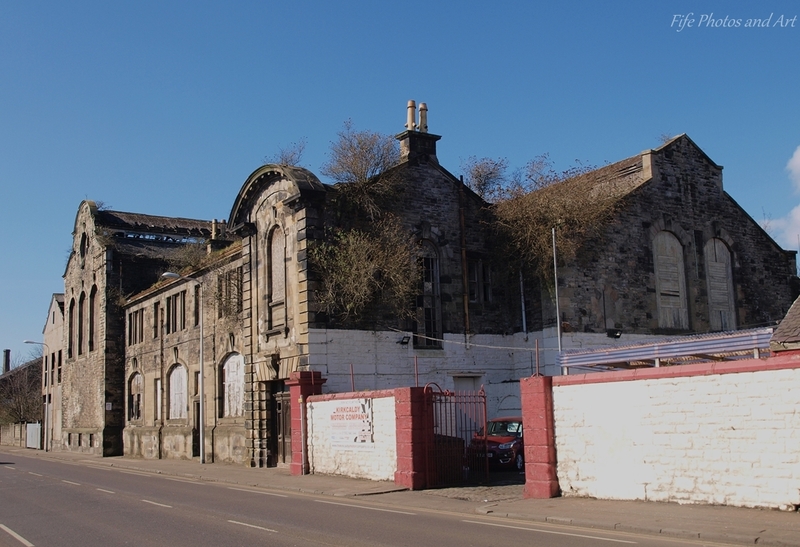 In the background of the photo above, the last remnants of the Nairn Linoleum Works can be seen. 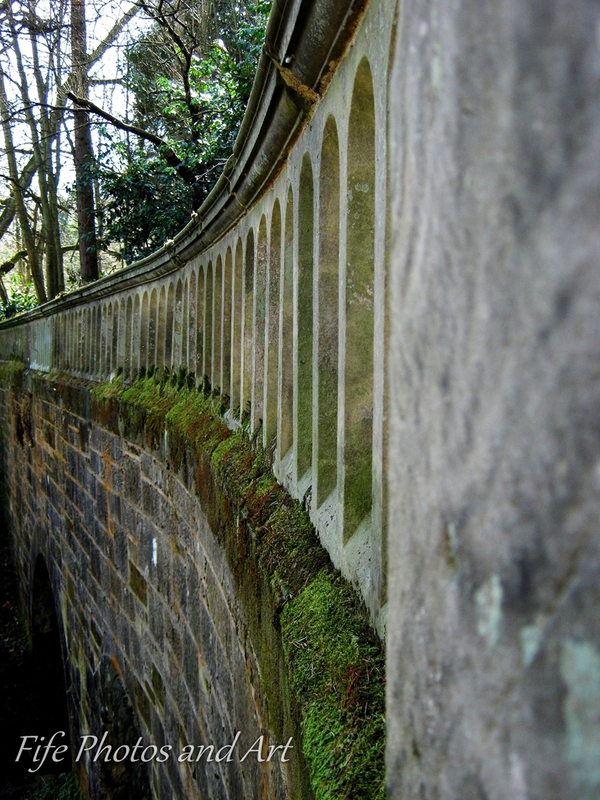 Part 2 to follow soon – Photographs from Victoria Rd to Dunnikier Rd. 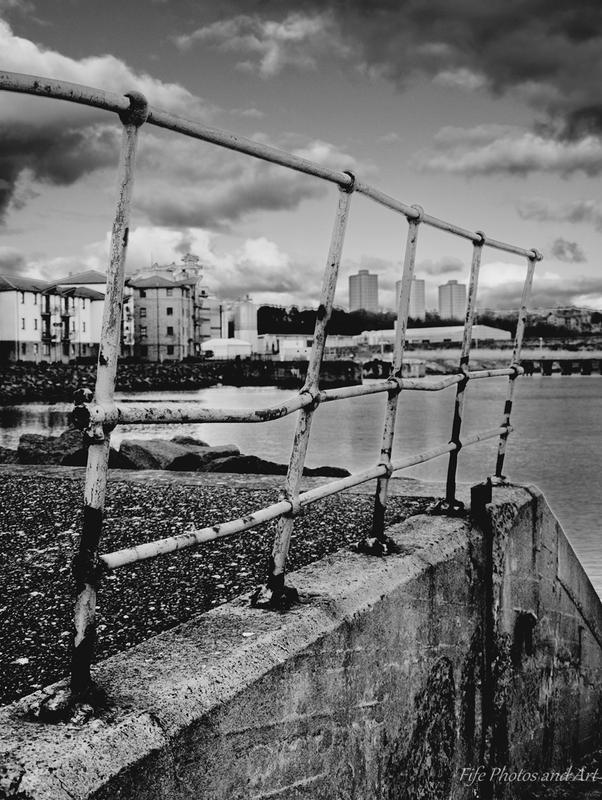 Last week, whilst down in Kirkcaldy doing a wee bit of shopping, I stopped off and took these two photographs of Kirkcaldy Harbour. This once thriving port is now home to one or two fishing boats, and a few pleasure boats. The inner harbour is still used by small merchant vessels collecting flour for export from a local mill (just visible to the left of the railings in the first photo). 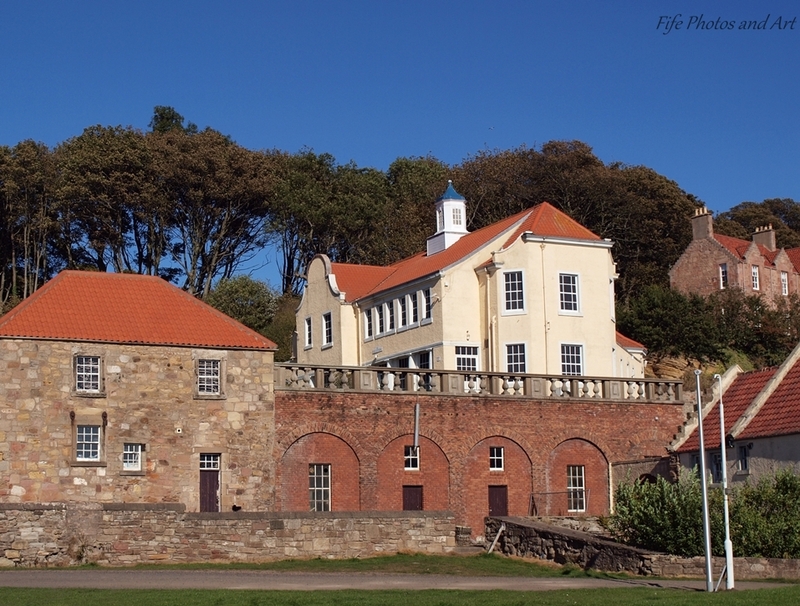 Unfortunately, the old warehouses and harbour buildings surrounding Kirkcaldy harbour have now been replaced with modern style flats. 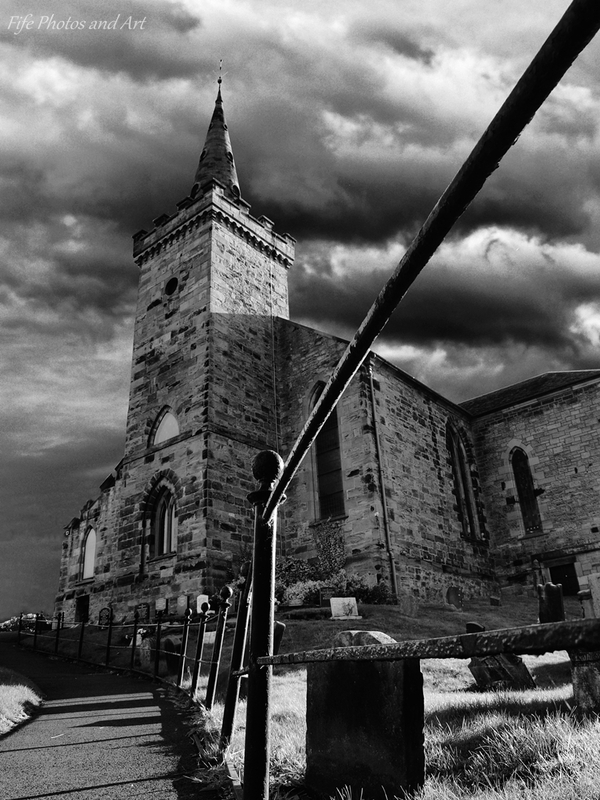 This is a selection of black & white images I took last year of Abbotshall Church in Kirkcaldy, Fife. 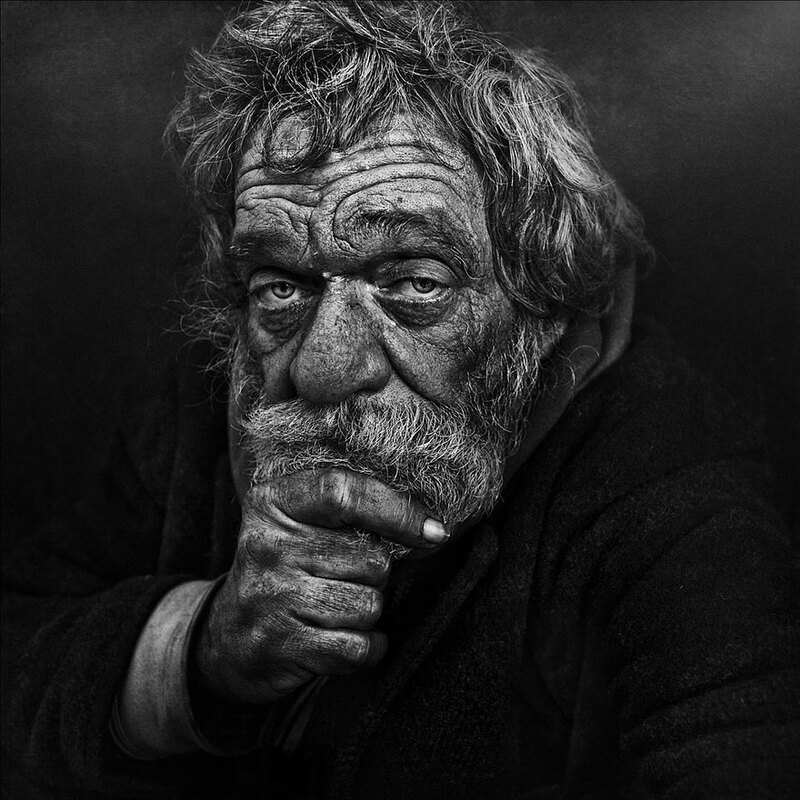 The images have been edited using two open source pieces of photo editing software, Gimp and Raw Therapee, both of which I recommend to anyone who either can’t afford, or would rather not, pay out the subscription costs of programs such as Adobe’s Photoshop and Lightroom. 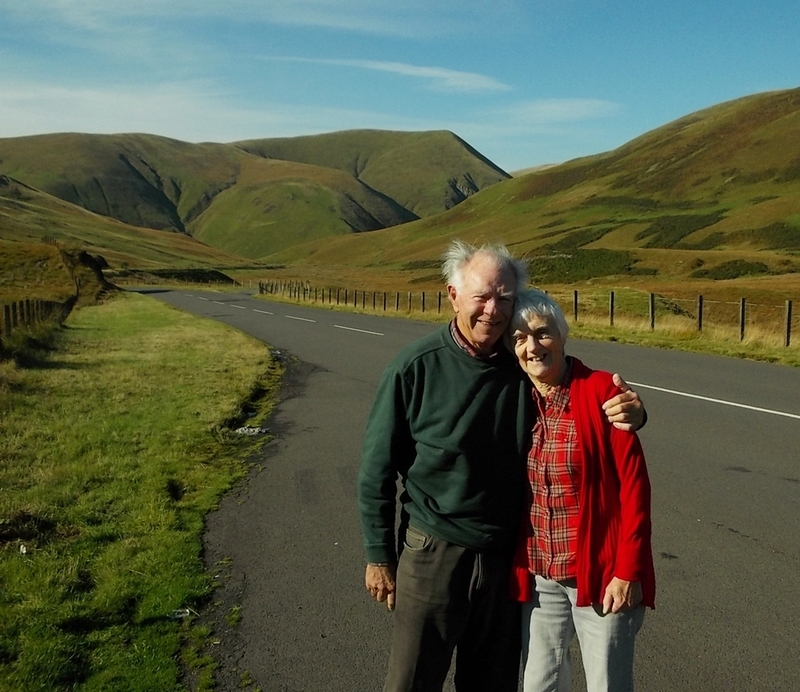 This is just a wee post to thank my Mum and Dad for a wonderful weekend in Devon, at a hotel just outside Honiton, to celebrate their Diamond Wedding Anniversary – 60 years of being happily married!!! and the rock’s their brither. or it went to pieces. and the rock’s their brother. See Pitcairn House post for more information about these photos. 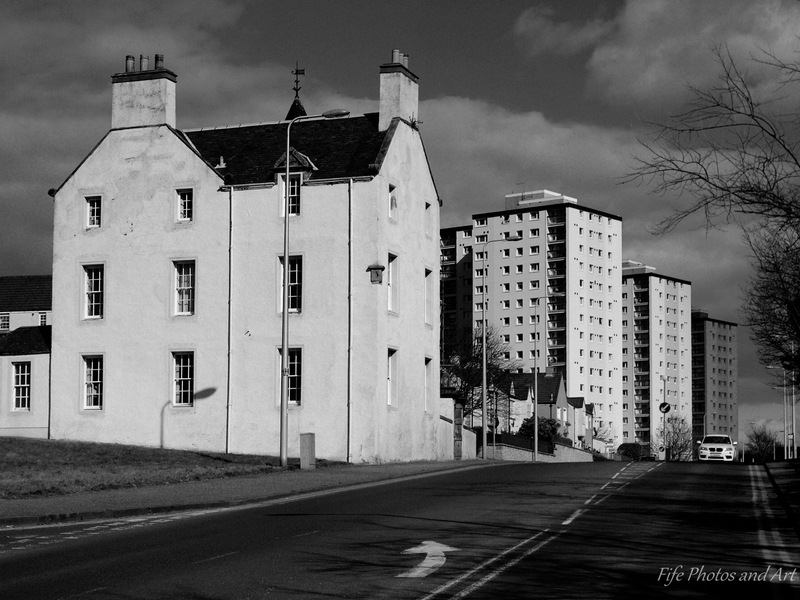 Pitcairn House, Glenrothes – View from west wall. 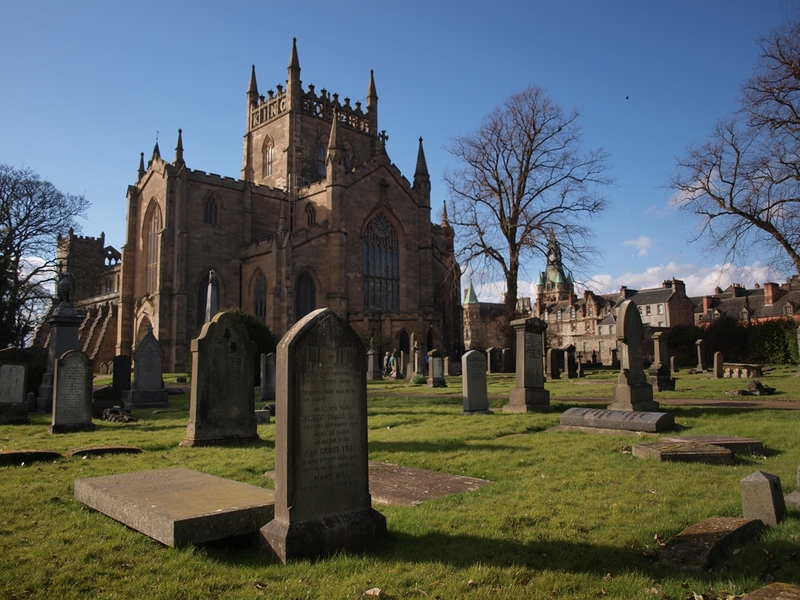 William Souter was born in Perth on 28th April 1898. He left school in 1916, and joined the Royal Navy, serving in the Atlantic and the North Sea during WWI. He was discharged in 1919, having begun to suffer from back pains and stiffness. He then enrolled in a medical degree at Edinburgh University, but transferred to English after one year, and graduated in 1923. Unfortunately, in 1924 he was diagnosed with ankylosing spondylitis, an infection of the spine, which had gone too far to be cured. Treatment continued for the remainder of his life, but following an unsuccessful operation in 1930, he became bedridden until his death in 1943. Fortunately for William, he was the only child of very loving parents, and his father converted the downstairs of their house to create a large bedroom with a bay window overlooking their back garden. 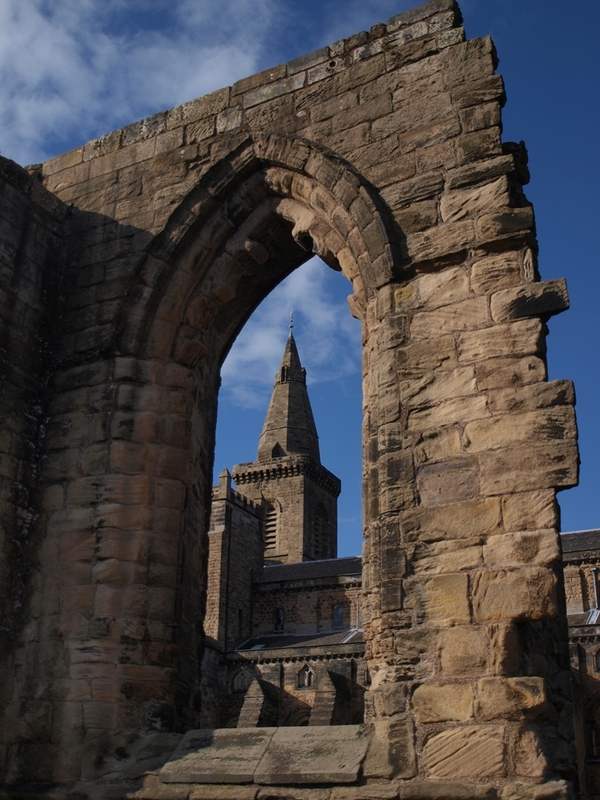 From his bed, he spent his time writing poetry and keeping an extensive journal, and entertaining his many visitors, some of which were the leading writers of the Scottish literary renaissance. It was this literary renaissance that helped William Souter to become so famous, his original poems were in English, and not particularly successful, but once he started using his native dialect, his work improved dramatically. Some of his most famous works are whimsical children’s poems and epigrams, such as, for example, this first verse of ‘The Three Puddocks’. Over the last few years, we appear to be getting ever increasing numbers of jellyfish getting washed up along Fife’s coastline. 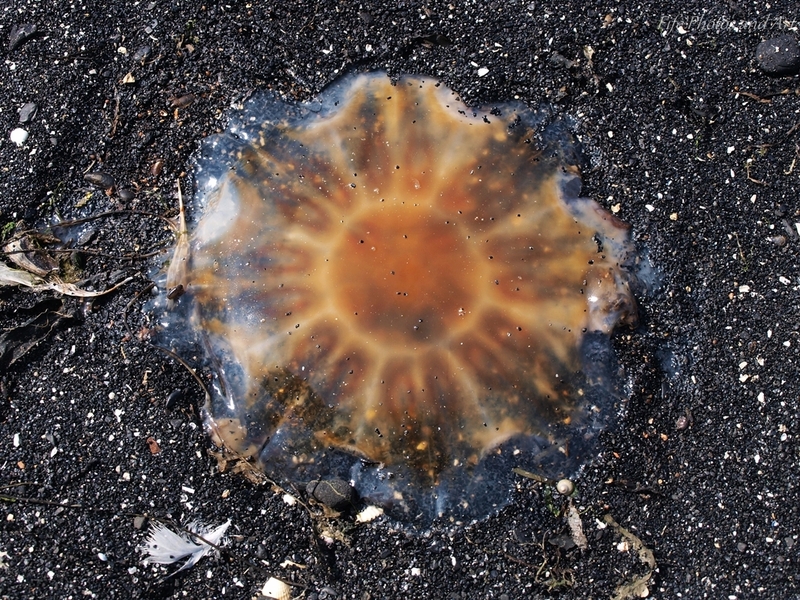 The two most common species are the Lion’s Mane Jellyfish and the Moon Jellyfish – these often appear as blue or orange jelly ‘circles‘ on the strand-line of any given beach. Lion’s Mane Jellyfish can grow up to 6 feet (180cm) across, and one was sighted off the west coast of Scotland with 120 ft long tentacles – jellyfish of this sort of size could have fatal stings to them, but the much smaller ones found commonly around Scottish coasts will only cause mild stings, similar in strength to stinging nettles. 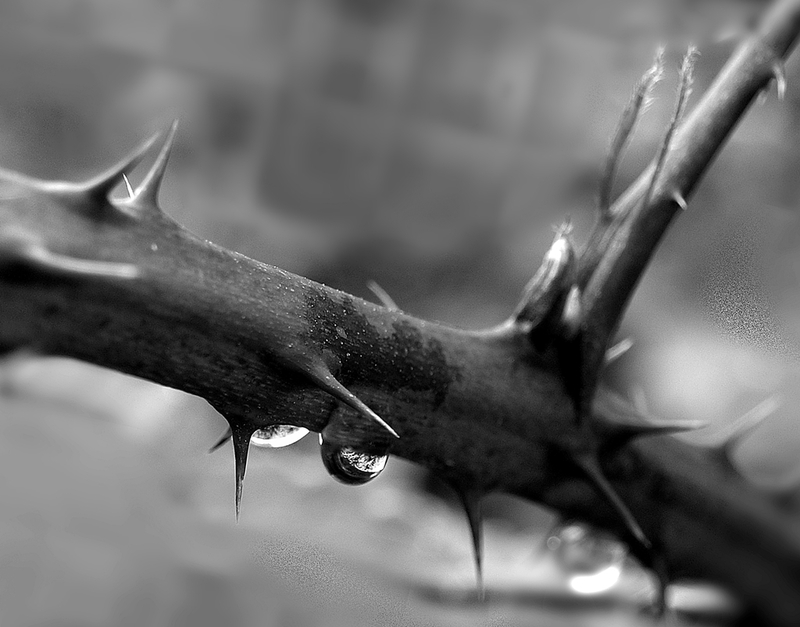 The sting can be treated with vinegar to restrict the stinging sensation. 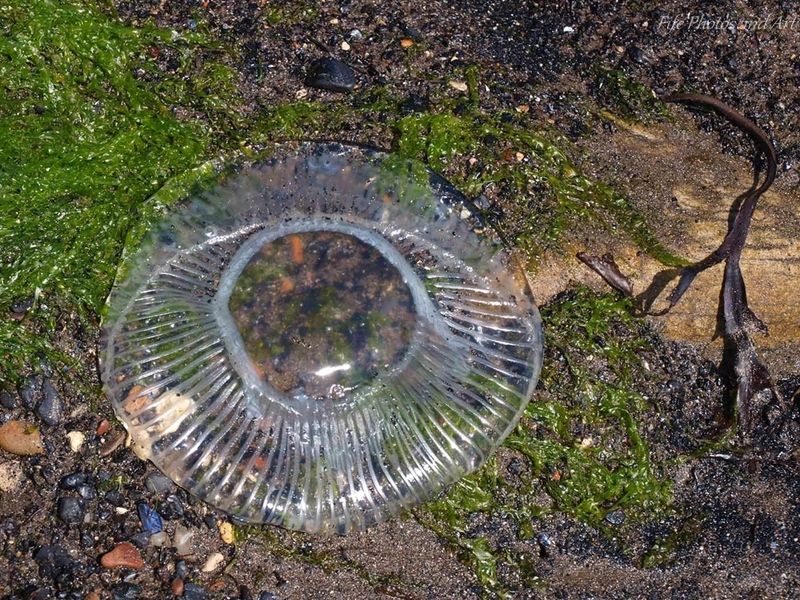 The Moon Jellyfish, however, is generally a smaller genus, it is usually 5 – 40cm in diameter, and is also often found washed up around Fife’s coastline. It’s sting is almost undetectable by humans. Both jellyfish feed on microscopic plankton that float in large numbers in most of our oceans and seas. 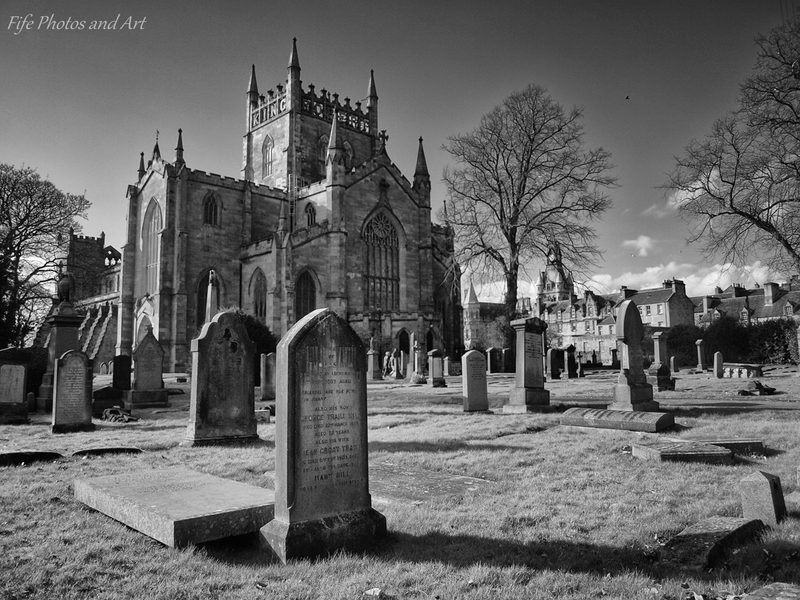 Over the next twelve months or so, I will be doing a series of posts under the category “Scottish Poets & Their Poems“. 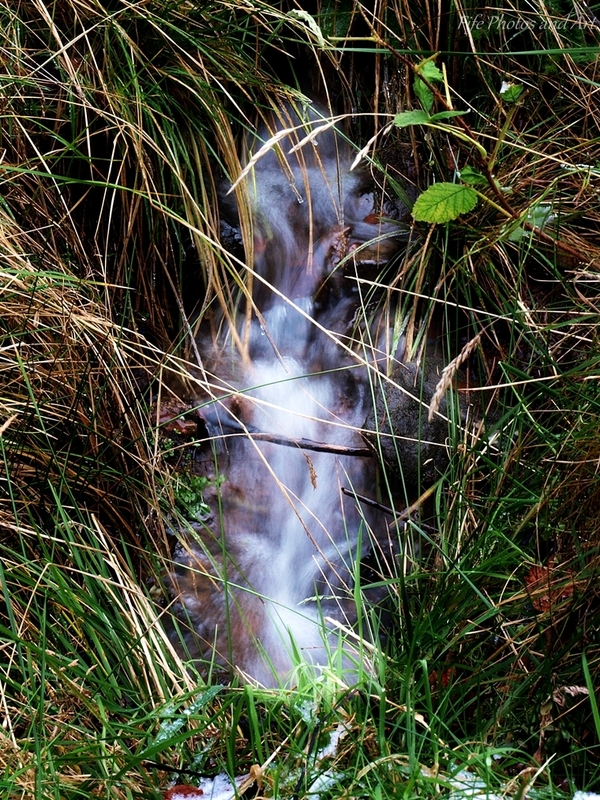 Most of these poems will have an English translation from the Scottish dialect version. Walter Wingate was born on 15th April 1865, in Dalry in Ayrshire (NE Scotland). He was a schoolmaster and a poet, he taught mathematics at St. John’s Grammar School in Hamilton, near Glasgow, for most of his adult life. Even though he never published any books of his poetry, he was a regular contributor to the Glasgow Herald and Evening News. What a worl’ to sing to! The burn gaes singin’ by. Hears nae music but his ain! To sing for ever mair? What a world to sing to! 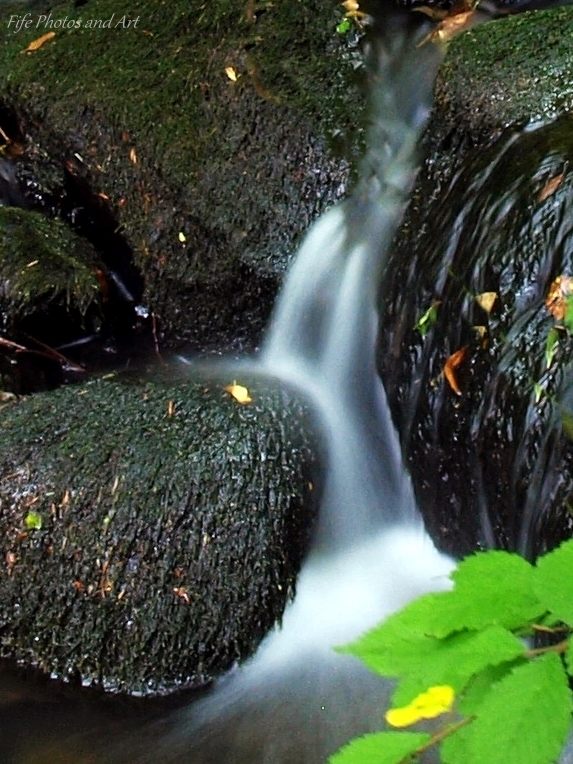 while the stream goes singing by. Hears no music but his own! 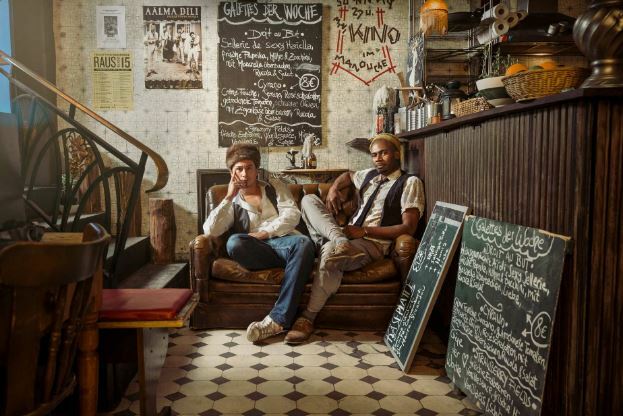 To sing for ever more? love and peace for all. 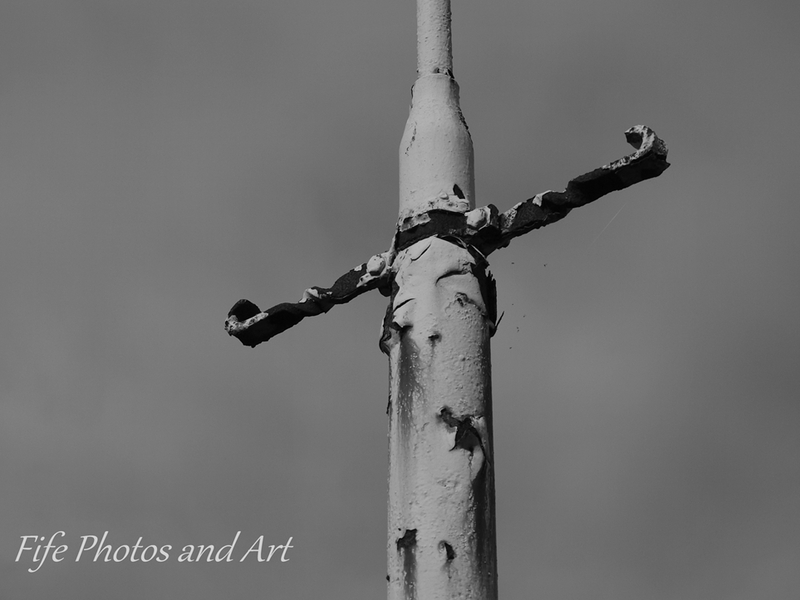 As part of this weeks Cee’s Compose Yourself Photo Challenge, I have enclosed seven photos where the focal point of the photograph is at the ‘Centrepoint‘ of the image, and thus breaking the rule of thirds. 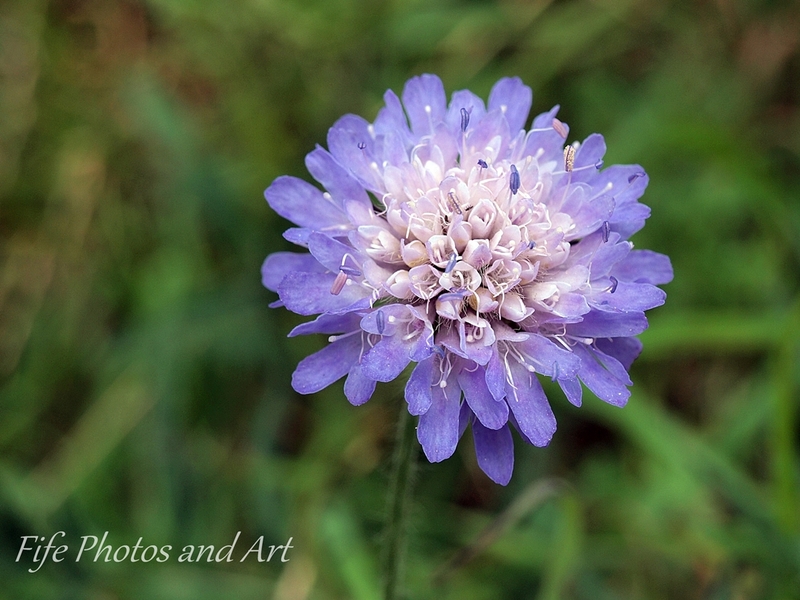 The three flower photographs, because of their circular nature, make placing them at the centre an obvious choice. 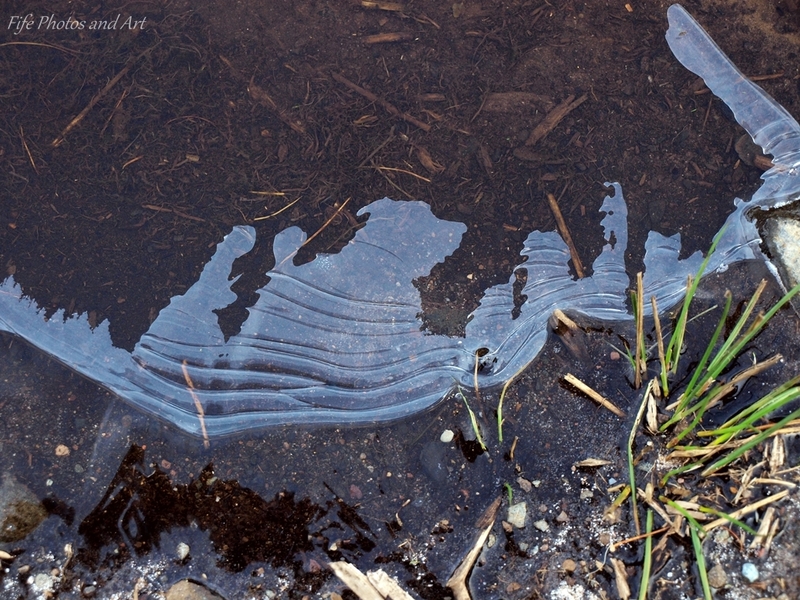 The three insect photographs work fine, because there is nothing else of interest in the photo. If the insects were flying, they generally look better slightly off centre. In the final photograph, the small baby fern growing between the wooden logs of the kids climbing frame is the focal point of the photo, and from the shape of the play frame, it’s sensible to have it at the centre. 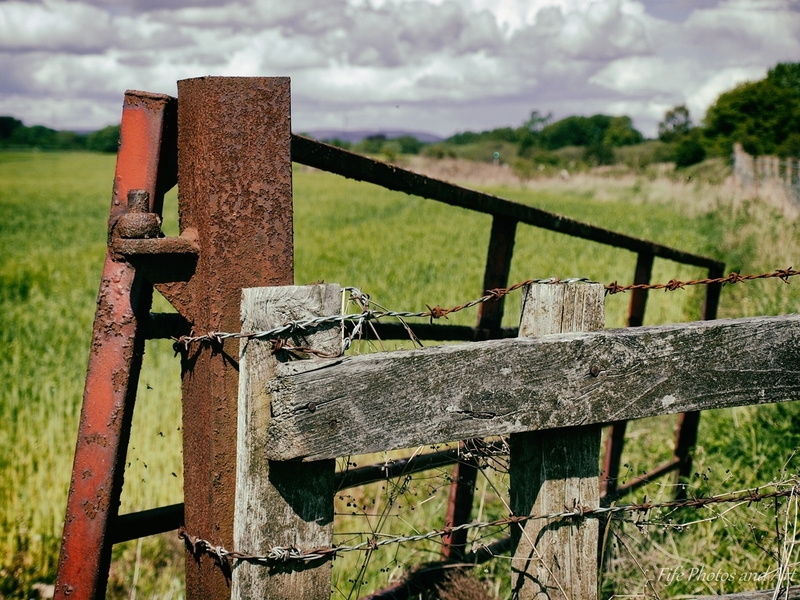 As a very late entry for Cee’s Fun Photo Challenge : Metal & Wood, I’m posting 3 photos taken from the now derelict and fire damaged Leslie House, near Glenrothes. 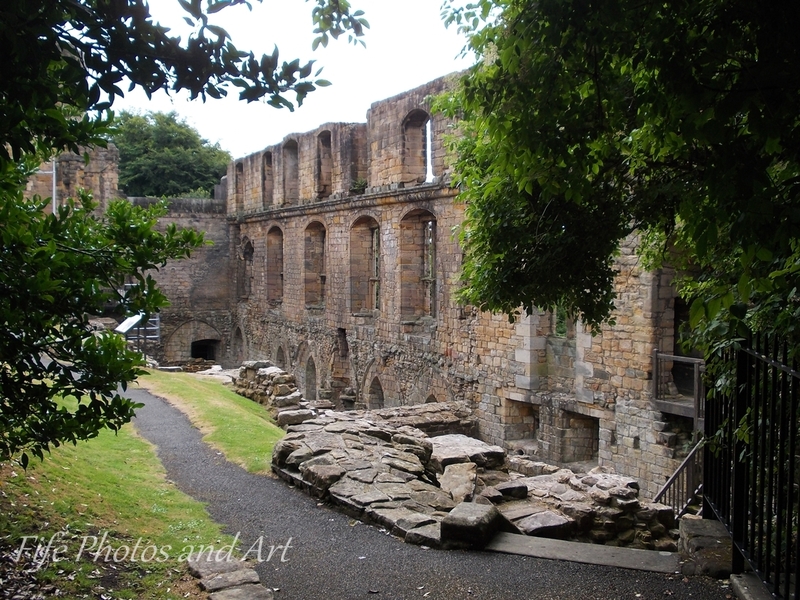 This magnificent building used to be the home of the Dukes of Rothes from 1670, and in it’s prime was said to rival Holyrood Palace in Edinburgh, for both its size and glamour. 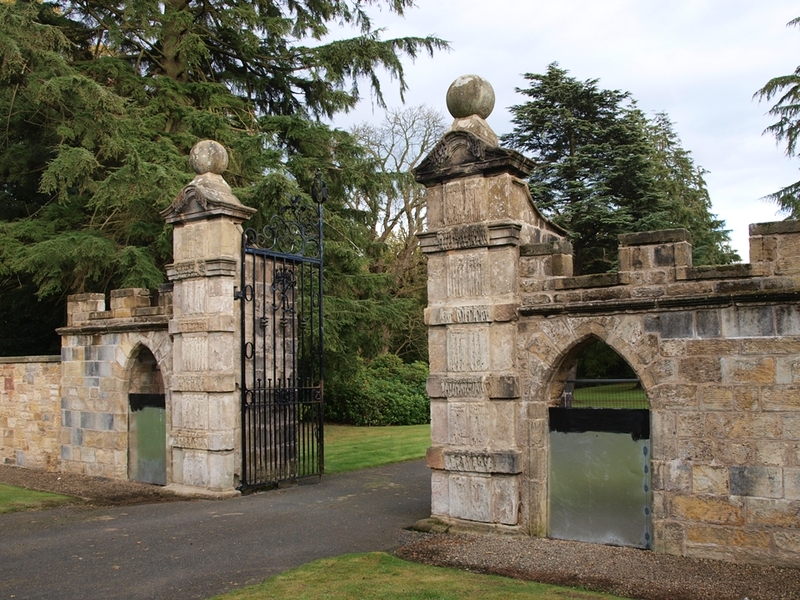 The first two photos are of the main entrance gates, which open up onto the tree lined drive to the front entrance of Leslie House (third photo). I’ve included a fourth photo, which shows the front of the house before the latest fire practically destroyed it. 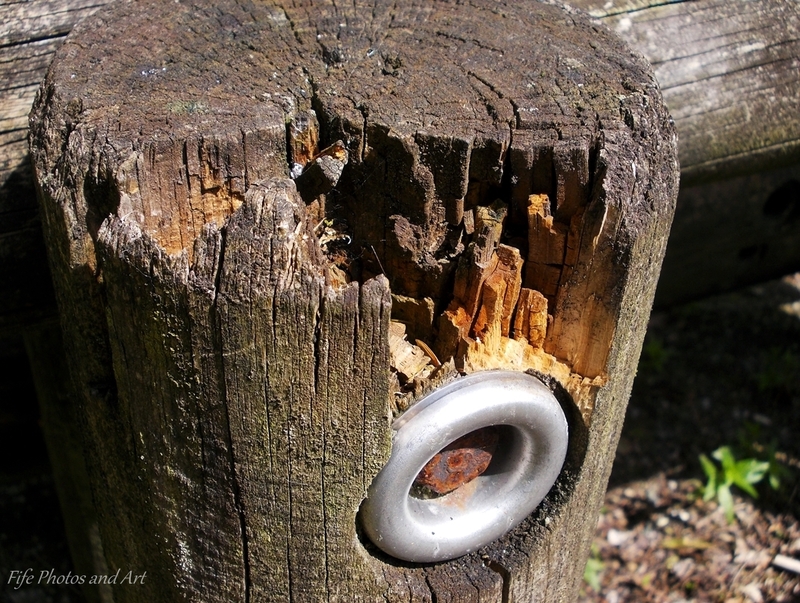 As part of “Cee’s Fun Photo Challenge : Metal & Wood“, I’m posting 3 photographs taken in Glenrothes Town Park. 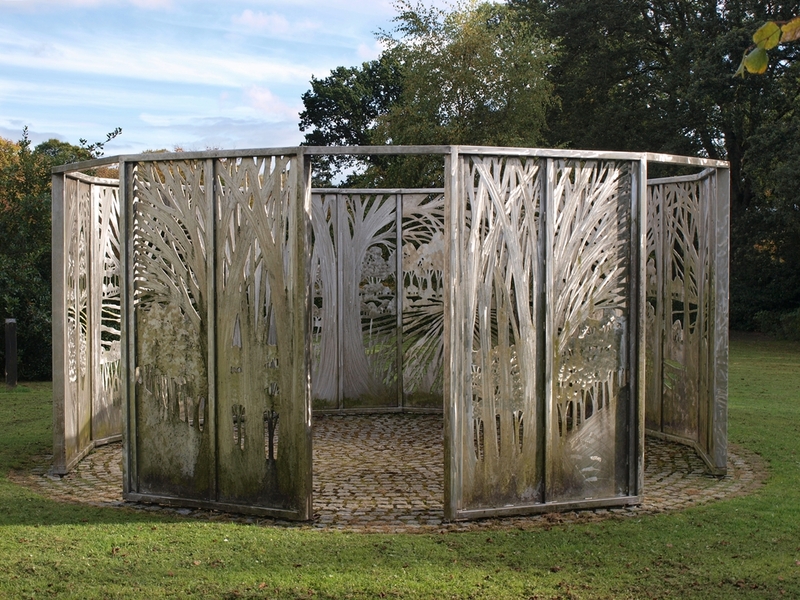 This metal sculpture, called ‘Forest Screens’ was designed by the artist Malcolm Robertson in 1987. 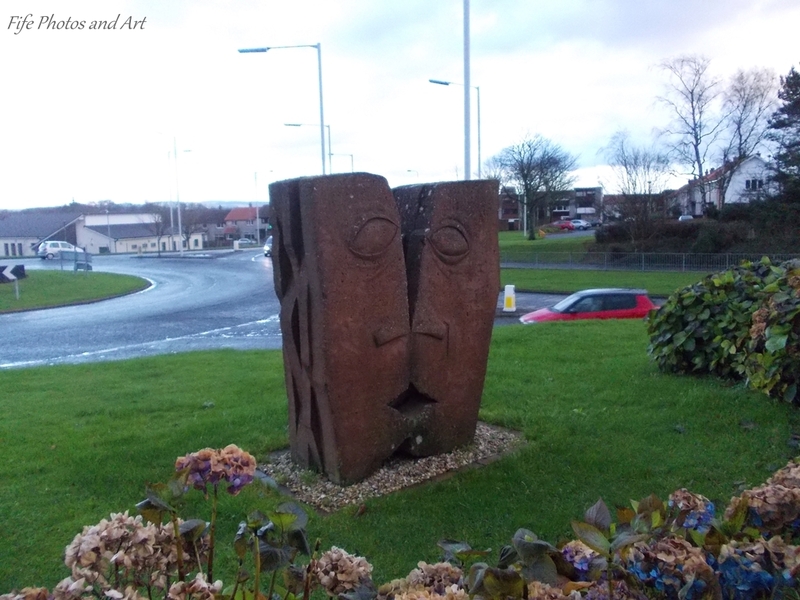 It was originally placed in the Glenwood Shopping Area, in a part of Glenrothes known as Macedonia, but was later moved to its present position in the Town Park. 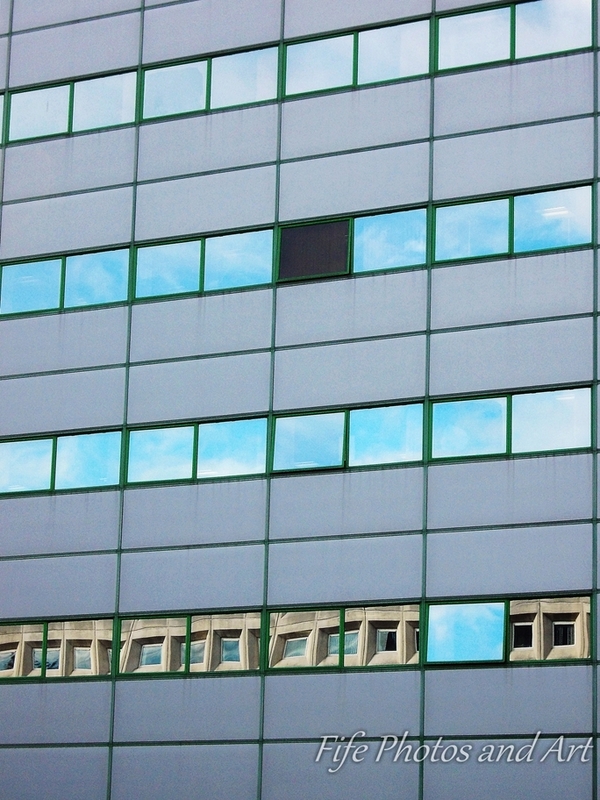 As part of this weeks wordpress photographic challenge, Eye Spy, I’m posting three photos taken in Glenrothes. 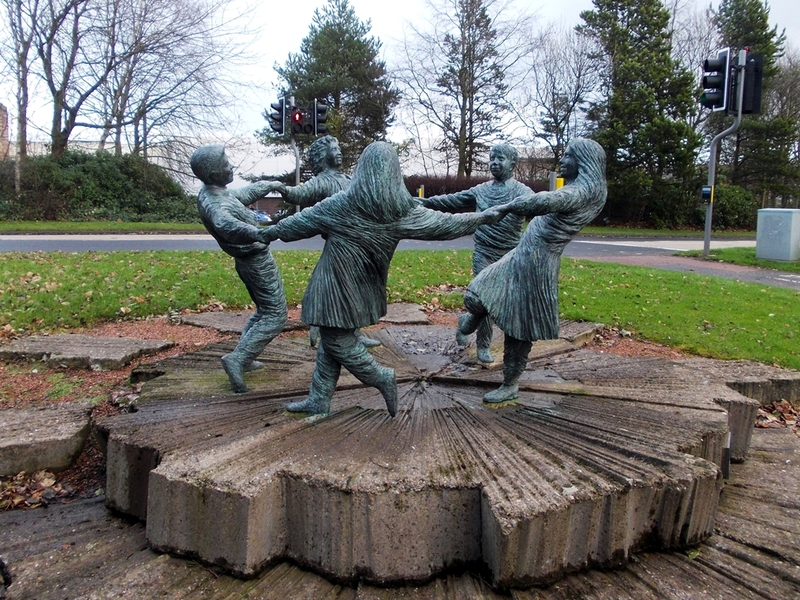 The first photo comes from Glenrothes Town Park, and shows ‘The Good Samaritan’, a sculpture by Ronald Rae, unveiled in 1988 to mark the 40th anniversary of the town. 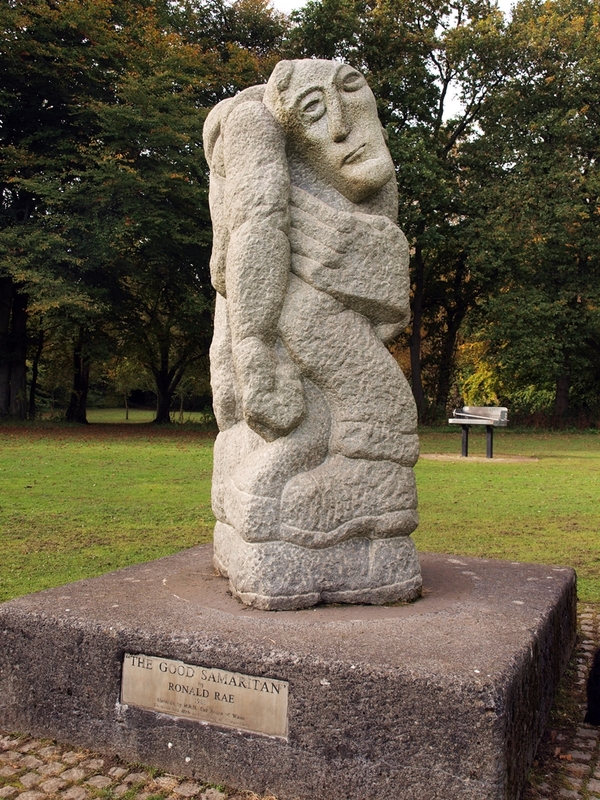 The sculpture depicts a fireman carrying a victim to safety, after the King’s Cross Tube Fire disaster, and symbolises the community spirit of Glenrothes. 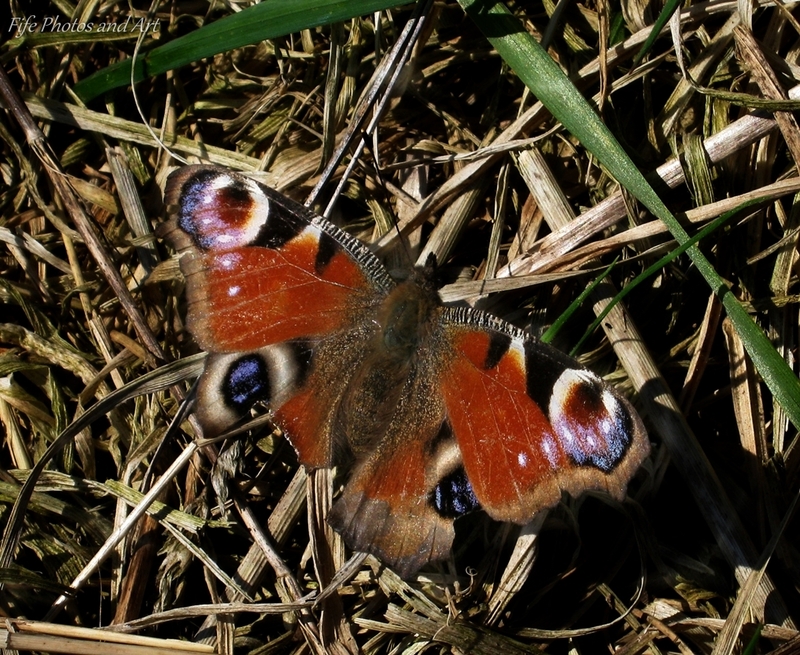 The Peacock Butterfly (so called because of it’s markings, like those on a peacock’s feathers), uses it’s ‘Eye’ Spots to great affect for deterring predators such as birds and mice. When viewed head on, the rear ‘Eye’ spots create a head, with the body appearing as a large beak! The peacock butterfly is also capable of producing a hissing sound, audible to humans, which it makes by rubbing it’s wings together. This combined with the ‘Eye’ spots tends to deter most of it’s predators! As part of this weeks ‘Eye Spy‘ Weekly Photo Challenge, here are three photos of the very common and popular foxglove plant. 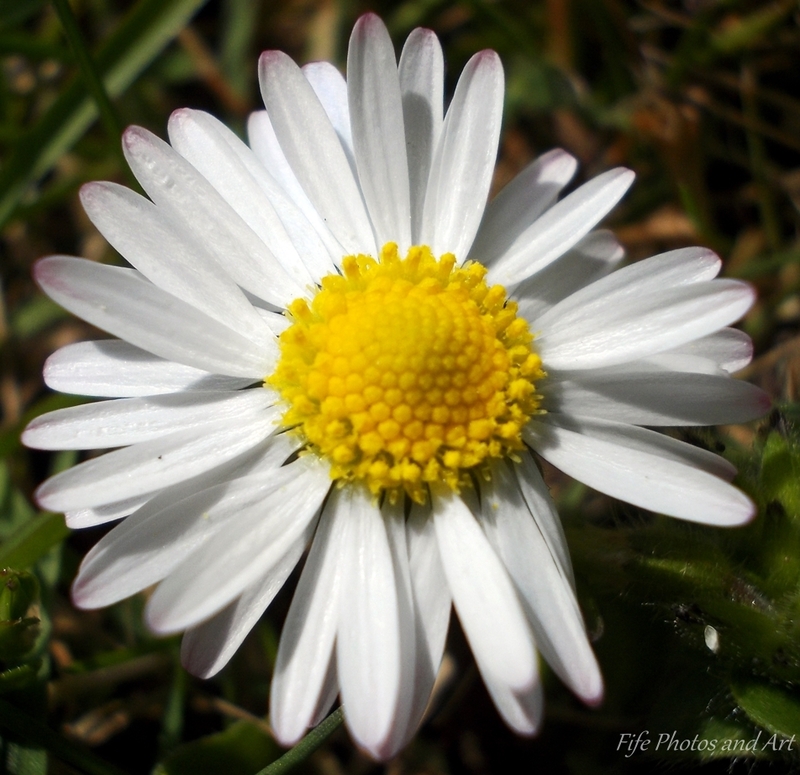 What many people miss though, is the beauty of the individual flowers and their ‘eye’ spots. 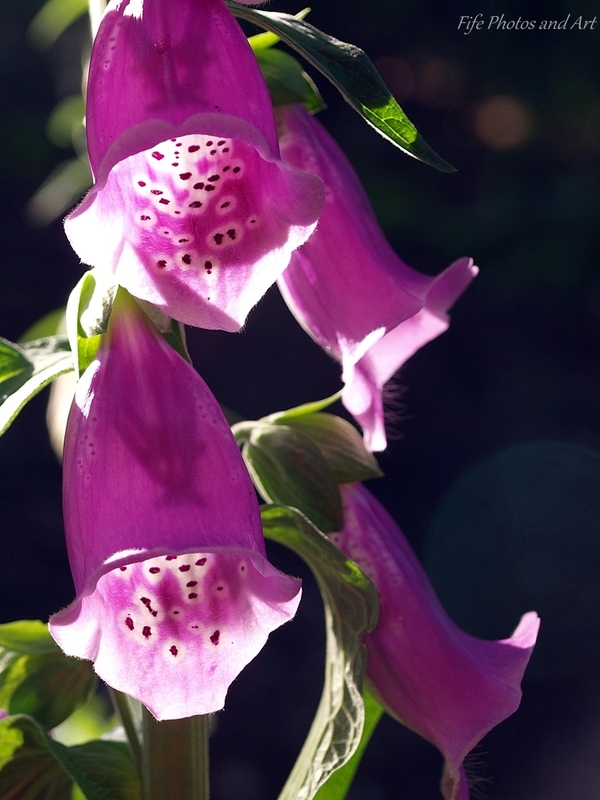 Just as an extra wee note, did you know that foxgloves will only grow on acid soils – this can be useful geologically, in areas such as the chalk downland of southern England, it’s possible to locate localised clay bands by the presence of foxgloves (they won’t grow on the alkali soil of the chalk). 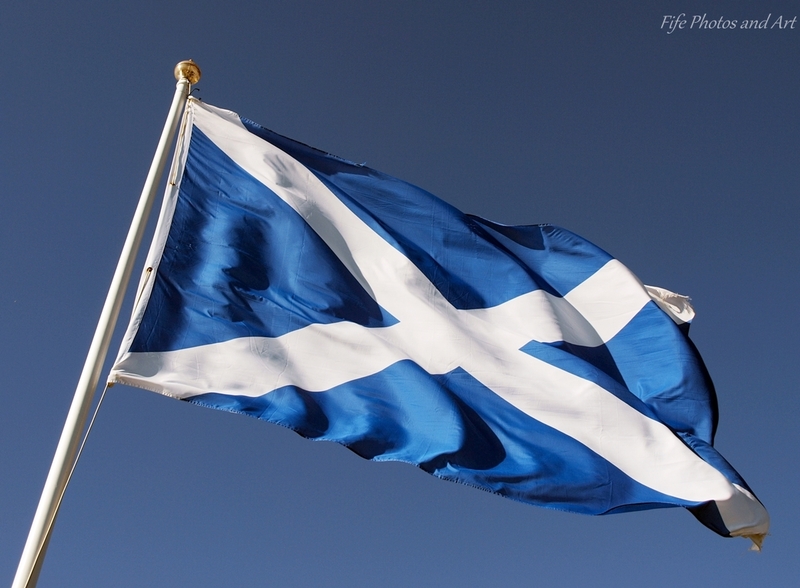 Yesterday was St Andrew’s Day, St Andrew is being the patron saint of Scotland. It is celebrated on the 30th November each year and has been made a Bank Holiday by the Scottish Government, since 2006. Unfortunately banks, businesses and schools have not been forced to shut for the day – which means that many people don’t get to celebrate the day because they are at work. St Andrew’s Flag flying proud! 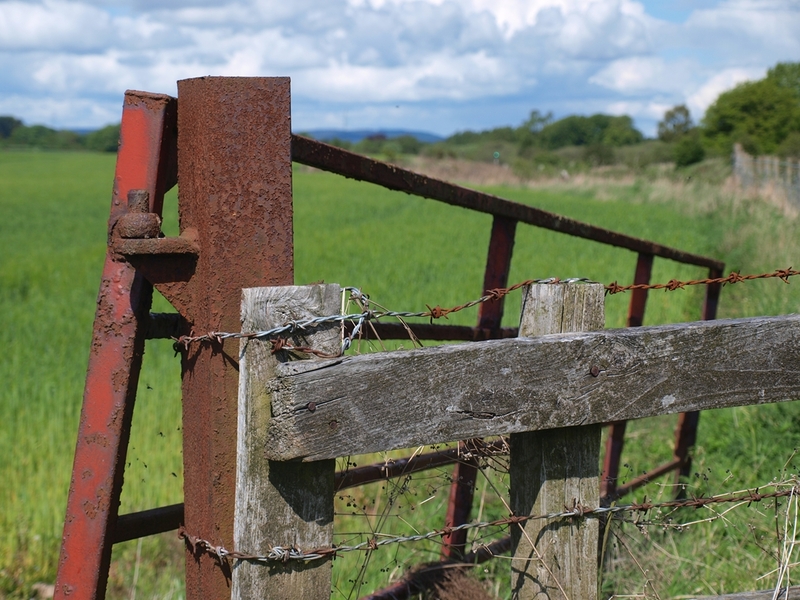 My final post for the theme ‘Trios’ (as part of the Weekly Photographic Challenge – Trio), consists of a series of photographs of inanimate objects from in, and around, Fife. 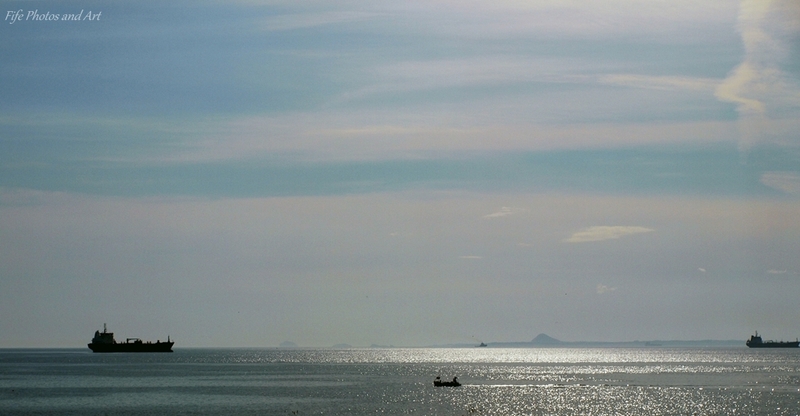 The first photo is of three boats on the Firth of Forth. 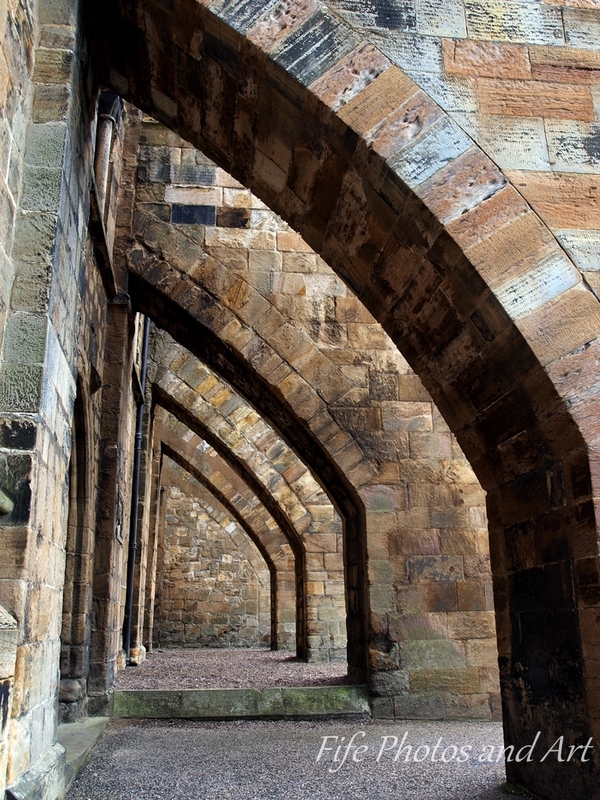 In response to “Cee’s Compose Yourself Photo Challenge – Diagonal Lines“, I’ve enclosed seven photos taken from in, and around Fife. 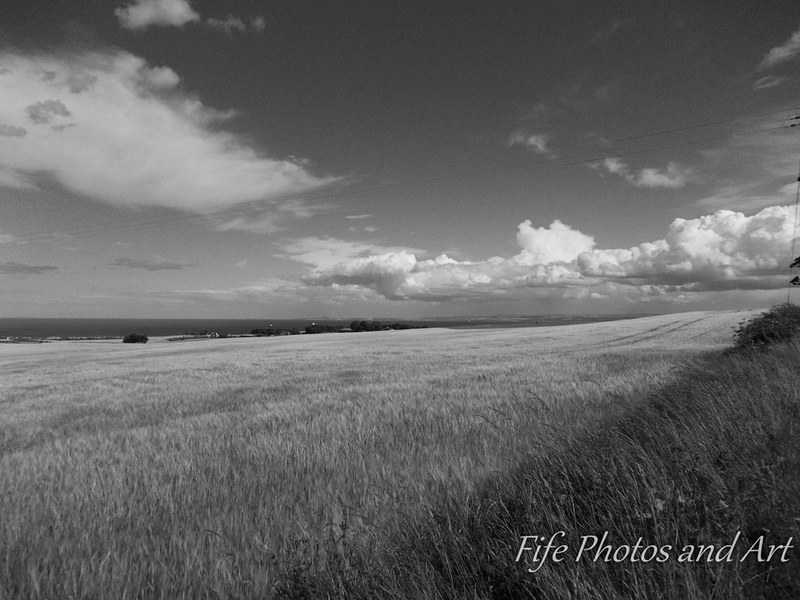 I’ve also posted three extra photos, for Thanksgiving, showing things I am grateful for, about living in Fife. 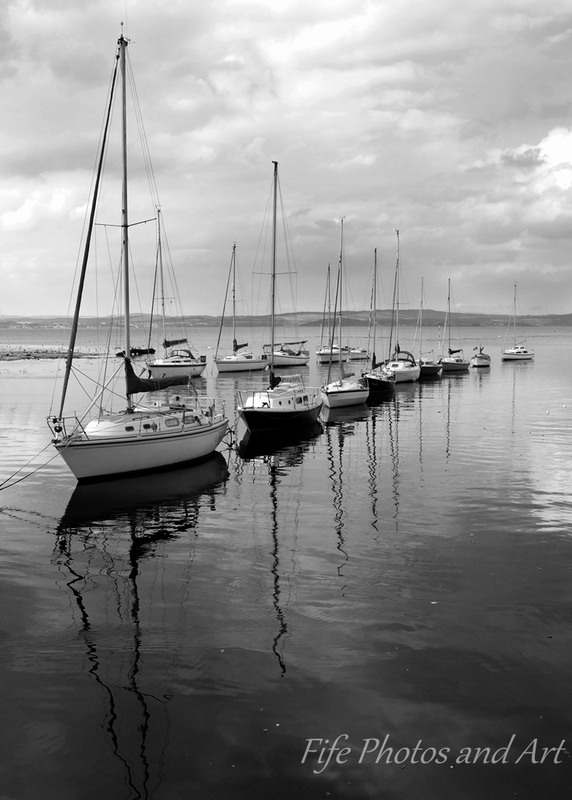 The first of the photos for Cee’s Challenge is of Cramond Harbour, on the outskirts of Edinburgh. 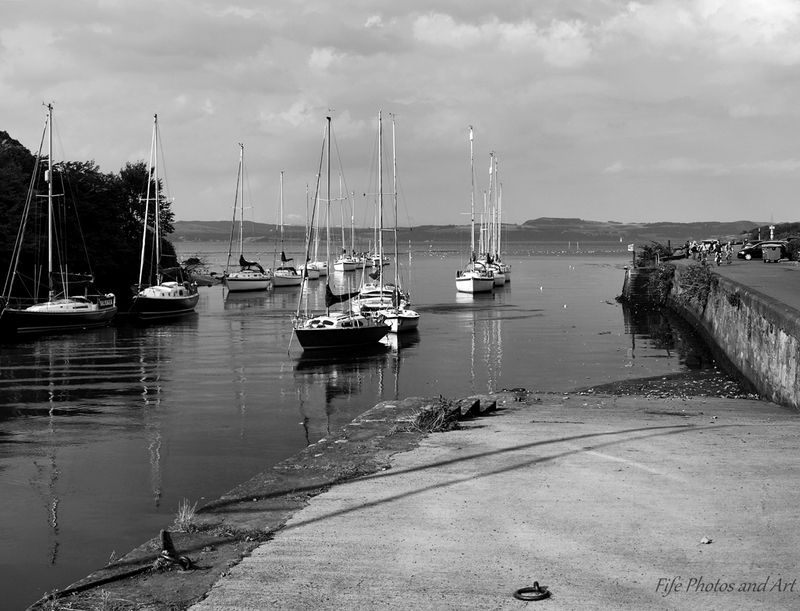 The second photo is from the village looking down towards Cramond Harbour. 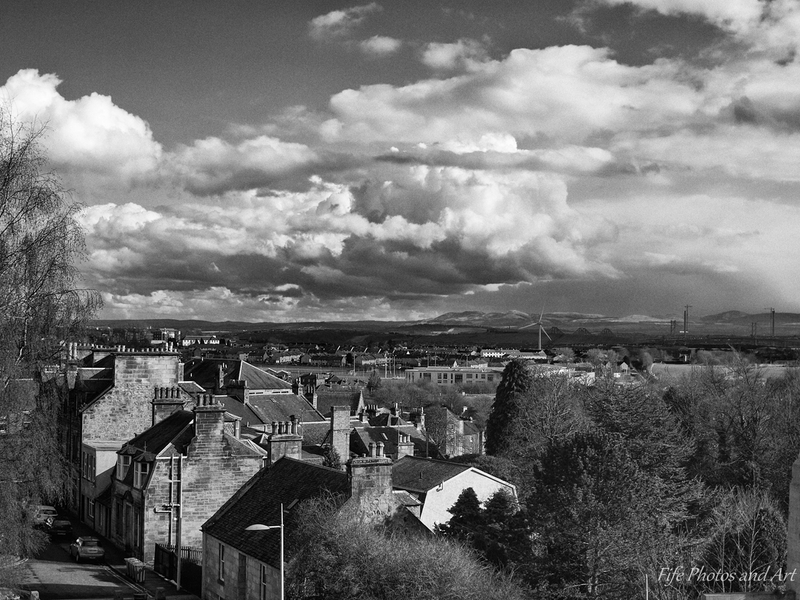 The next two photos were taken in Fife’s capital, Dunfermline. 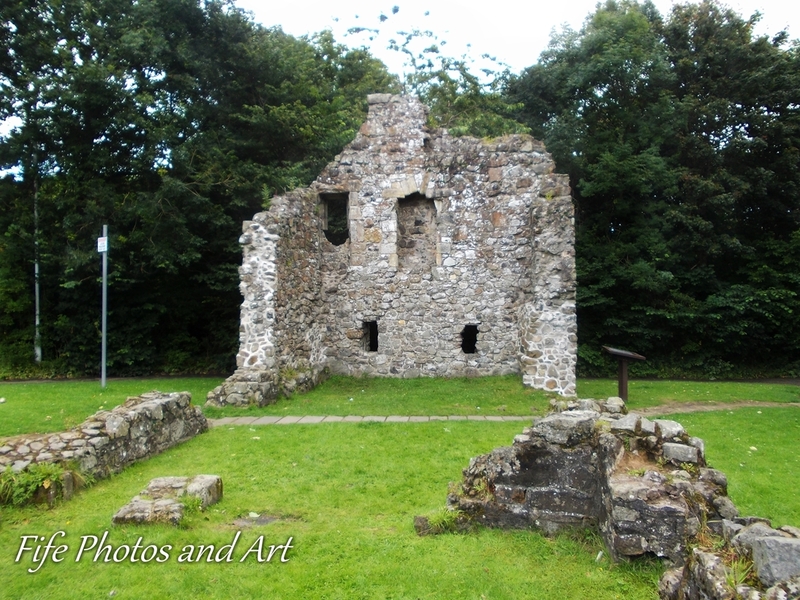 The next two images show two churches in villages on the outskirts of Glenrothes, and the final photograph comes from the very picturesque village of Culross. As part of this weeks Cee’s Fun Photo Challenge : Orange & Green, I’ve posted eight more photos taken from Balbirnie Park, near Glenrothes. 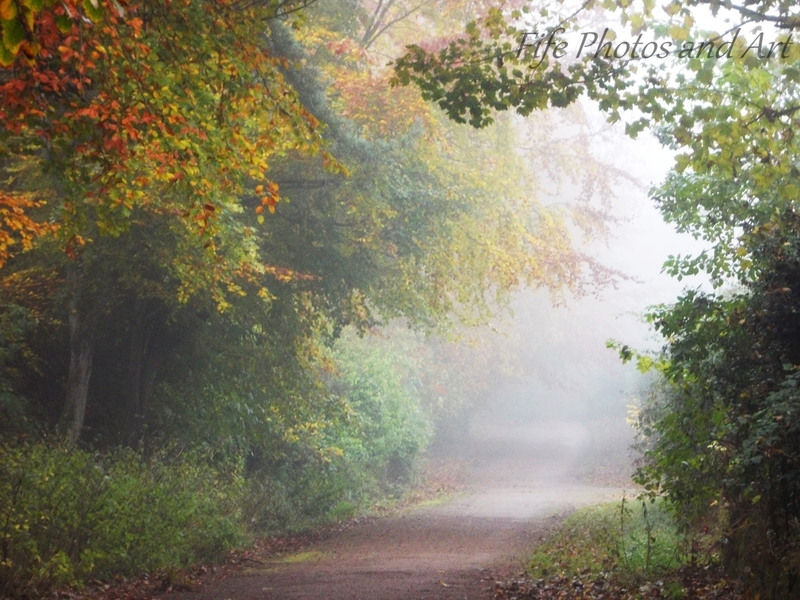 The photographs were all taken just after dawn, at the beginning of this month, on a day which started quite misty (well foggy very first thing – see last photo), but gradually turned sunny. 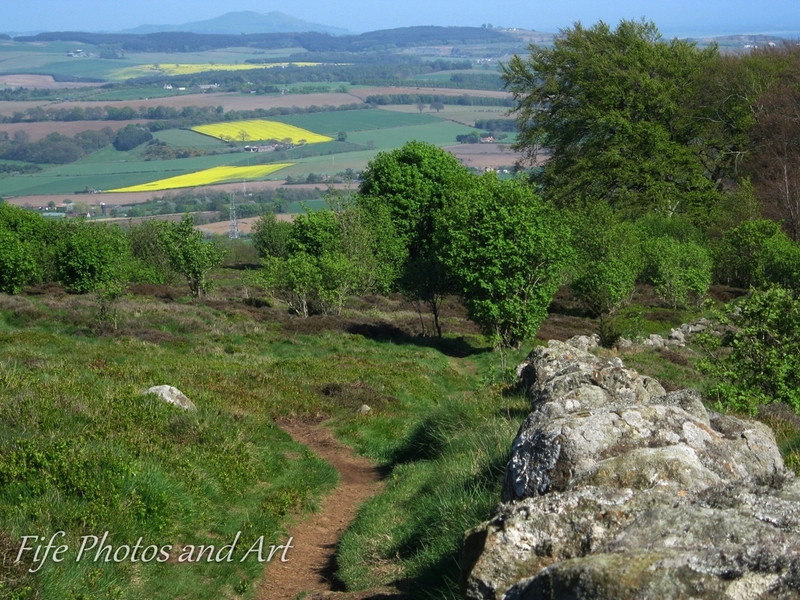 In response to “Cee’s Compose Yourself Photo Challenge – Horizontal Line and Horizons“, I’ve enclosed six photos taken over the last few months in and around Fife. 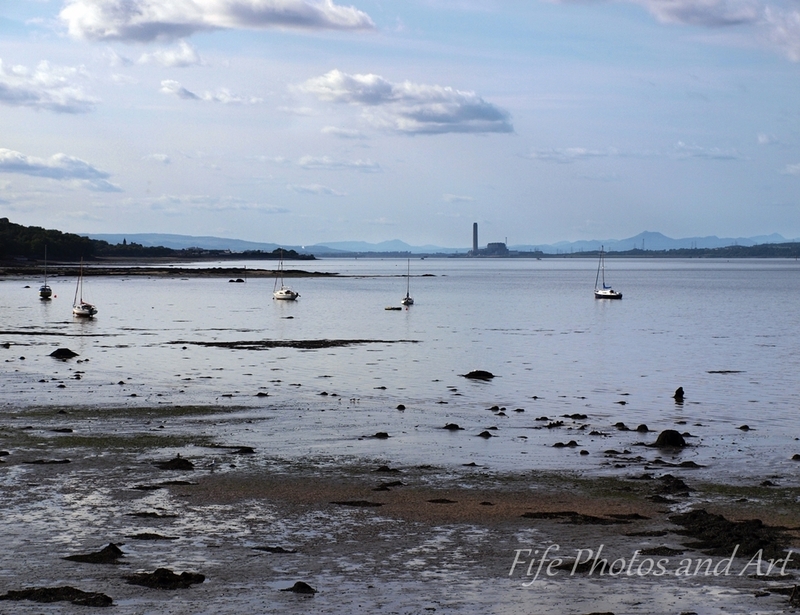 The first photo is of an incoming tide on the Firth of Forth, at Blackness Castle in West Lothian. Firth of Forth at Blackness Castle. Bracket fungus on tree trunk, Balbirnie Park. 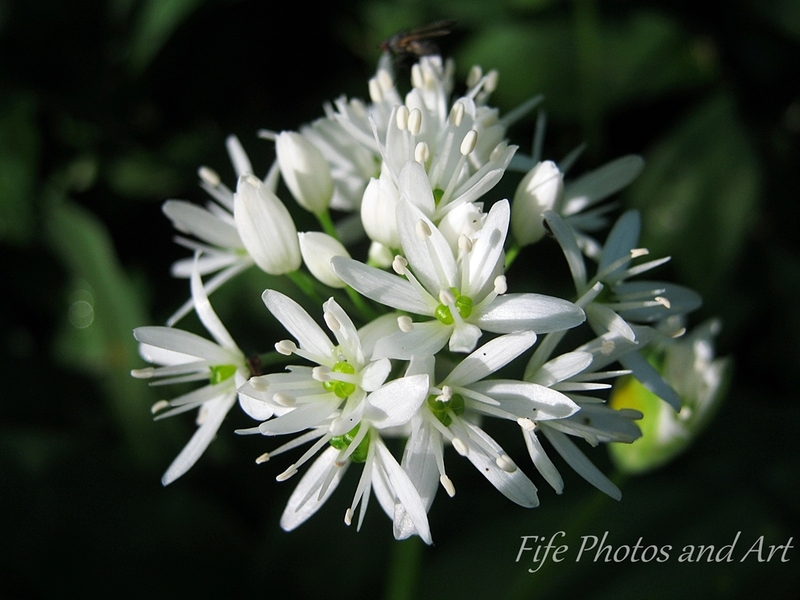 Continuing my Balbirnie Park theme, whilst continuing to get all my previous posts located on the above menus, I took this photo of the flower head of a Ramsons, in late April this year. Ramsons are part of the major group of flowers called the monocotyledons. 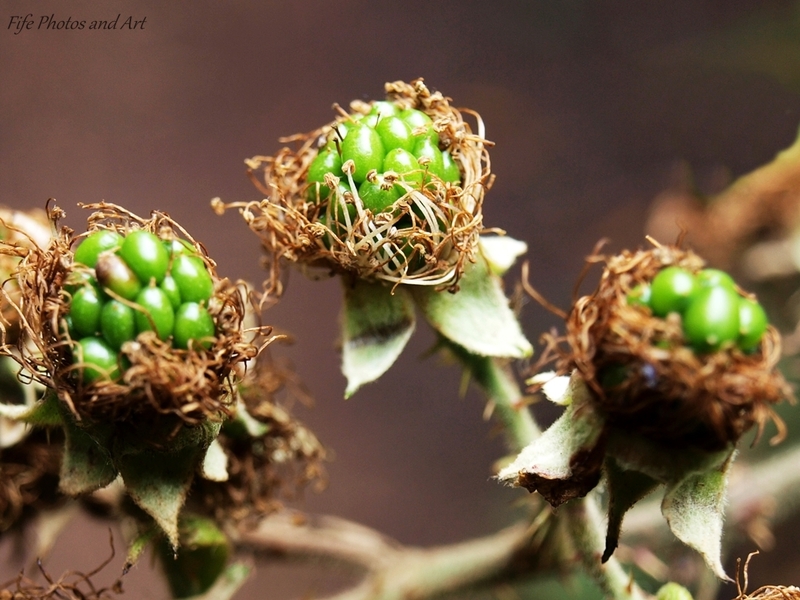 ‘Monocots’ are principally distinguished from the other major group of flowering plants, the dicotyledons, because the seeds only have one embryonic leaf, or cotyledon. In the field however, as a general rule of thumb, plants with leaves that have parallel veins are ‘monocots’, those with spreading and branched veins on their leaves are ‘dicots’. Ramsons is part of the onion family, and is also edible – the leaves are used around the rind of Cornish Yarg (a type of cheese). However, care must be taken to identify the plant correctly, the similar plant ‘Lily of the Valley’ has poisonous leaves. 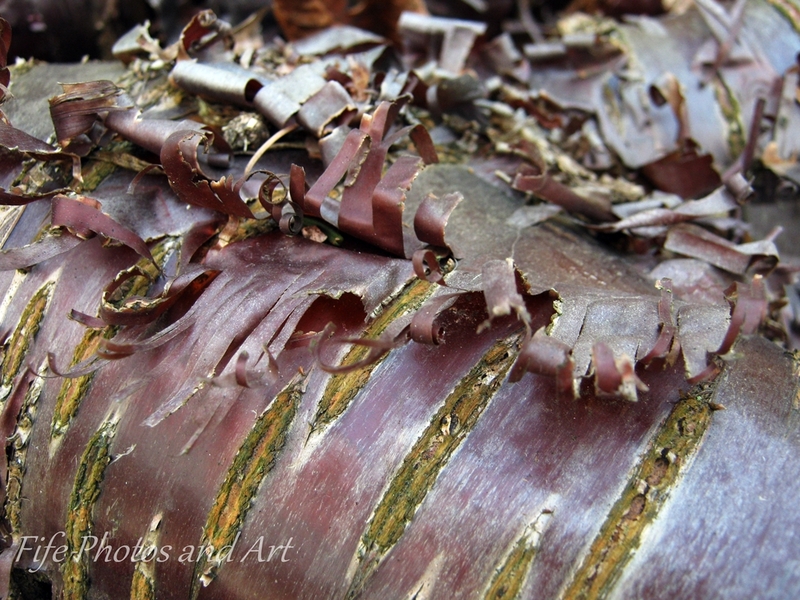 Monocots also include flowers such as orchids, iris’s and daffodils, to name but a few. 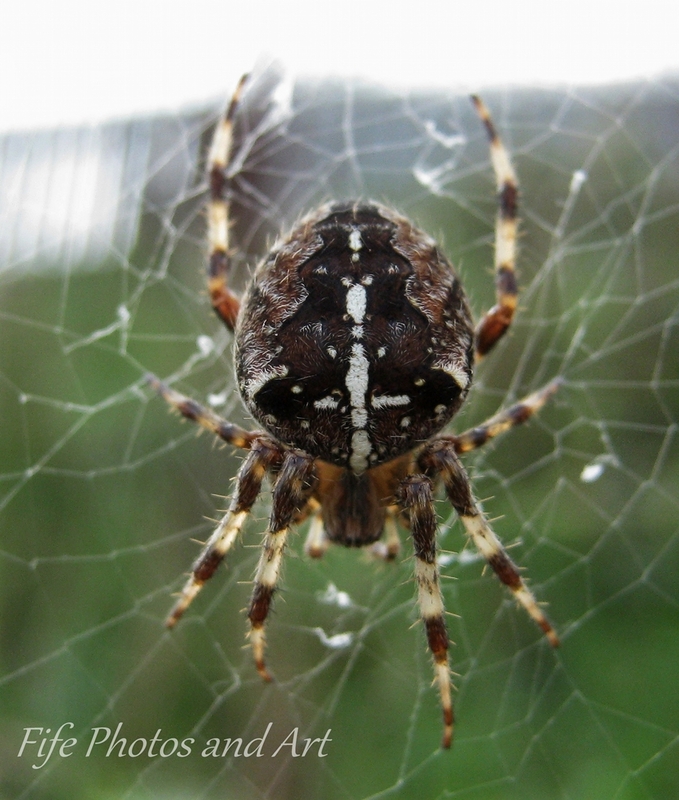 This very plump Garden Spider (Araneus diadematus) is a member of the orb weaving group of spiders. It is very easily distinguished by the ‘cross’ markings on its back. My apologies to anyone who tries to use the new menu structure at the top of the page. This is a work in progress (should take a couple of days or so), to try to organise my blog posts, to make it easier to locate previous posts on subject matter. I will then be adding information to each of the pages relevant to each section (at present, I’m just adding the appropriate post links). Once again, I apologise for any inconvenience this may cause. 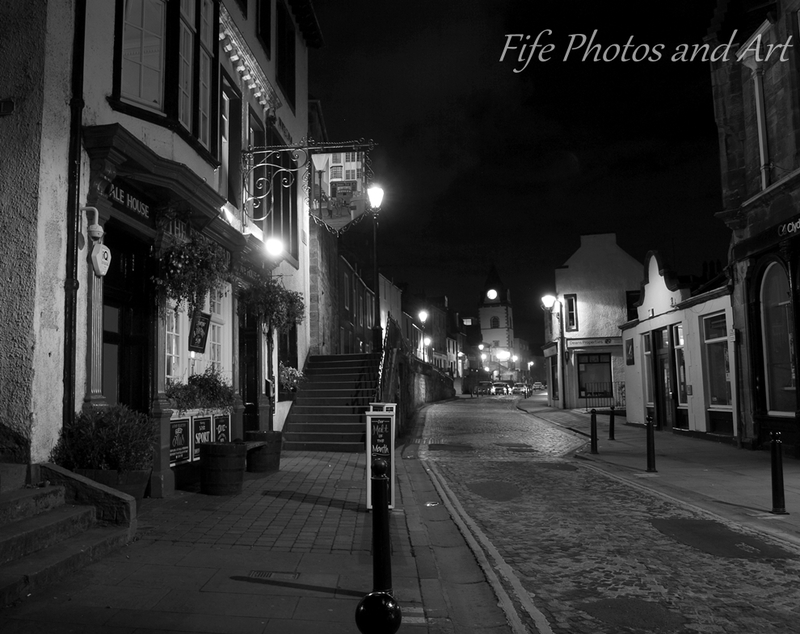 South Queensferry High Street looking westwards. 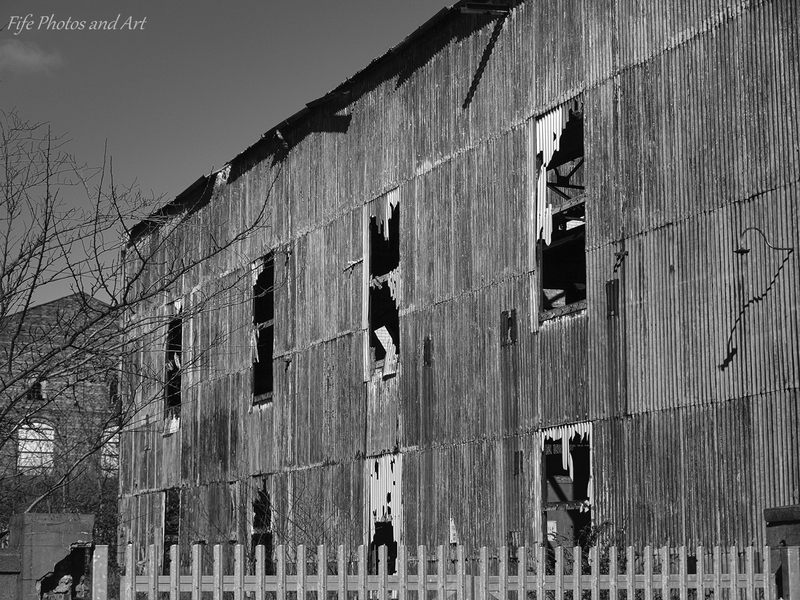 In response to the Weekly Photographic Challenge this week, the biggest ‘Treat‘ I can have, is to be outdoors, armed with my camera, on a pleasant and warm sunny day. 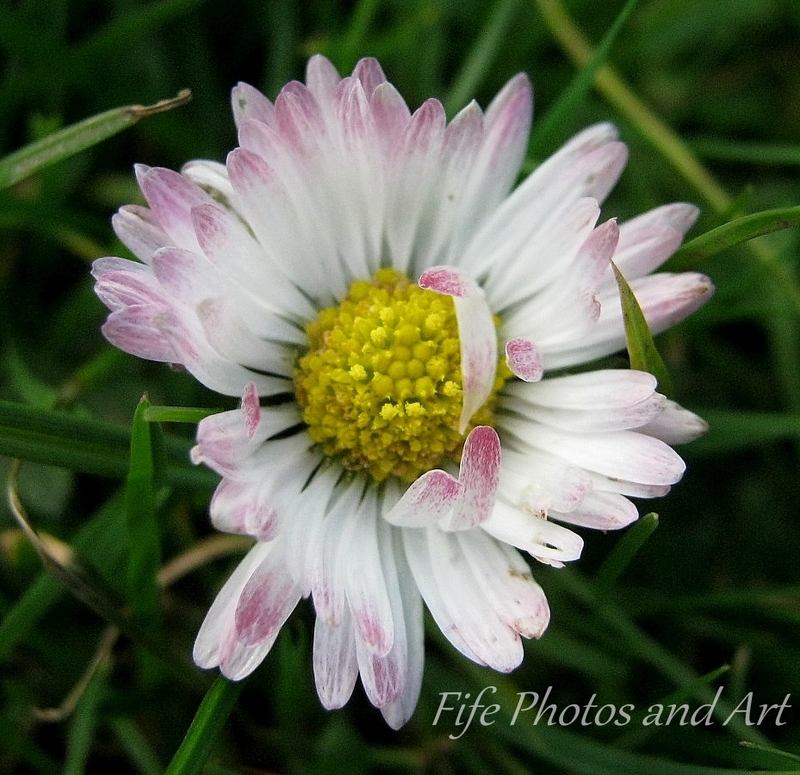 Here are four photographs I took at the very beginning of October, whilst out on a walk from Kirkcaldy to West Wemyss. 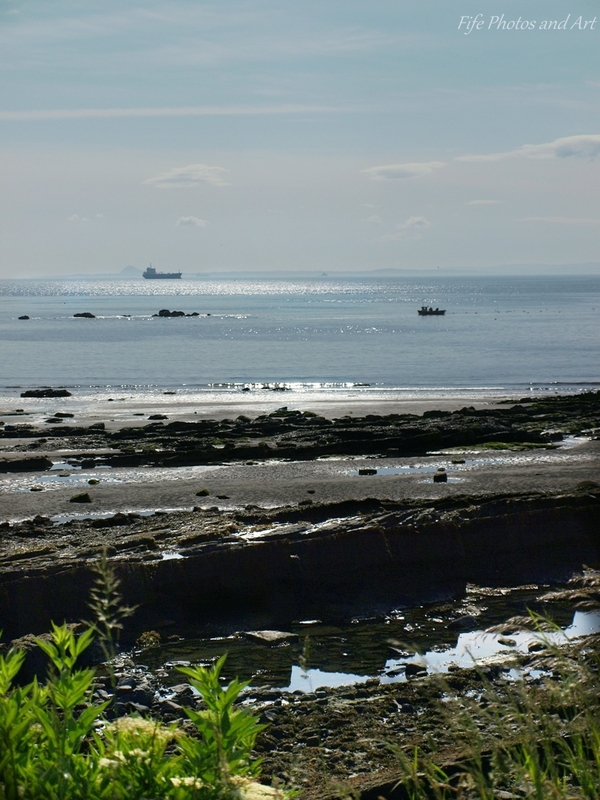 The first photo was taken down at the back of the beach at Dysart, just to the west of Kirkcaldy. 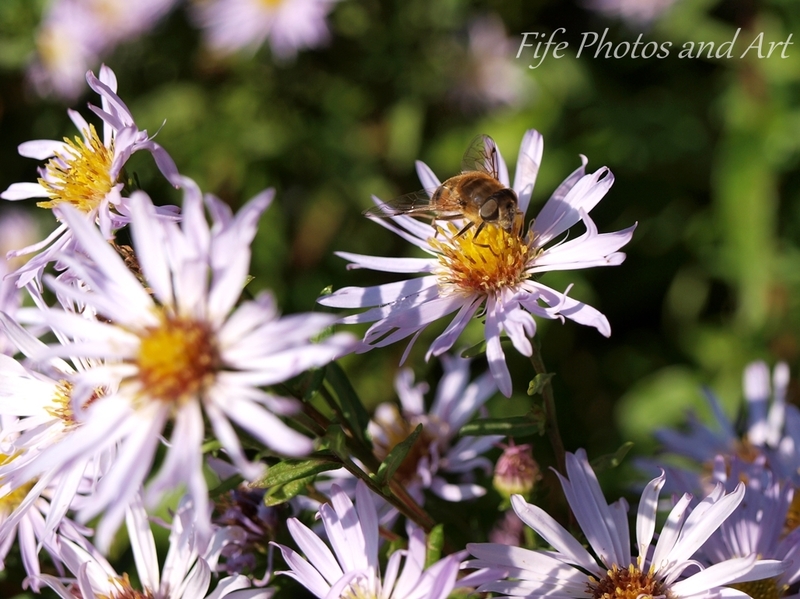 It is a photo of a hoverfly enjoying the late summer sunshine, on some Sea Aster (Aster Tripolium). Over the next few weeks, I am considering writing some pages, rather than posts, about the geology of Scotland, and in particular Fife. This set me to thinking, at which point do I start. Do I put in a few pages teaching the very basics of geology, then describe the fundamental rock units that are found in Scotland? Or should I outline the basic stratigraphy of Scotland, ie how Scotland came to be where it is now and how each of the major rock units formed? If I take the second approach (I’ll actually probably use a combination of the two), how far do I go back in geological time? Should I include the formation of the earth, the solar system, our galaxy or the universe and ‘Big Bang’?? 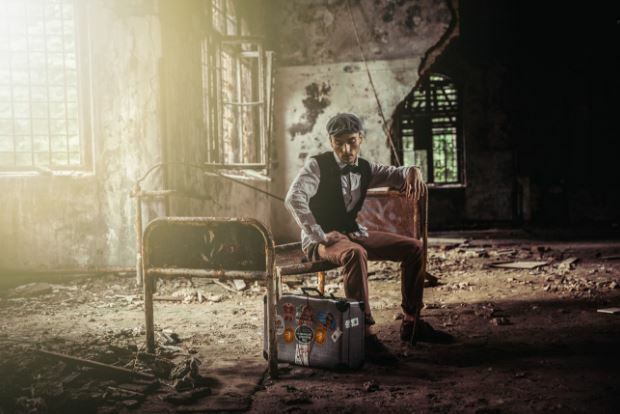 A. I knew that energy can’t be destroyed, it can only be transferred from one form to another, and I know that the burning of those fuels creates heat (another energy form), but I wanted to know what happens to that energy as everything cools back down. 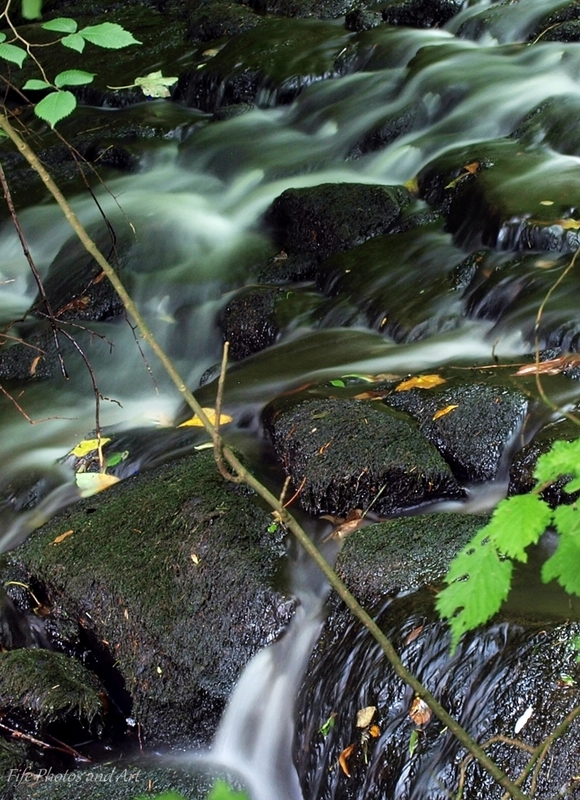 But alas, I ended up at Holl Reservoir in the Lomond Hills, a great place for a walk, but with very few trees for those wonderful foliage photos! 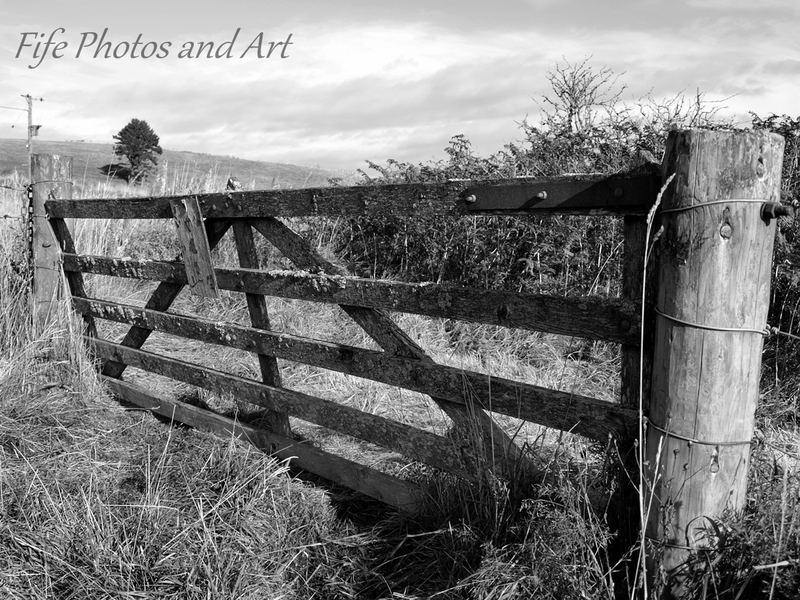 So instead, here are a few old stone walls and gates, and various views of West Lomond Hill. After a ten hour round trip yesterday to Culzean Castle in Ayrshire, which ended up being a complete washout with regards to any photography (my own fault, we took the scenic route down there, and arrived 10 mins after they let the last people in 😦 , next time I’ll go via the motorway! 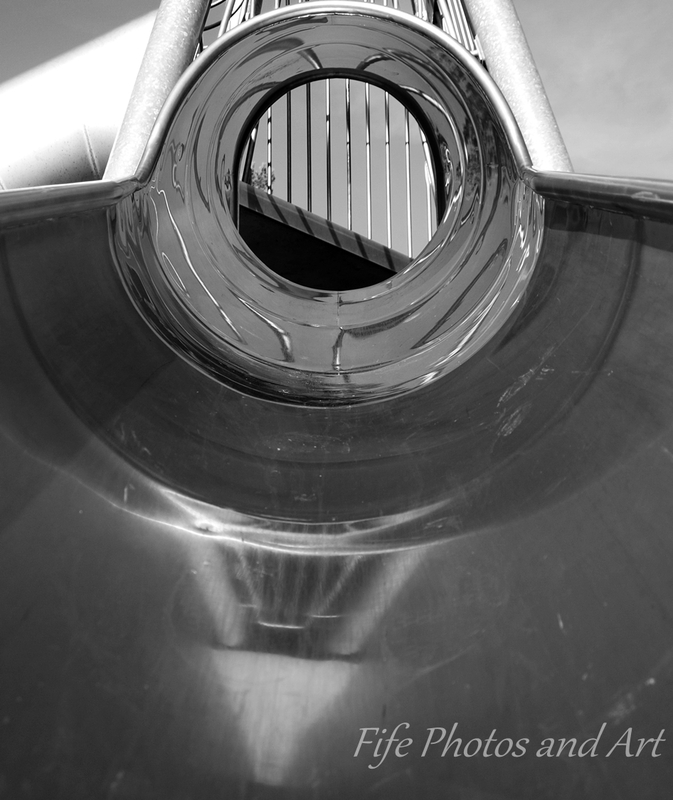 ), I’ve decided to post a few more photos for this weeks Daily Post’s, Weekly Photographic Challenge. 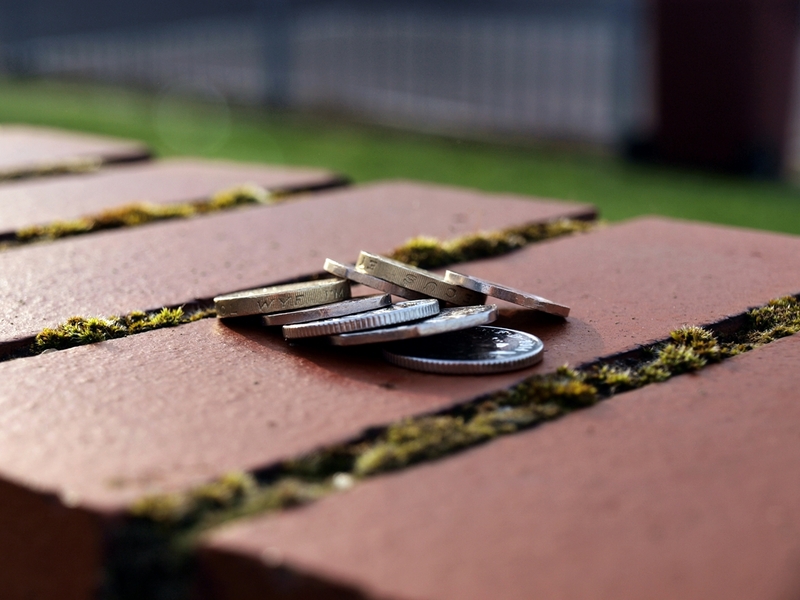 This week the theme is basically ordinary items that for most of the time we just take them for granted, but some times they can be seen as (extra)ordinary. 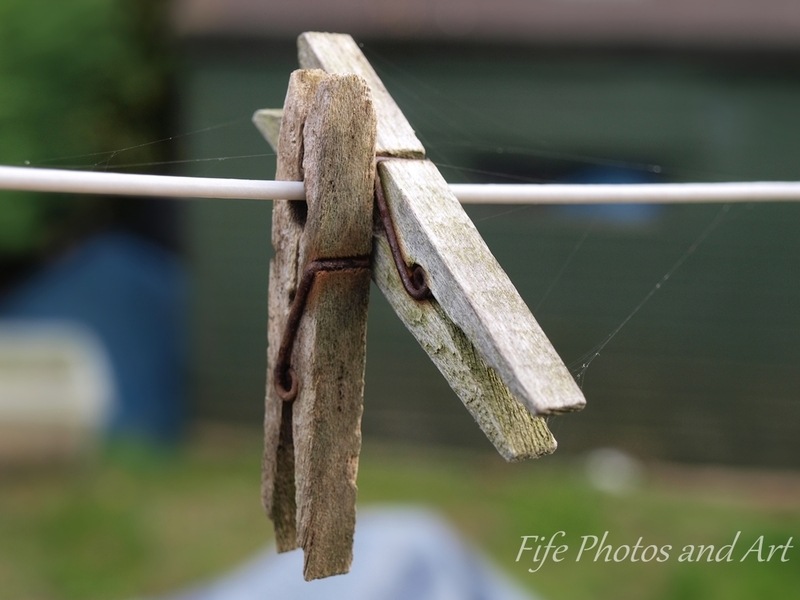 The first three photos are of some wooden clothes pegs on a washing line, I love the texture of the wood and the way the spring mechanism is rusting from all the Scottish rain. My previous ‘Happy Place’ posts have been actual locations of places that make me happy. 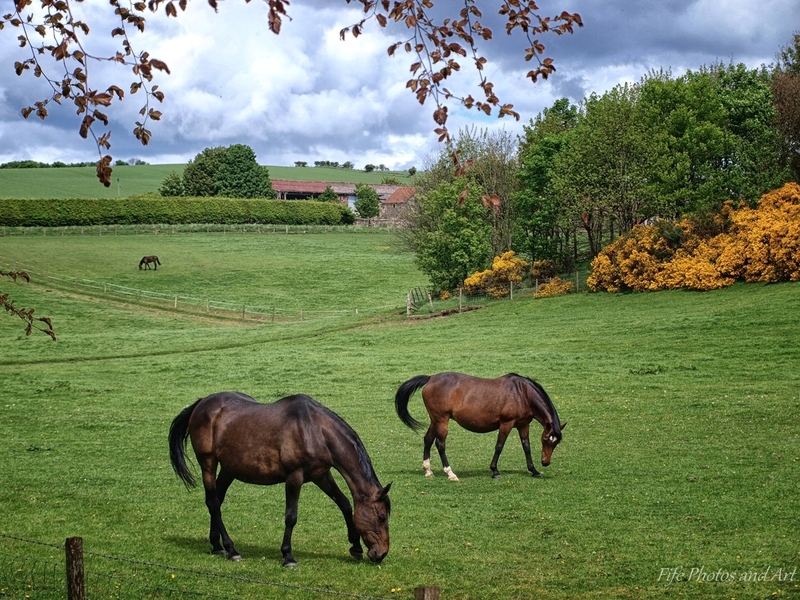 One of the places I really enjoy walking is a smallish circular walk from the Balbirnie Park, nr Glenrothes, through to Markinch, up to Star and Kirkforthar, and back to the back entrance of Balbirnie Park. This would definitely be classed as a ‘Happy Place‘ for me. A few weeks ago, I had decided to do this walk. 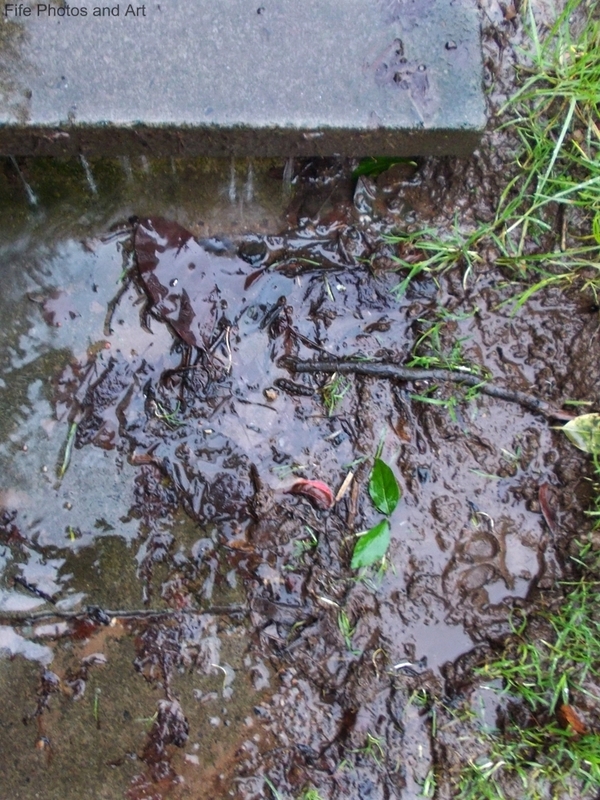 Heavy showers were forecast, but when I left there wasn’t a cloud in the sky. 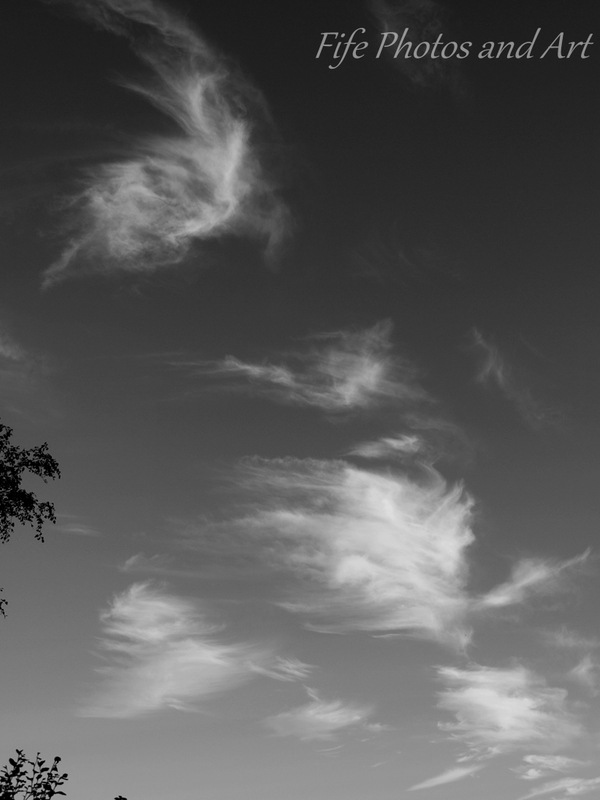 I’d taken my DSLR with me, thinking the showers wouldn’t appear until at least late afternoon. 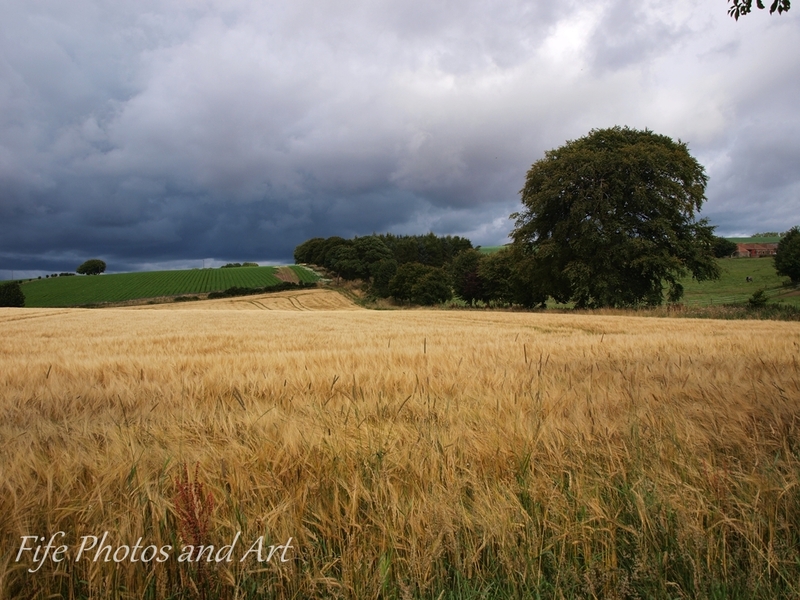 When I got to the back of Kirkforthar, the furthest point away from the car, a huge dark storm cloud loomed over the hill. 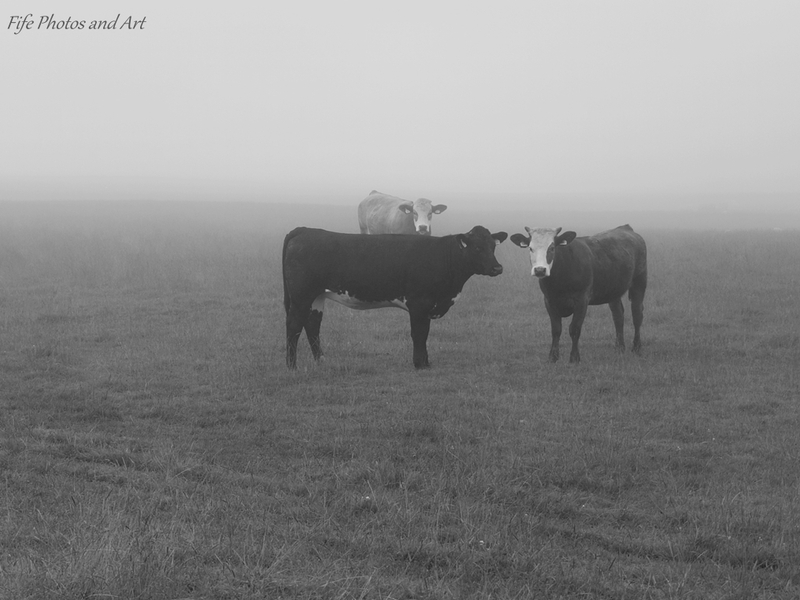 Most times, I love the being out in the rain, especially during a storm, but NOT whilst I had my camera with me, and no bag to put it in!! 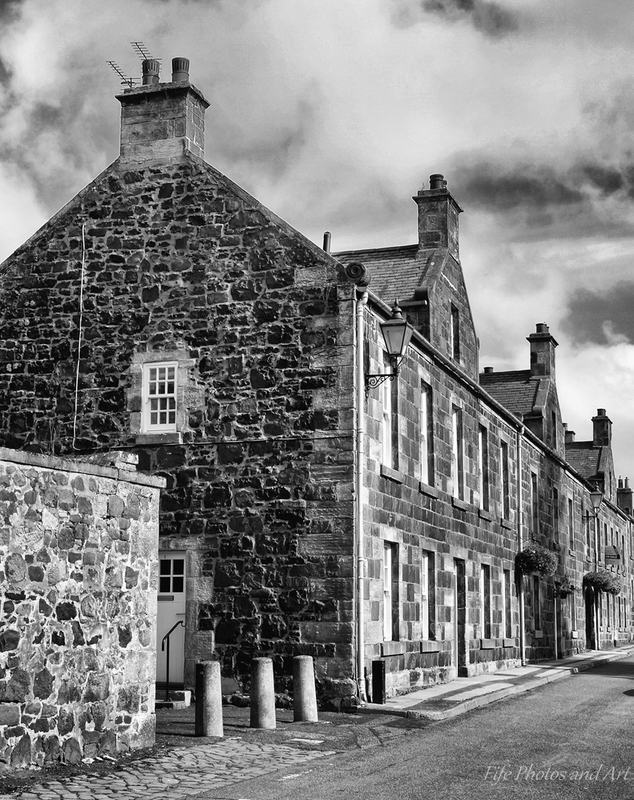 This is a photo of one the cobbled streets in Culross, Fife. 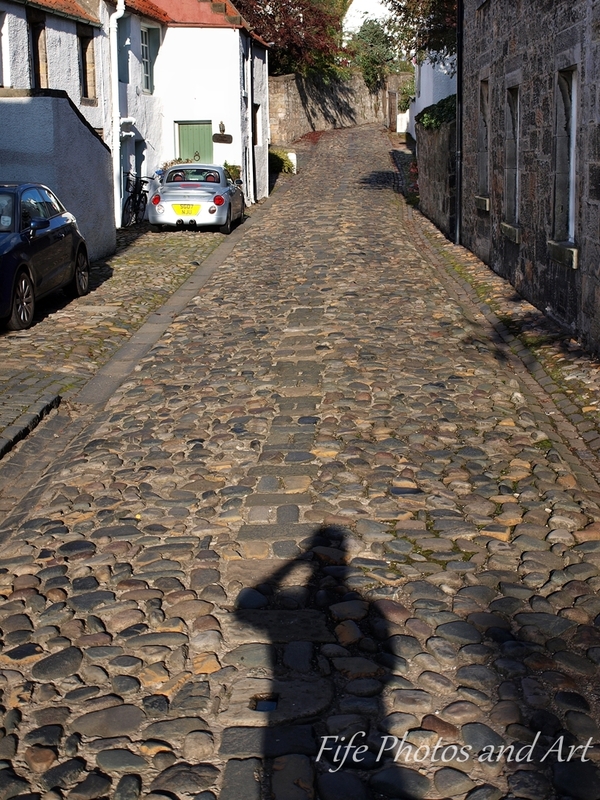 It’s not a selfie, well I guess it is, but thats not the point of interest, the cobbled lane is of far more importance! 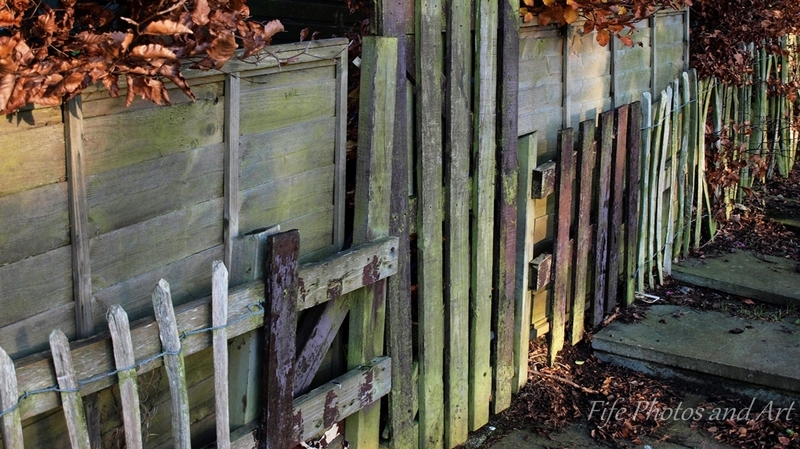 As part of this week’s, Daily Post’s, Weekly Photographic Challenge, Boundaries, here’s another two photos. 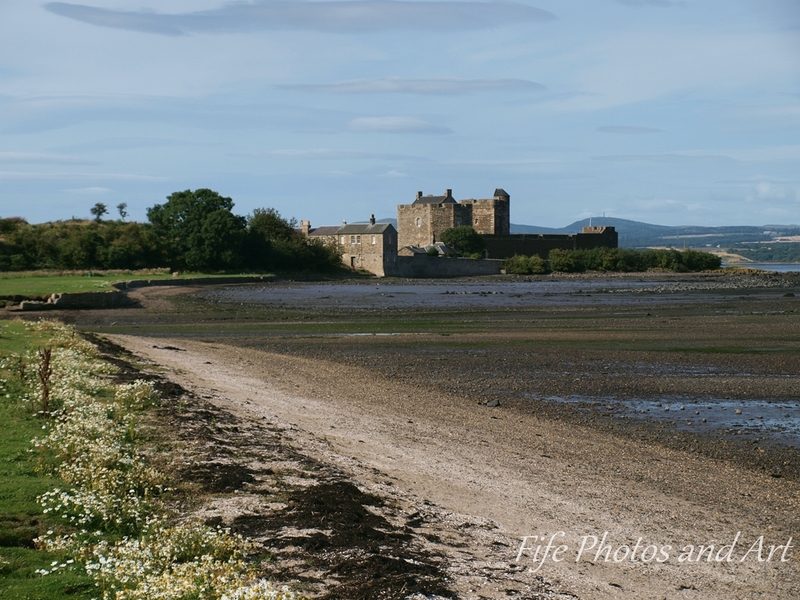 Both photographs were taken at Blackness Castle on the southern edge of the Firth of Forth at the beginning of September this year. 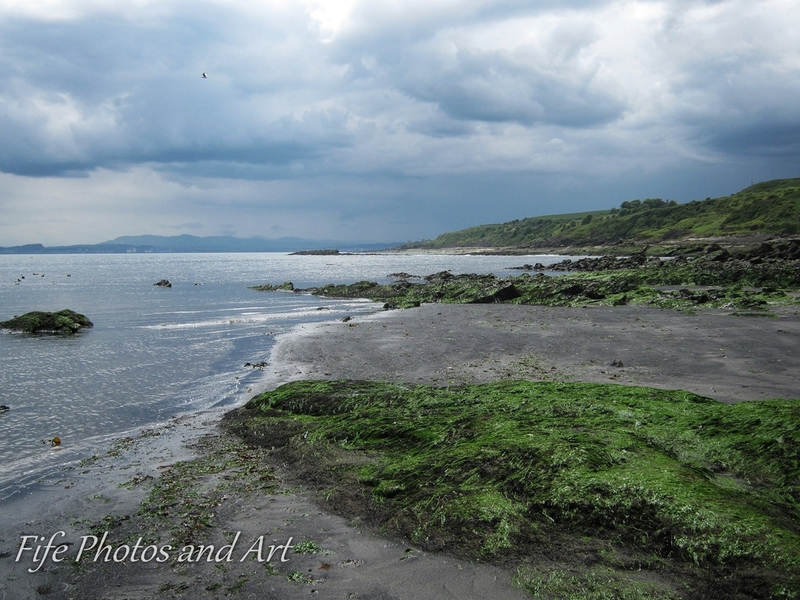 The first image shows the boundaries between the land, the beach, the estuary and the sky. 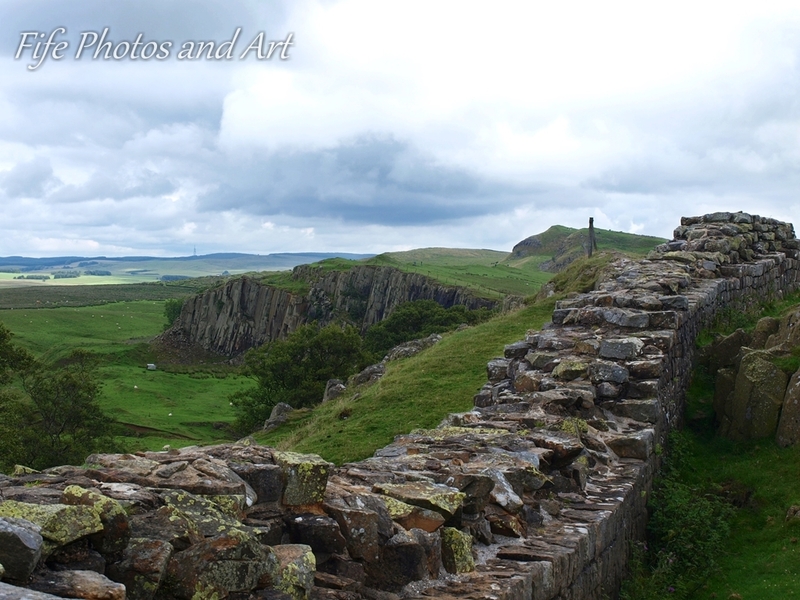 As part of this weeks WordPress Photographic Challenge for the theme “Boundaries“, for many people in the UK, Hadrian’s Wall is one of the most famous boundaries. 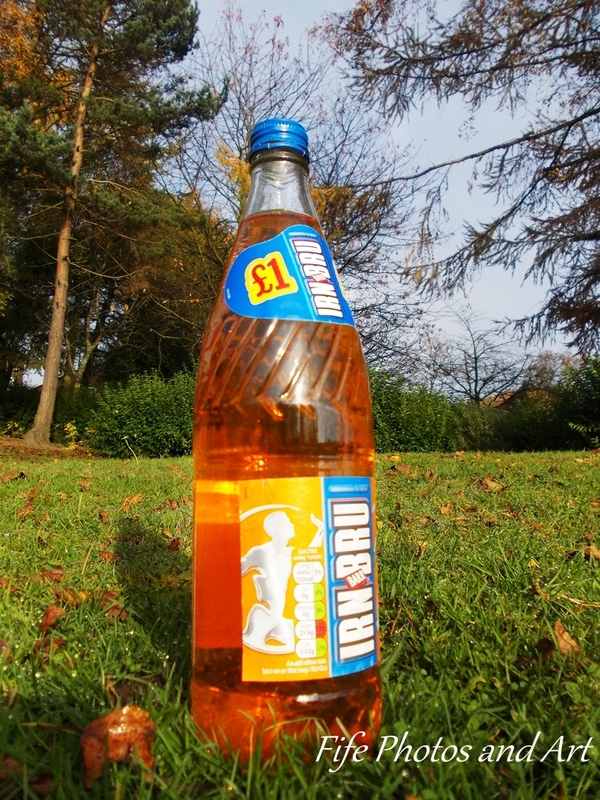 It marks the divide between the ‘civilised’ English, and the ‘barbaric’ Scots. Okay, that is somewhat exaggerated, but you get the gist of it. Hadrian’s Wall was started during reign of Emperor Hadrian in 122AD, and it was effectively the northern limit of the Roman Empire. Hill of Tarvit mansion was originally built in 1696 by John Wemyss of Unthank possibly using Sir William Bruce as the architect, and was known as Wemyss House. 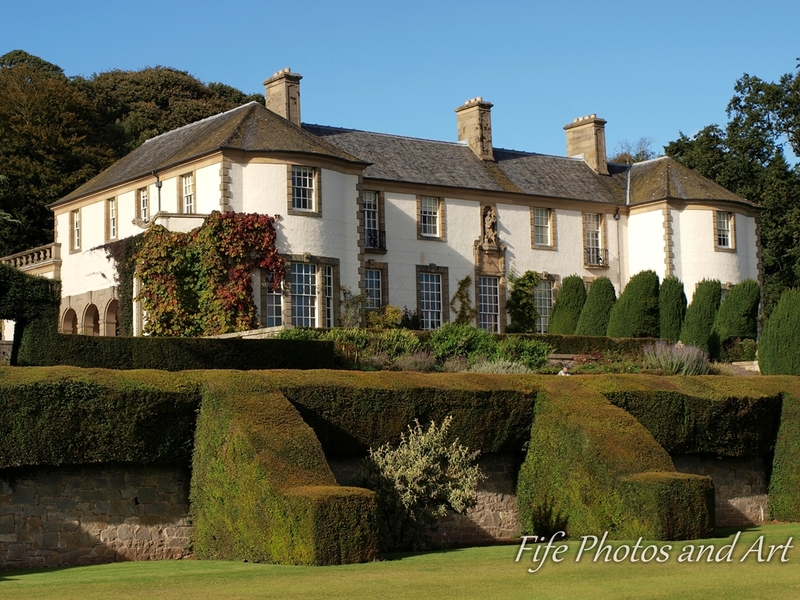 In 1906, Frederick Sharp, a wealthy businessman from Dundee, bought the house and employed Sir Robert Lorrimer, an architect and designer, to completely rebuild and modernise the front two thirds of the house, to create the ‘Hill of Tarvit’ Mansion. 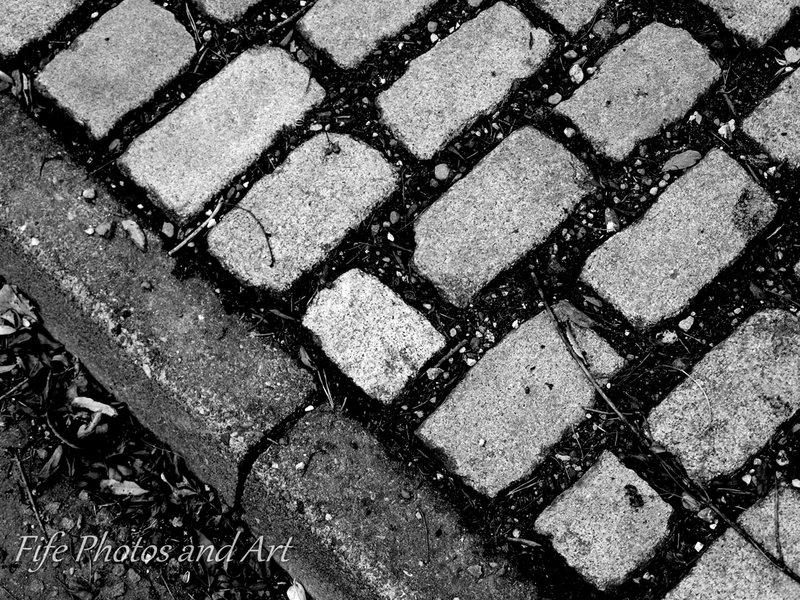 Finally, some photographs Autumn, that are obviously more typical for the theme ‘Change‘ for last weeks’ Daily Posts – Weekly Photographic Challenge. 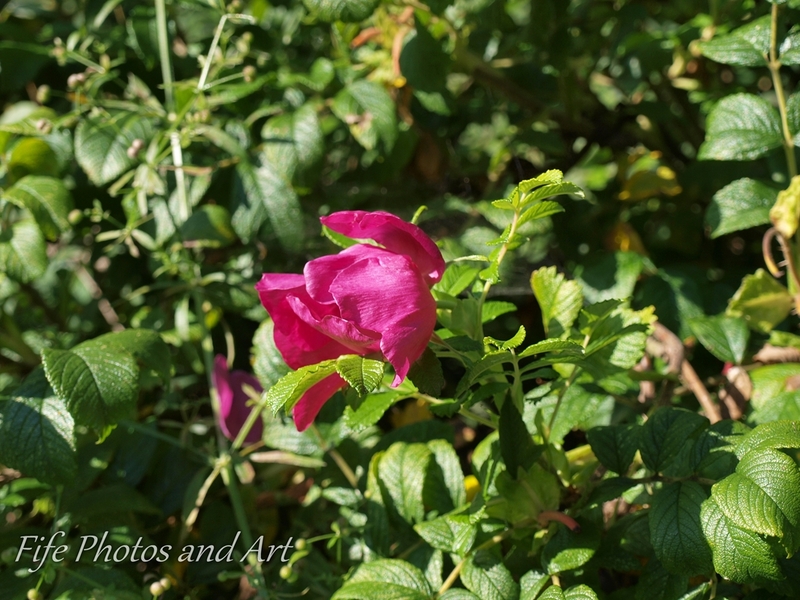 The first set of photos are of a dog rose, Rosa canina, and it’s associated rose hips (seed pods), taken in Glenrothes park two days ago (more photos to come in another post). 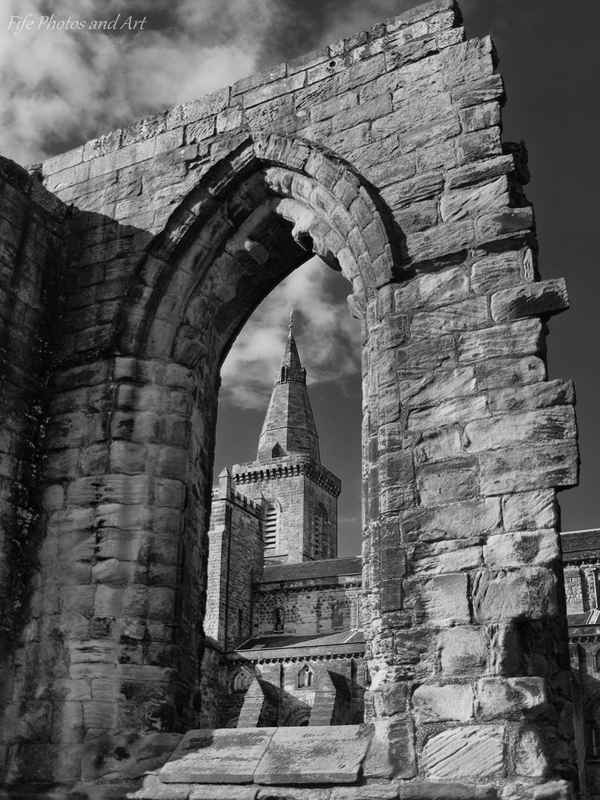 The first two photos are from a walk I made yesterday, from Ravenscraig Castle (Kirkcaldy) to West Wemyss and back (more photos to come in another post). 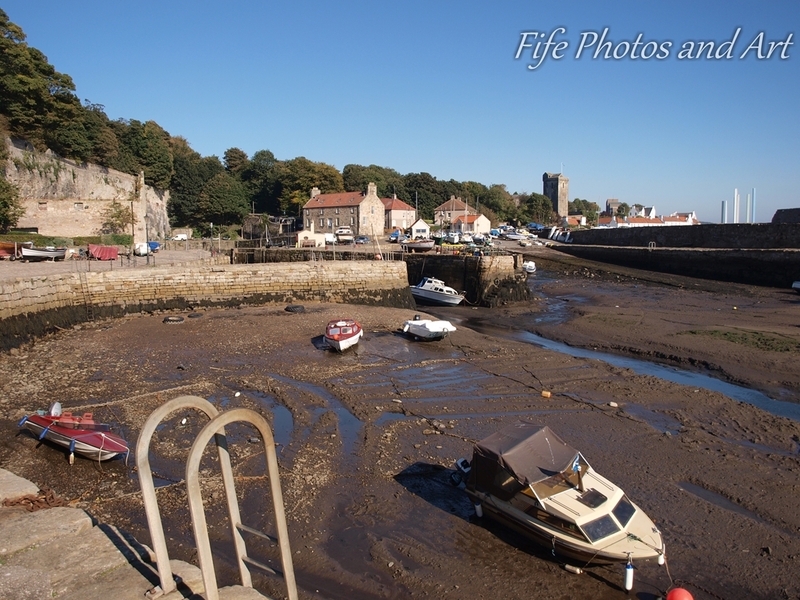 When I got to Dysart Harbour, the tide was out. 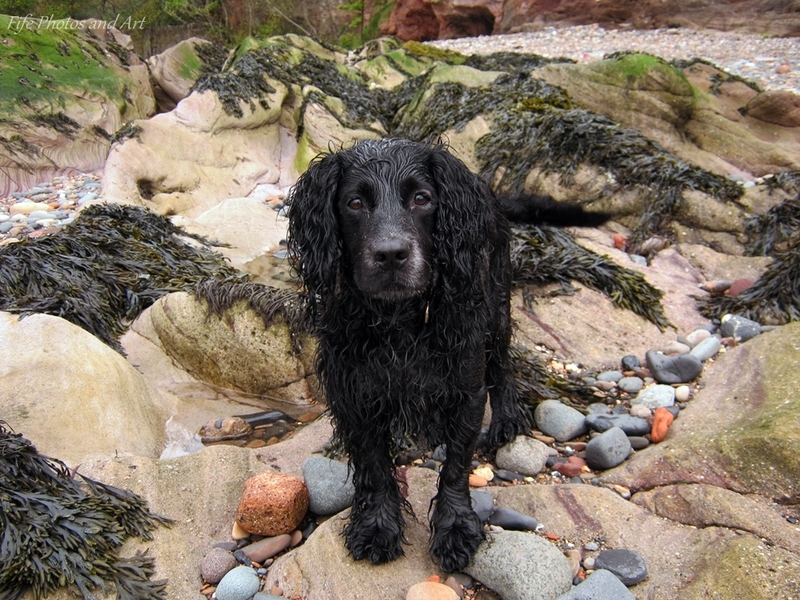 By the time I got back, the tide had come in. 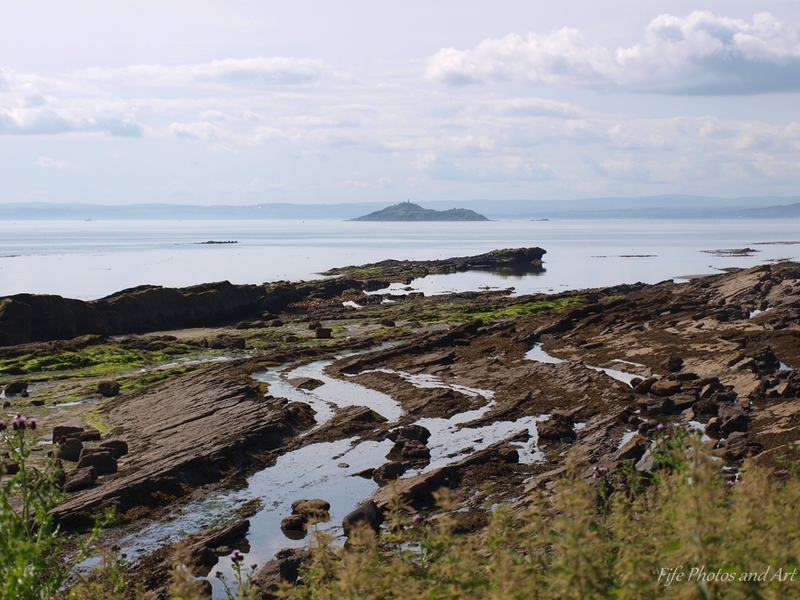 Last summer I was down at Seafield Castle beach, just to the south of Kirkcaldy, doing a bit of ‘geologising’, ie looking at the various beds of rock to work out the sedimentary sequences. 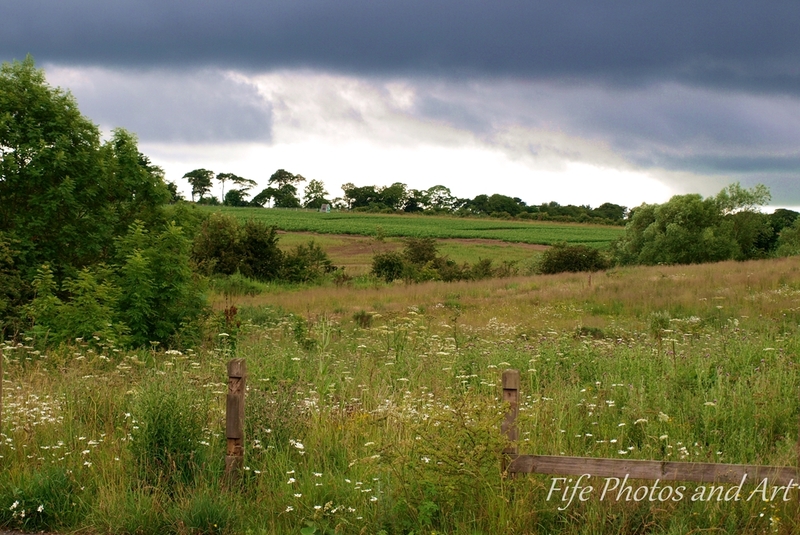 When I started, it was a beautiful summers day, but little known to me, as I was busy peering at sandstones, mudstones and limestones, a storm was approaching. It was only when the exposure time on my camera suddenly started to increase, that I looked up and saw this amazing view. 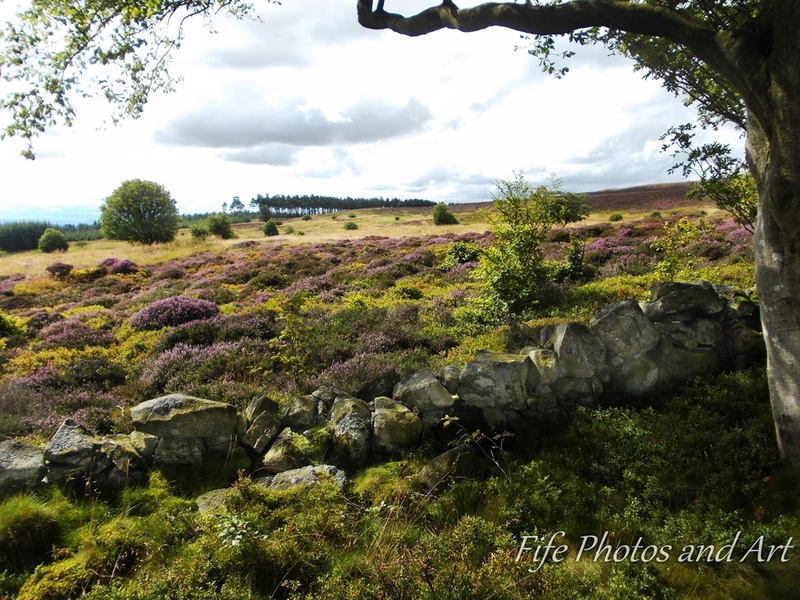 I photographed this small clump of lichens on the sides of Falkland Hill last summer. 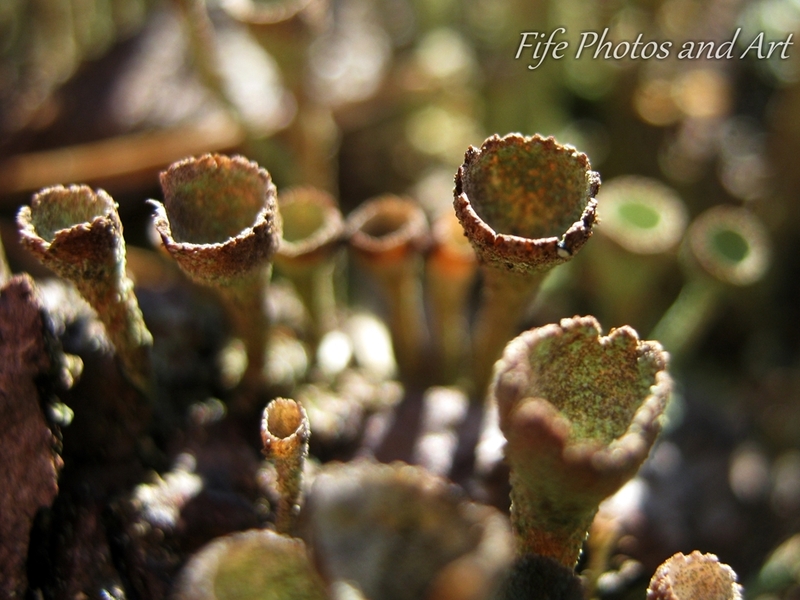 I think this lichen is of the Genus Cladonia (also known as pixie cups, which is a far more magical name!! ), but as to the species, that requires an expert. 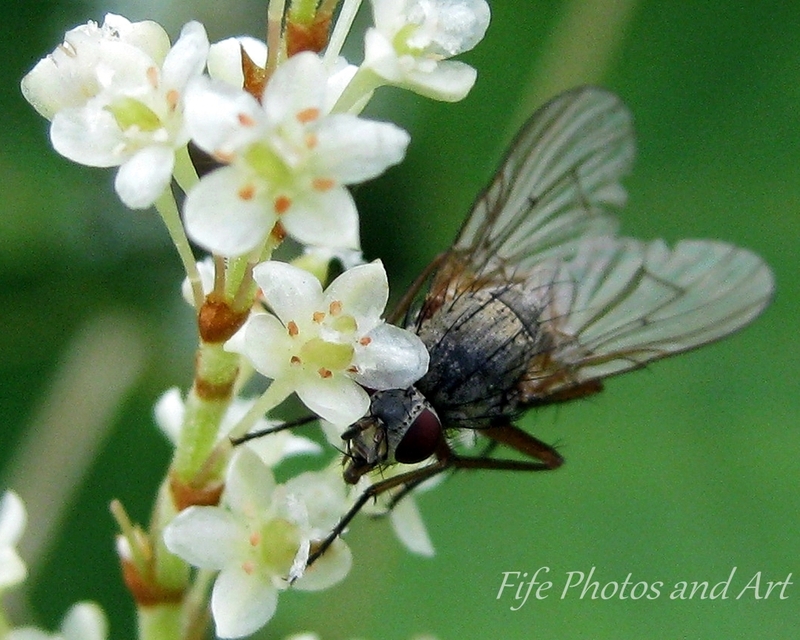 It’s one of the over 1500 different species found in Scotland!! Lichens in Scotland are far more prolific and much better developed than else where in the UK, mainly due to the much cleaner air. They have in the past played an important role in the Scottish economy, they are used as dyes for the infamous Harris Tweed even to this day. And they are an important food source for the only remaining naturally occurring reindeer in the UK, found up in the Highlands of Scotland. The reindeer spend much of the year eating a lichen called reindeer moss. 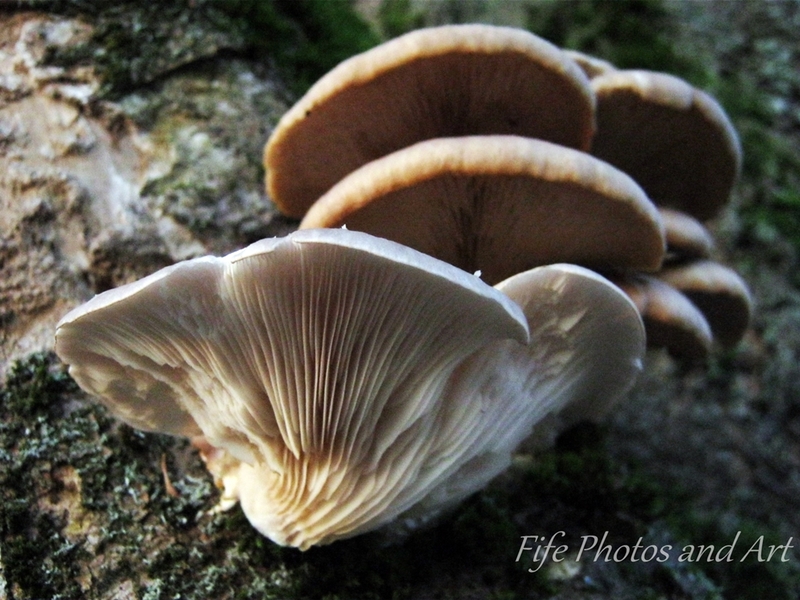 I really need to spend some time getting to know all the names of each part of a fungus. I spend more time trying to identify them from pictures and photos, than I would spend systematically identifying from the various attributes that each mushroom has. Today, I found an excellent on-line key for mushroom ids, developed by two Danish guys, Jens H Peterson & Thomas Læssøe. 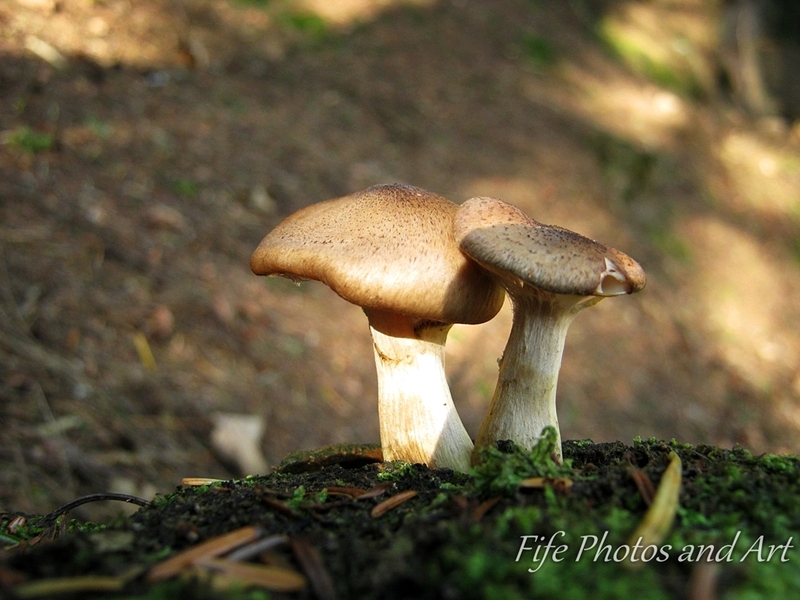 It’s called the MycoKeys online Morphing Mushroom Identifier. 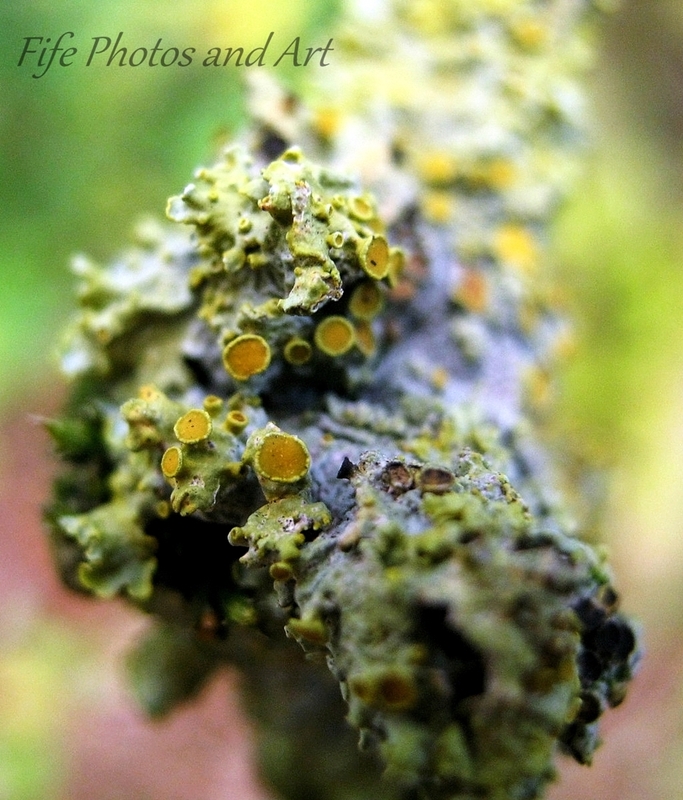 This reminds me of a brilliant post I read a few months ago, whilst attempting to identify a lichen species. 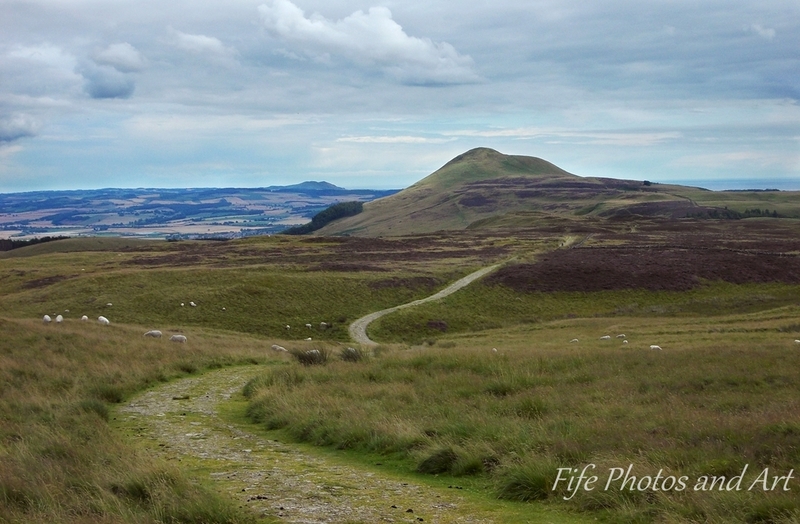 The person who wrote the post, I think his name is Ben Dolphin, lives up on the Lomond Hills. His whole blog is brilliant (even if it is on a rival platform to wordpress! Lol! ), but this particular post just sums up how I still feel about identifying lichens, mosses, liverworts and fungi. 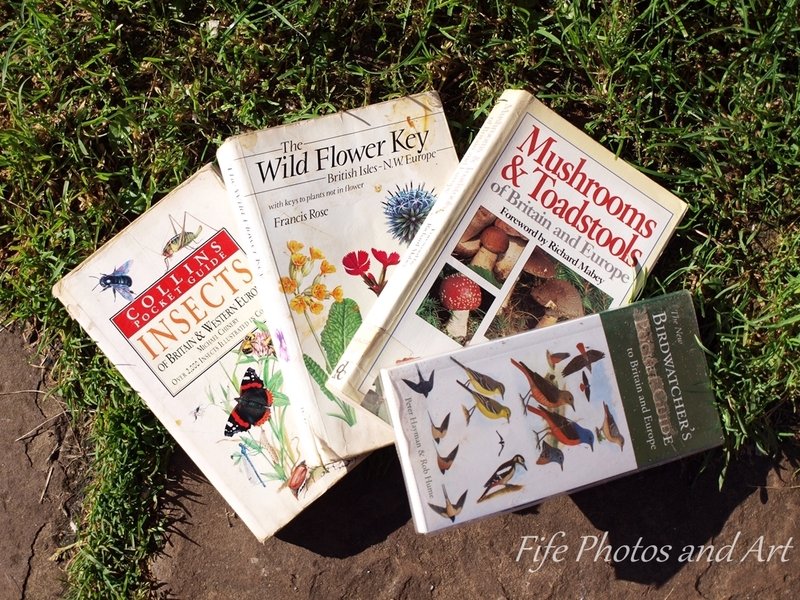 His post is called “Have you ever had an argument with a wildlife ID book?“. 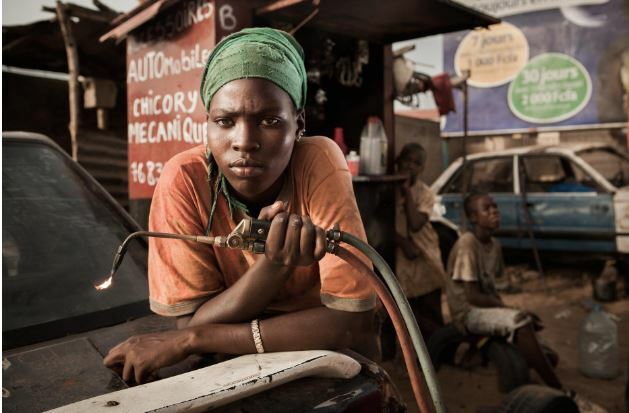 Last night I discovered the WP Daily Post “Weekly Photographic Challenge“. 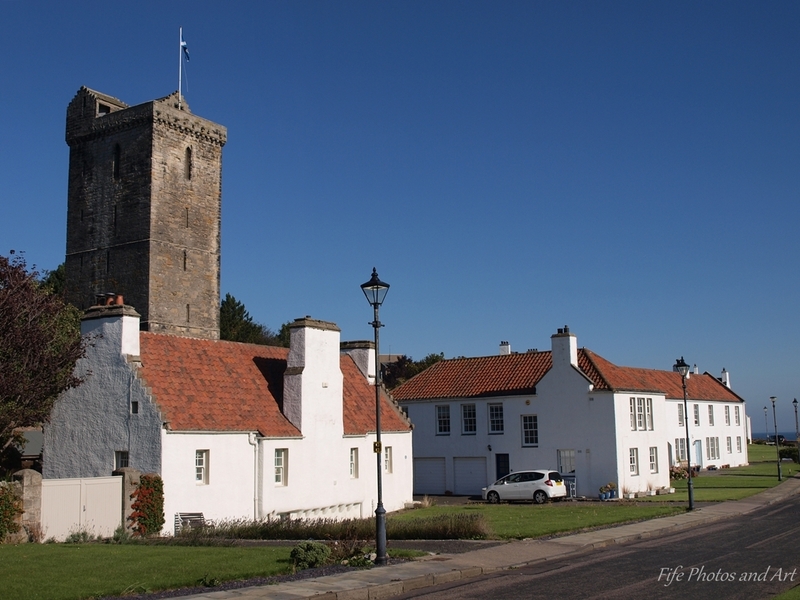 The village of Charlestown, which lies on the south coast of Fife between the Kincardine and Forth road bridges, was established in 1770 by the 5th Earl of Elgin, Charles Bruce. The village, which is on a ridge overlooking the harbour, was laid out in the shape of an inverted ‘C’ & ‘E’, for Elgin and Charles. I took this photograph on the same day as the photo from yesterday’s post. 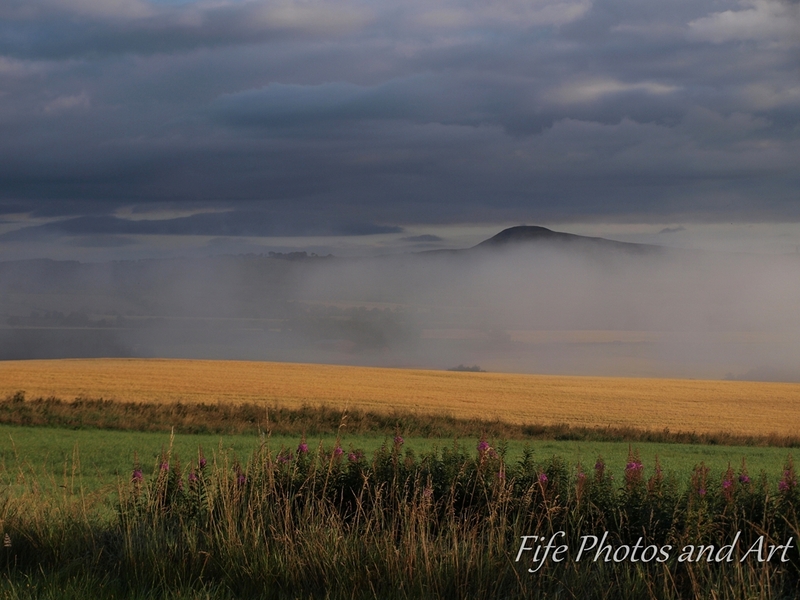 It was taken on the back road from Kinghorn to Auchertool, just to the west of Kirkcaldy. These two sycamores are on opposite sides of the road near the brow of the hill and remind me of an old loving married couple holding hands and kissing each other.